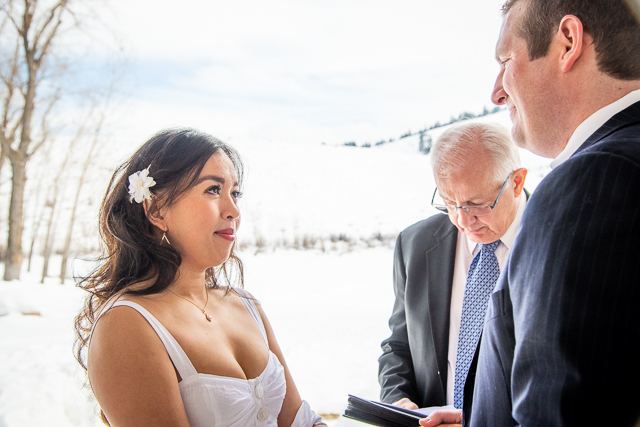 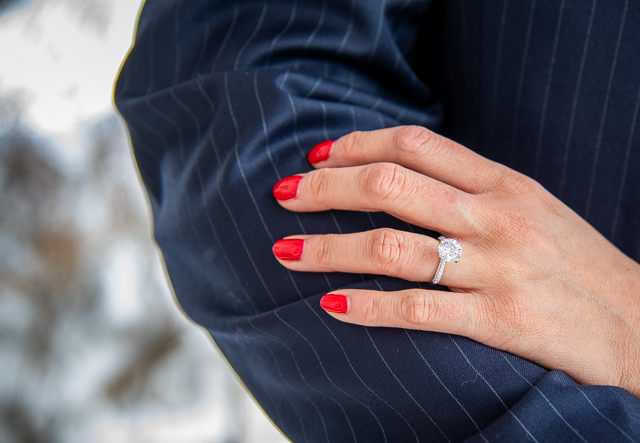 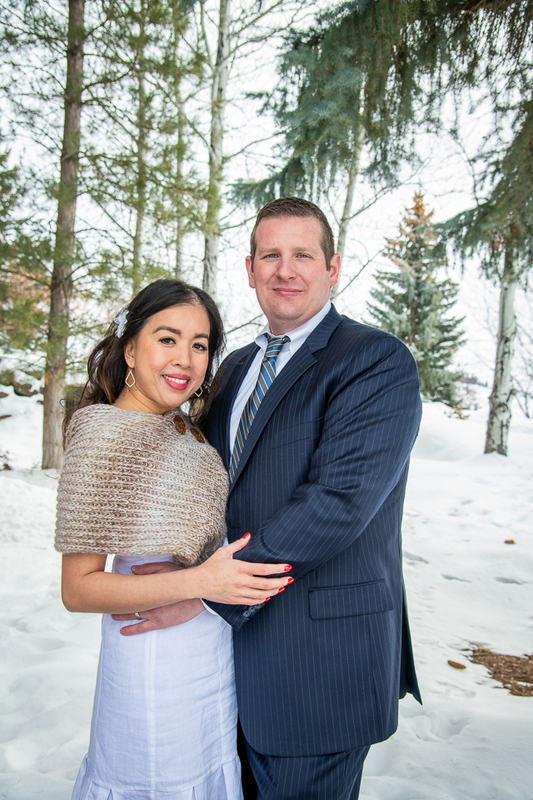 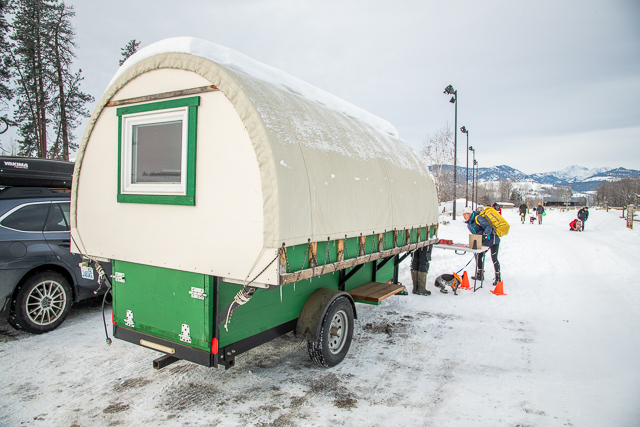 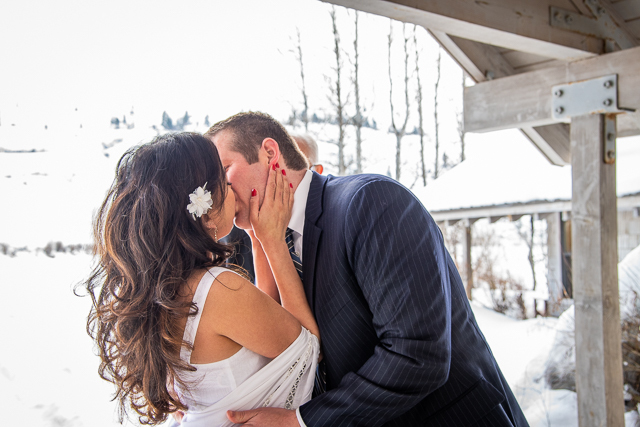 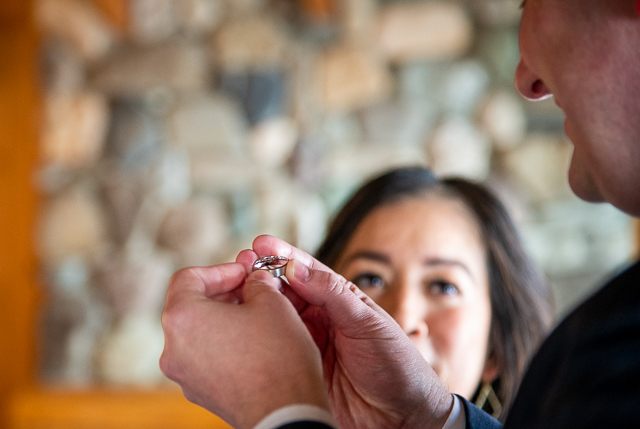 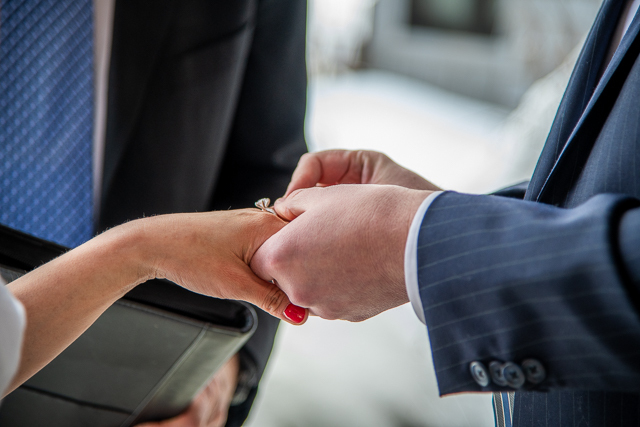 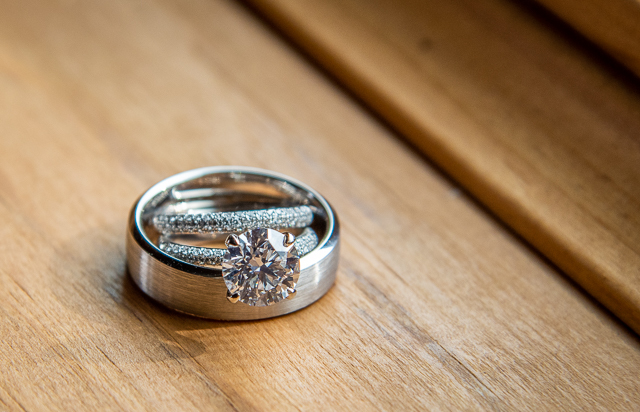 A Patterson Lake cabin near Sun Mountain was the setting for this simple, small winter wedding. 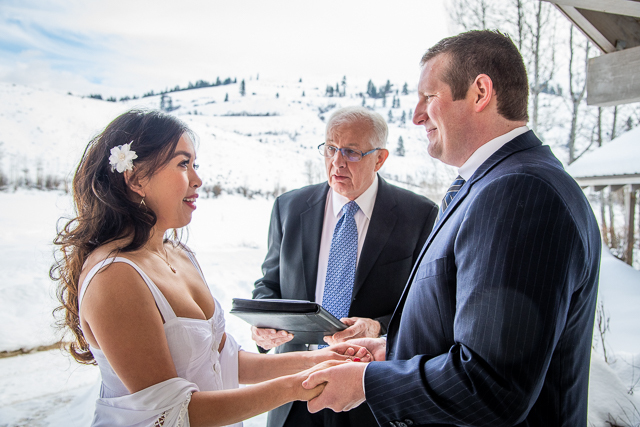 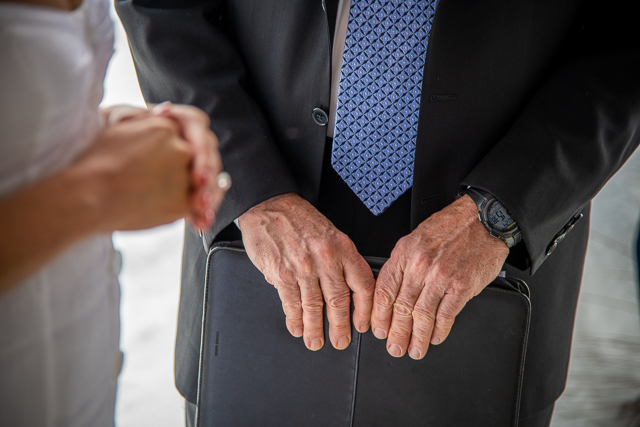 The bride and groom, the officiant and two witnesses (I was one of them) made up the entire wedding party. 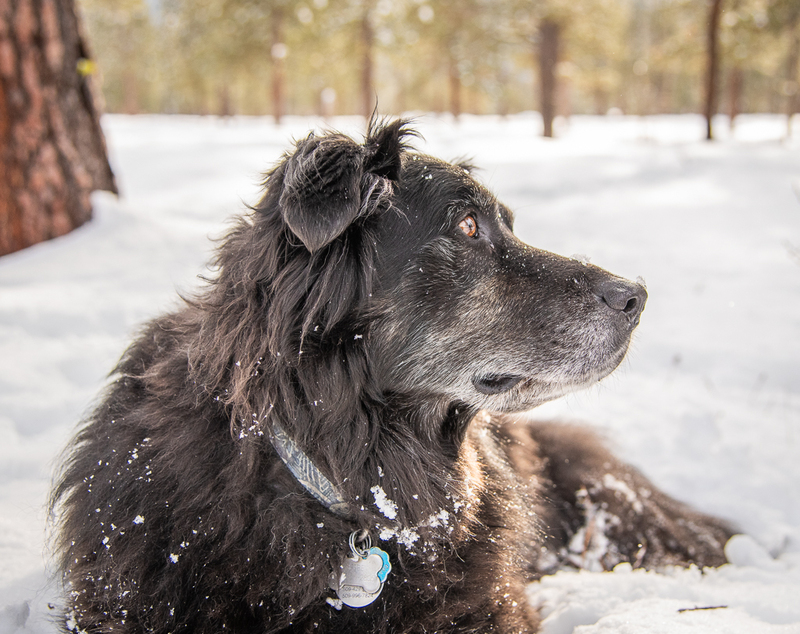 These two senior dogs were lucky to be rescued by a kind soul when their owners could no longer care for them due to a move and to a death. 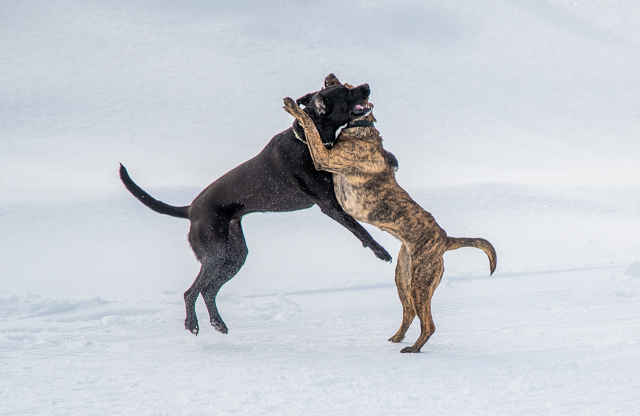 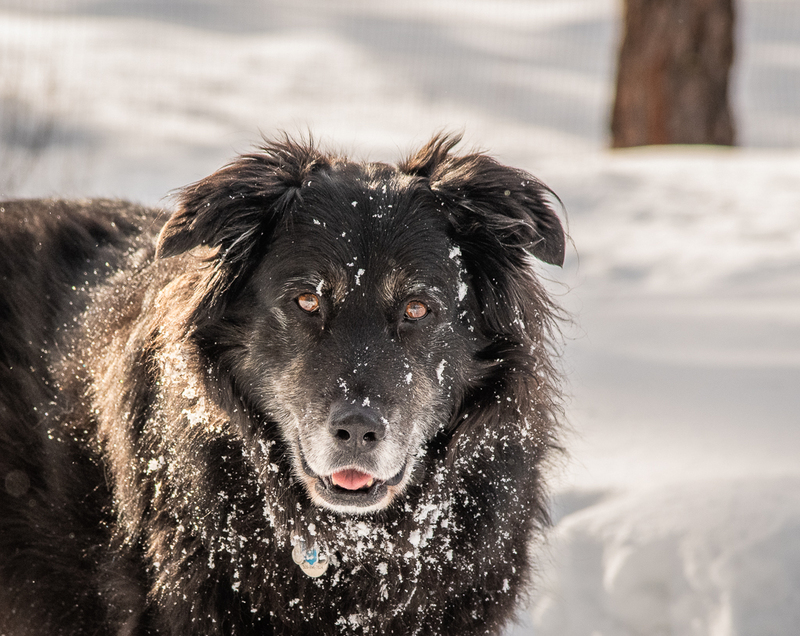 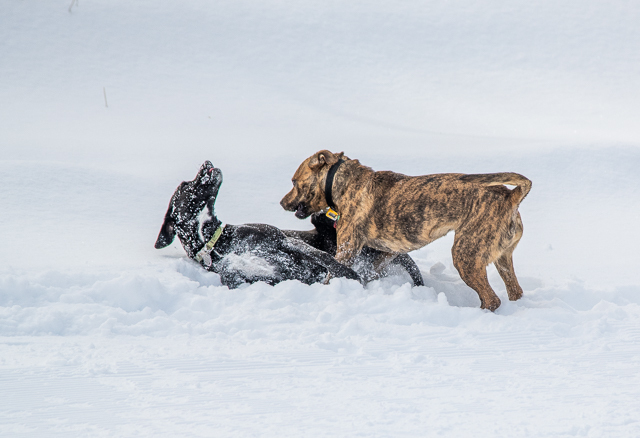 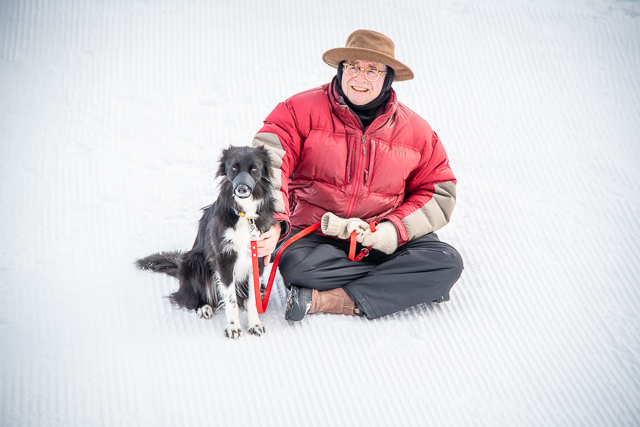 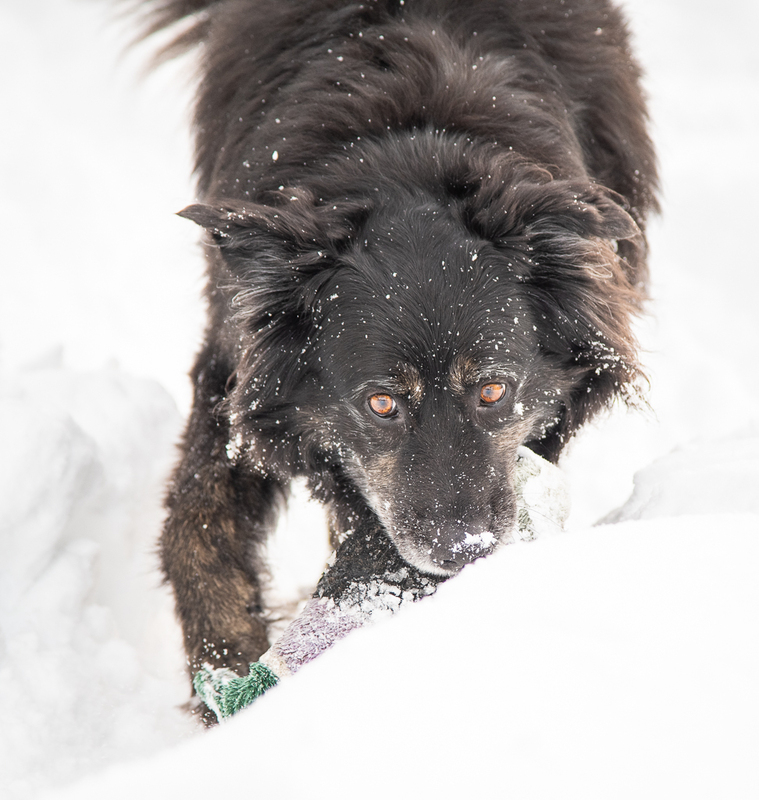 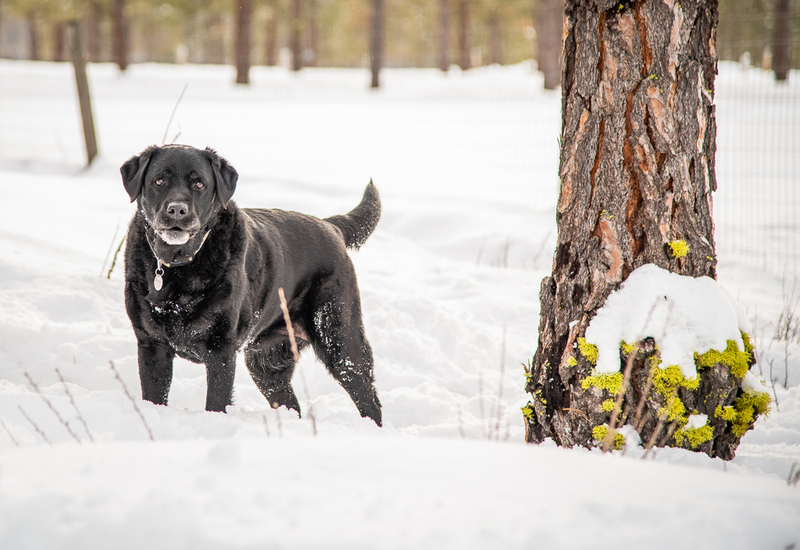 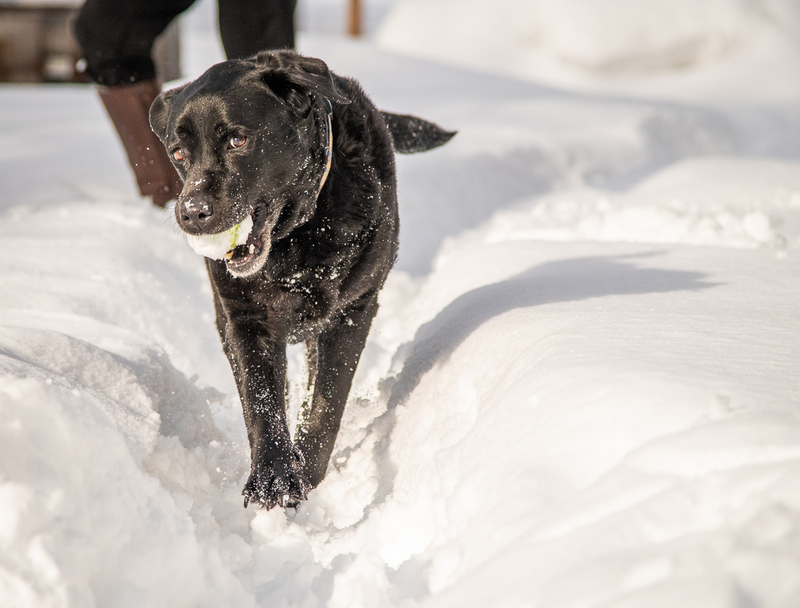 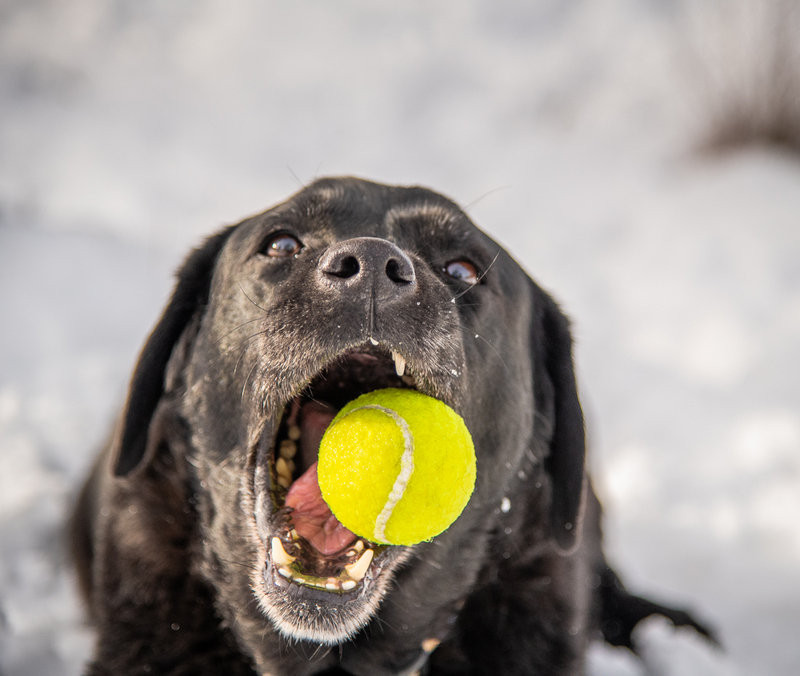 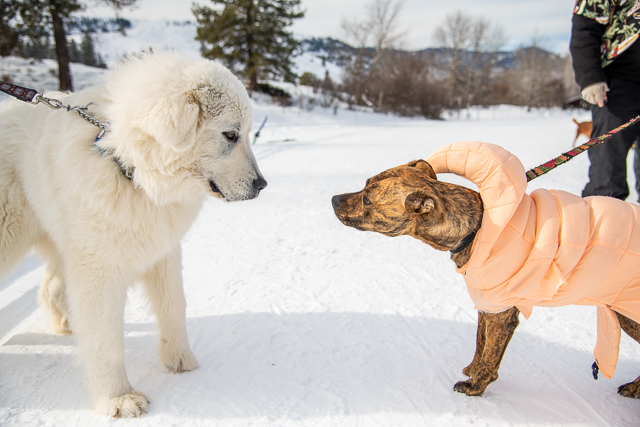 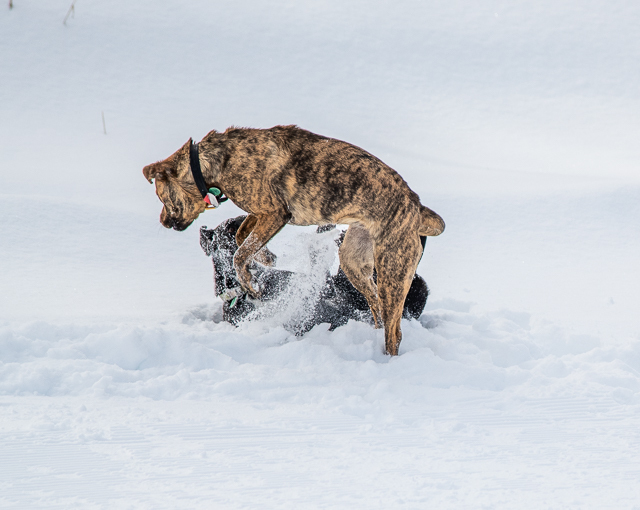 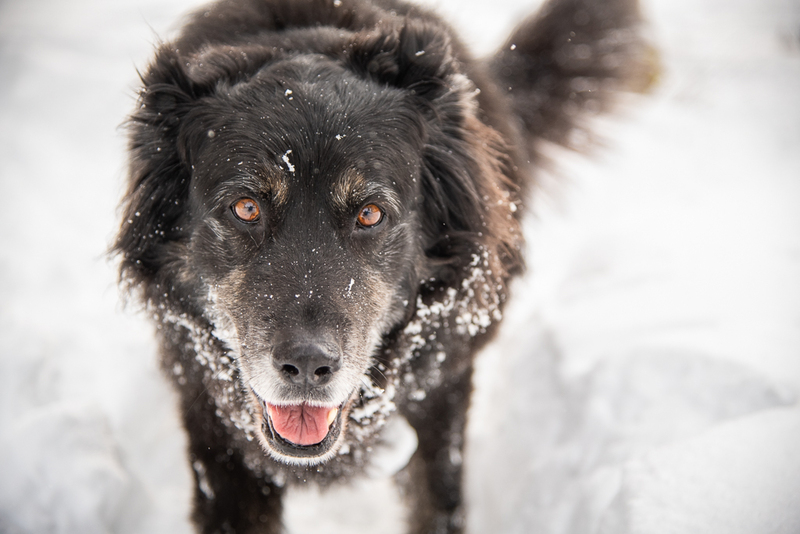 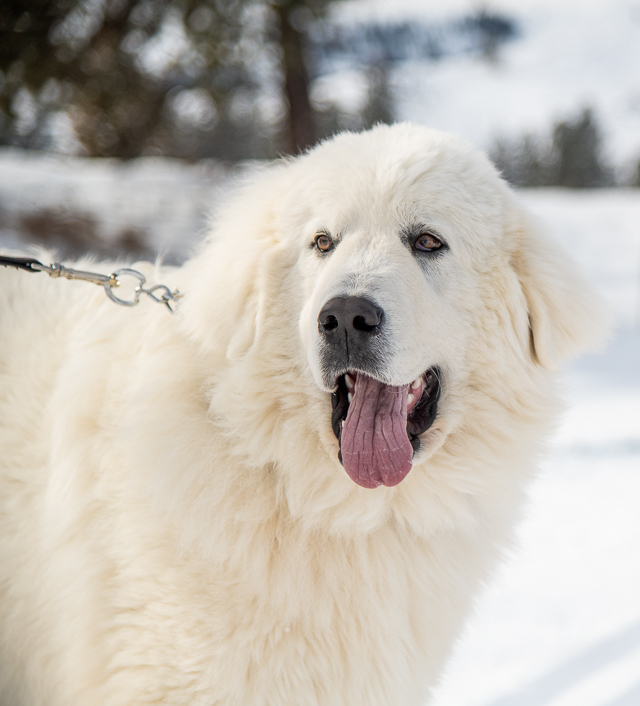 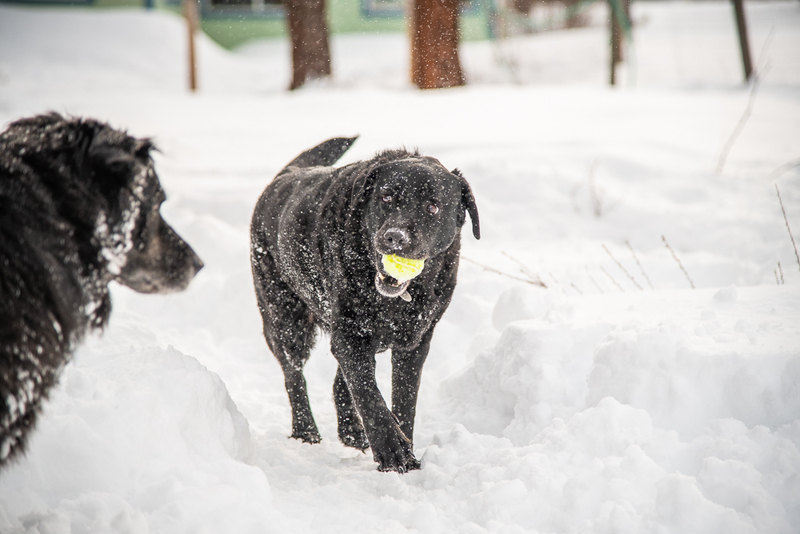 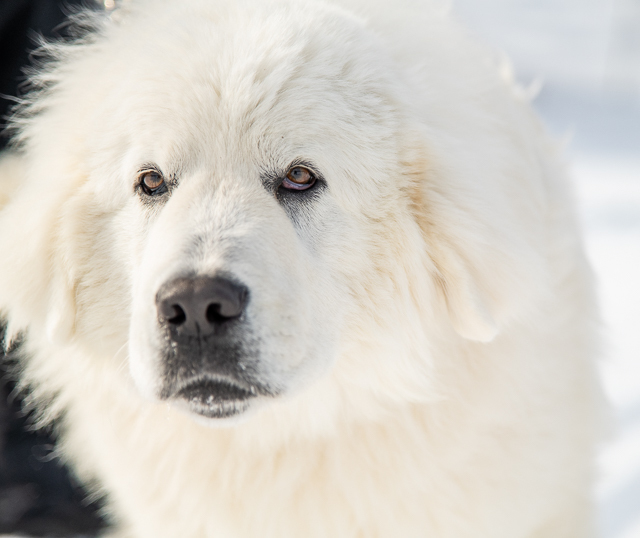 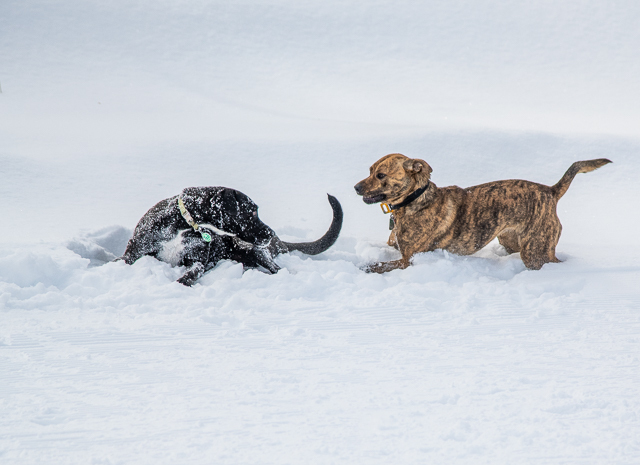 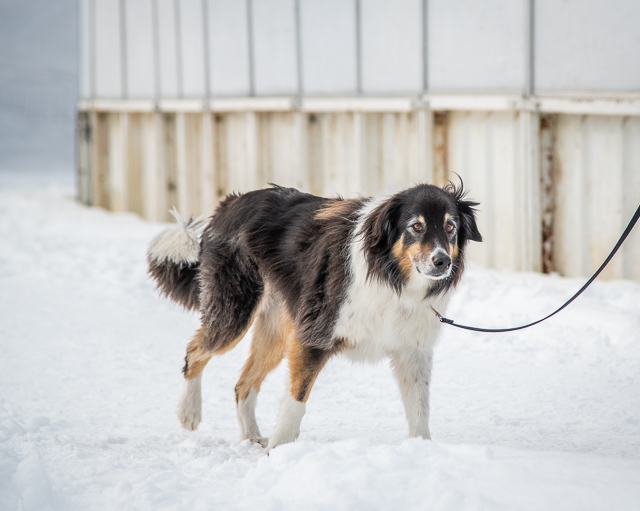 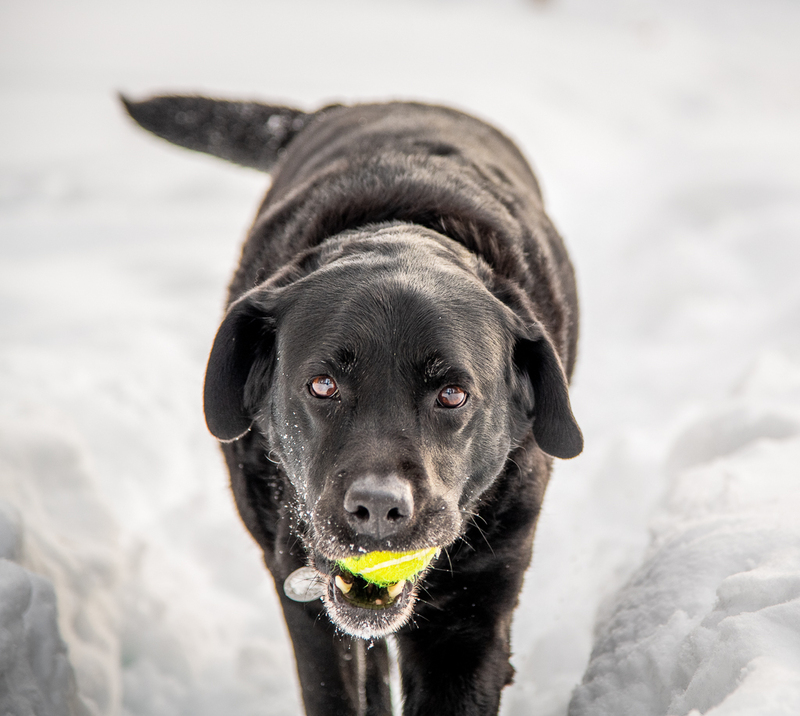 Now they enjoy a large fenced area with lots of toys and a good life in the Methow Valley. 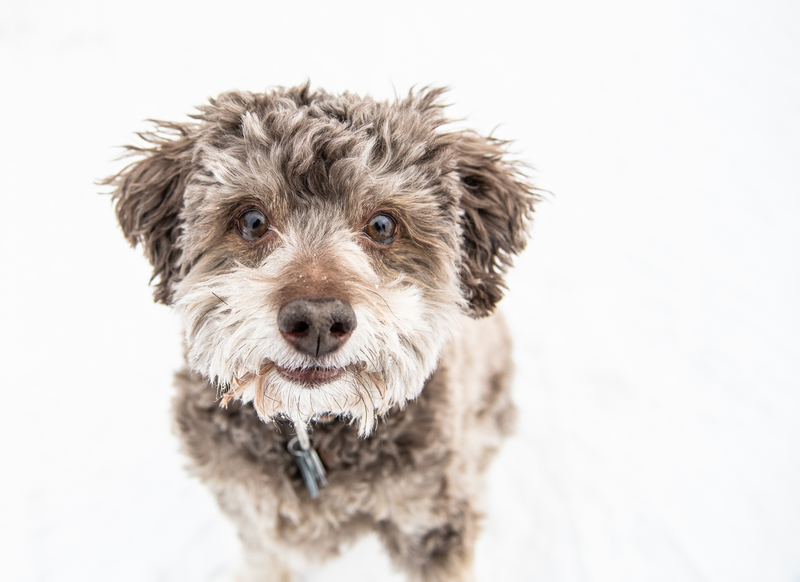 This little guy will soon be featured on his peep’s new website promoting his business. 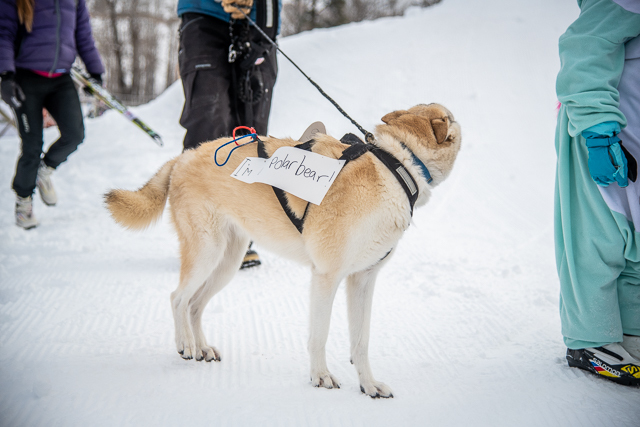 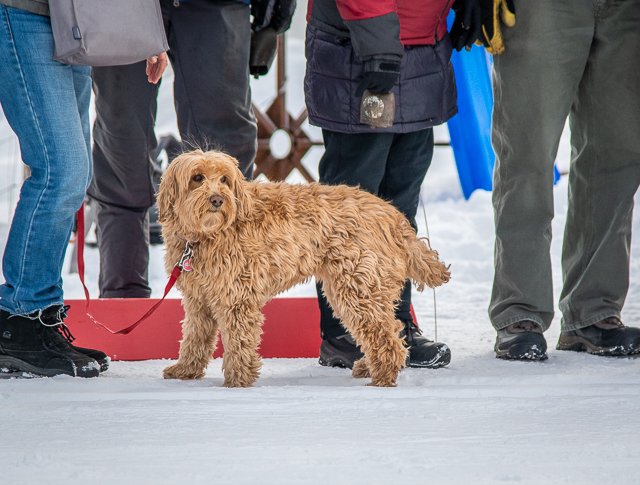 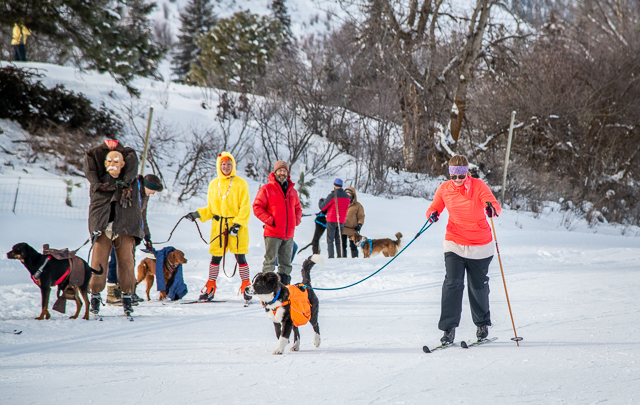 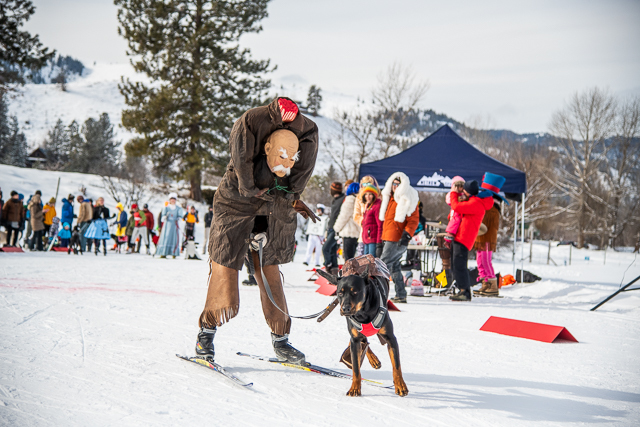 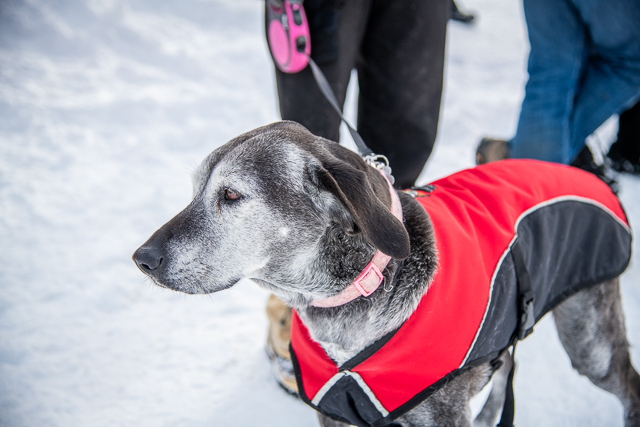 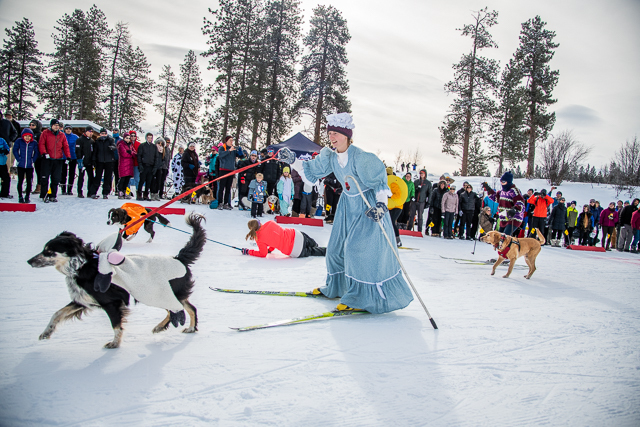 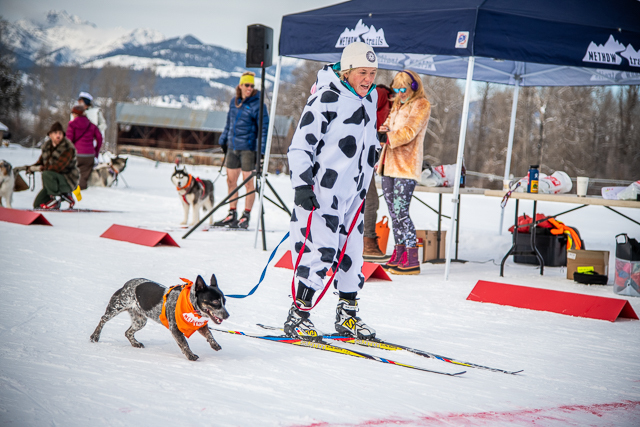 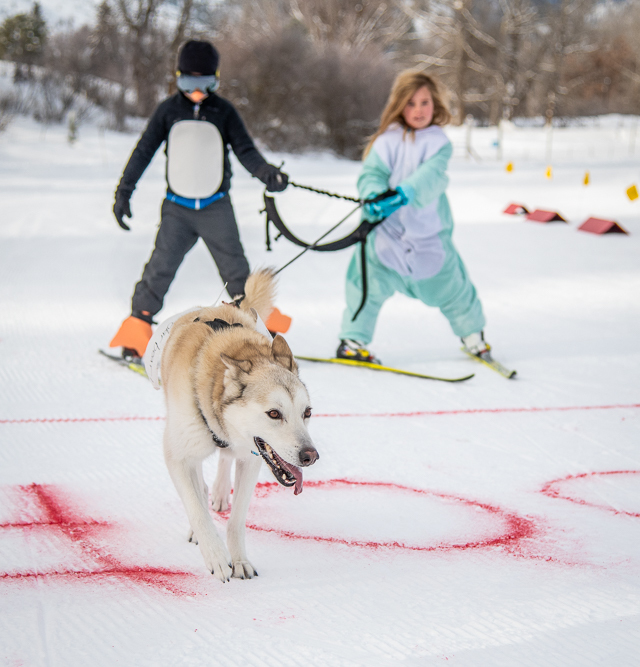 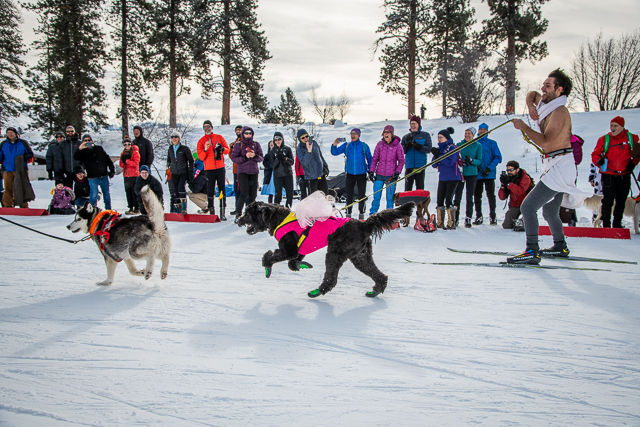 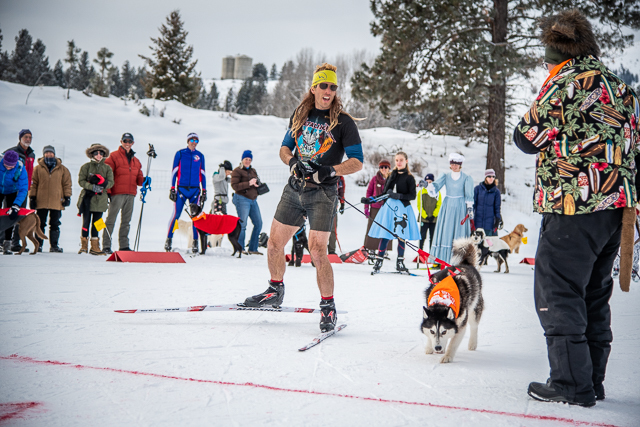 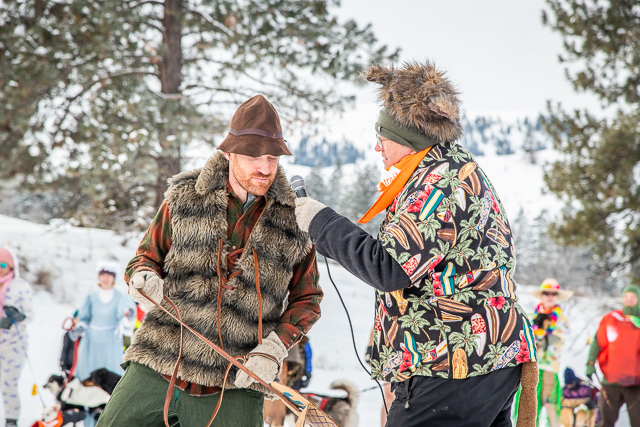 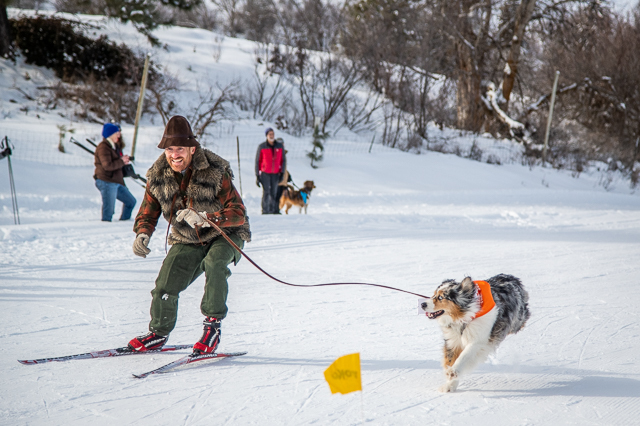 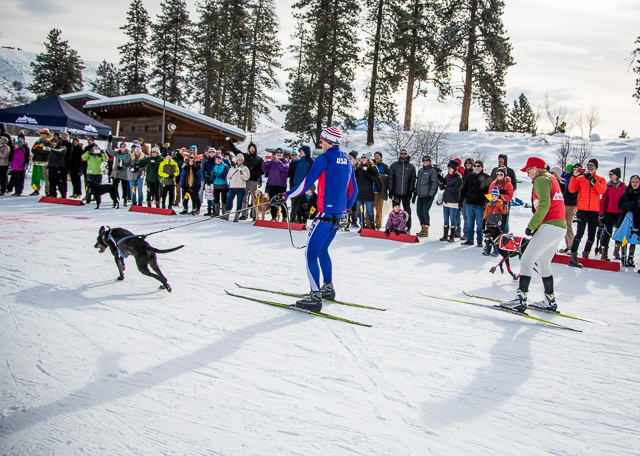 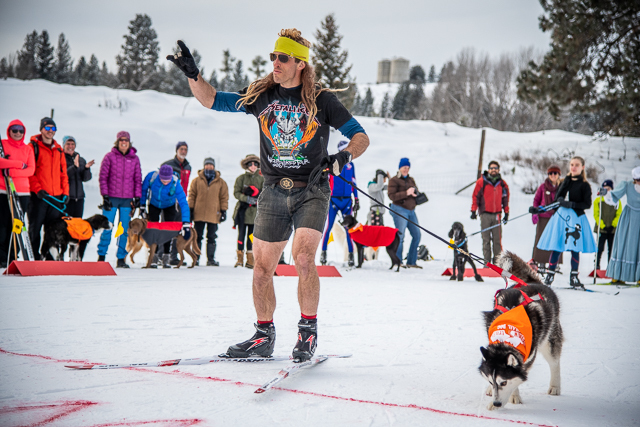 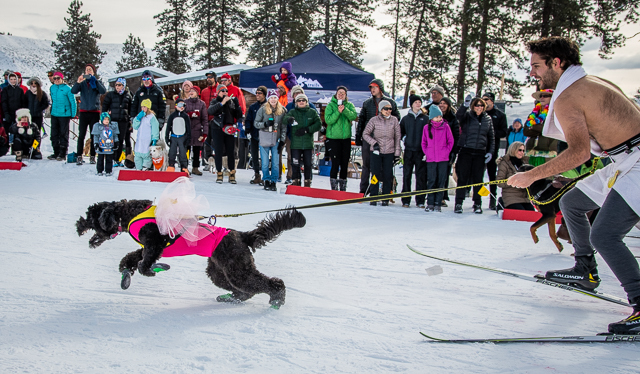 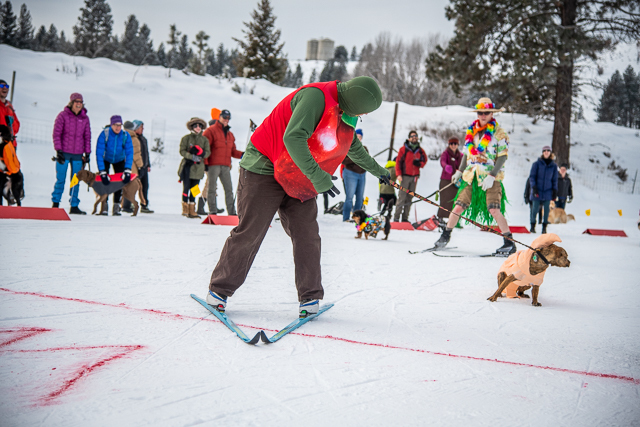 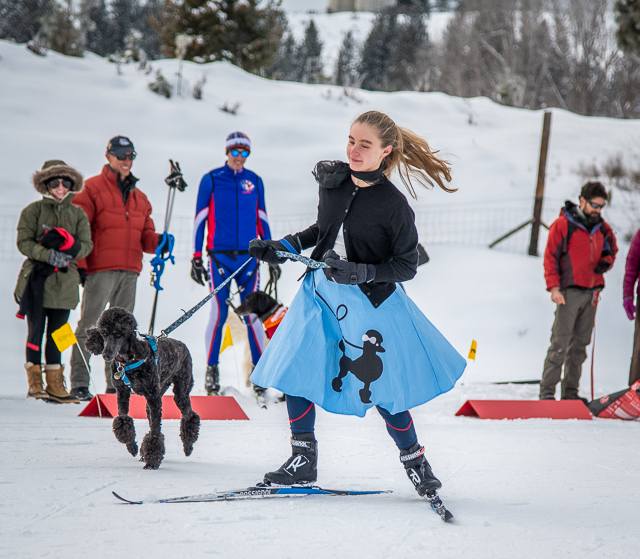 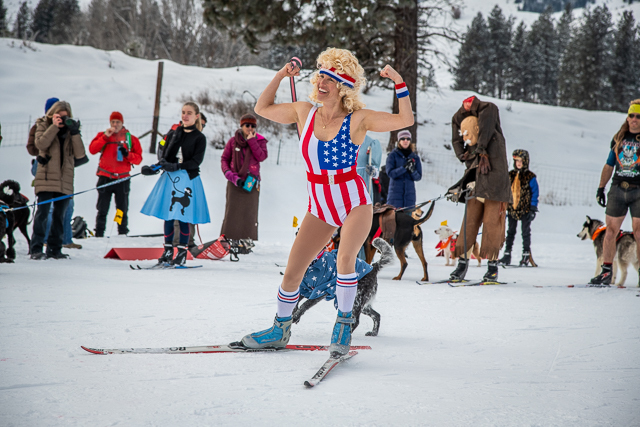 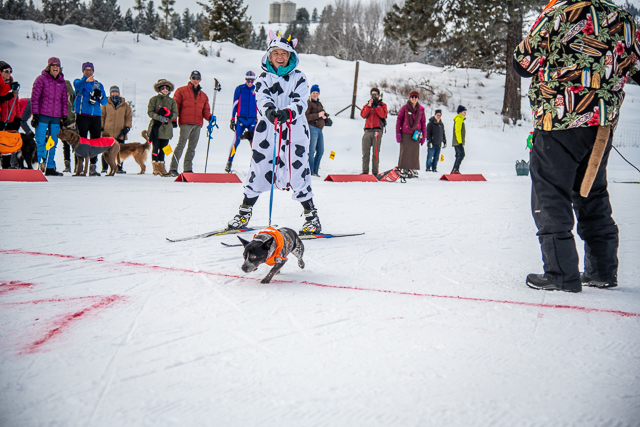 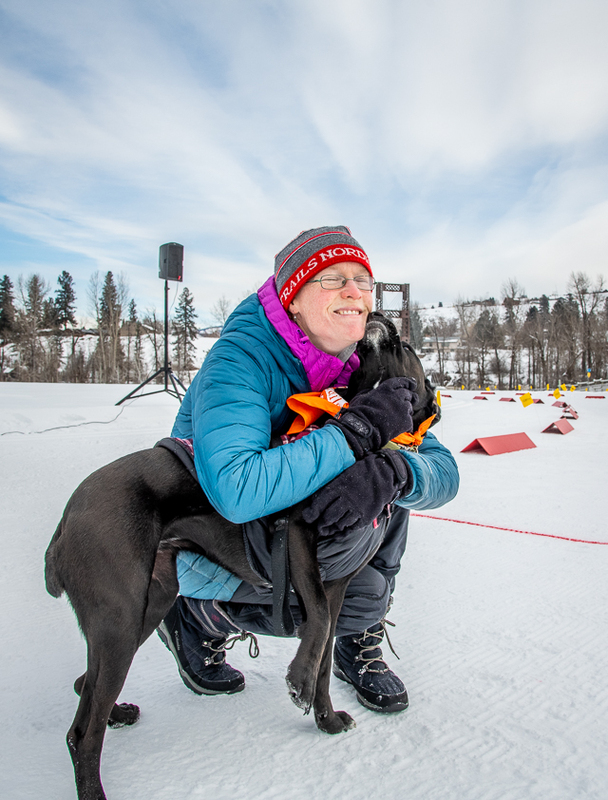 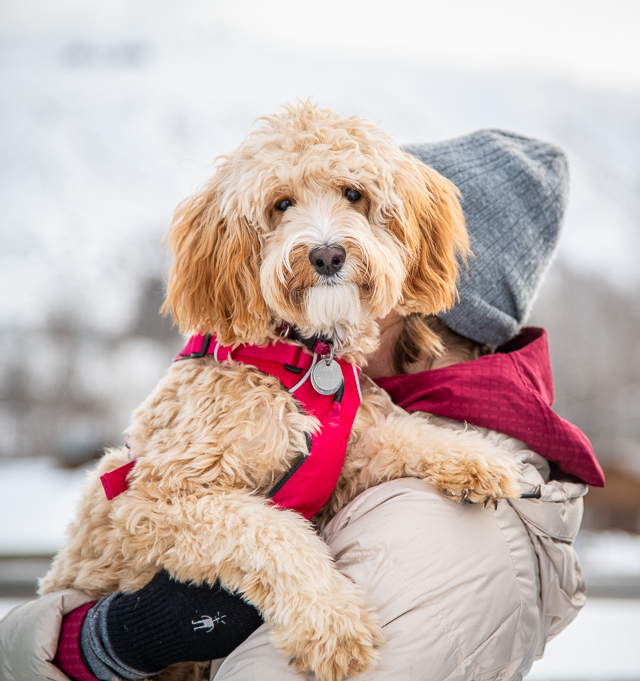 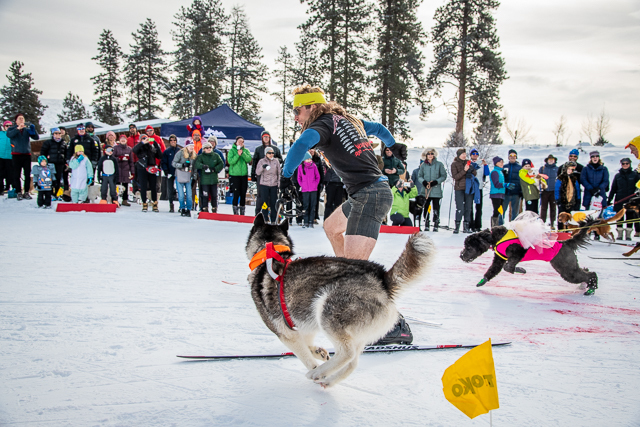 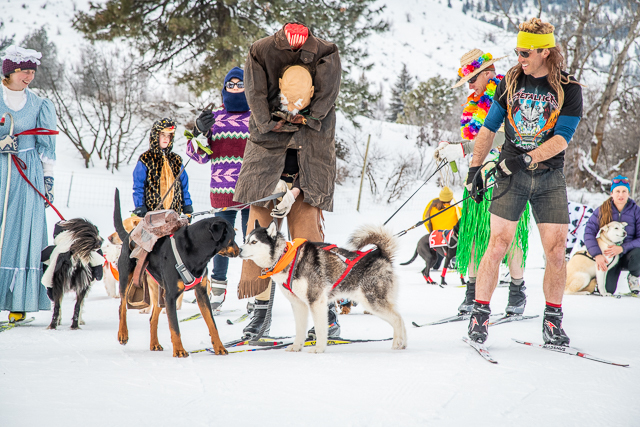 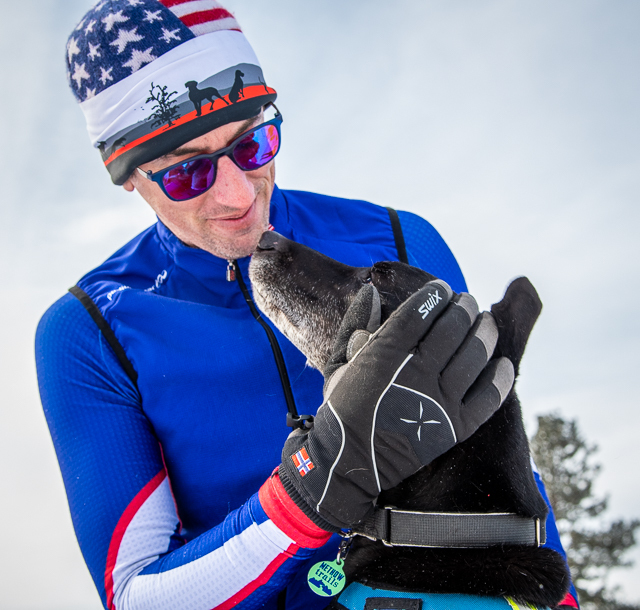 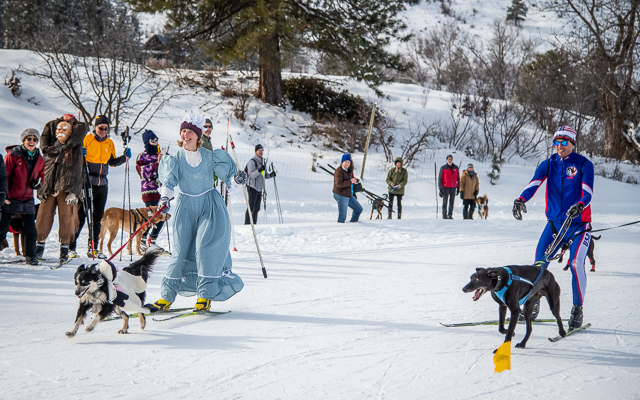 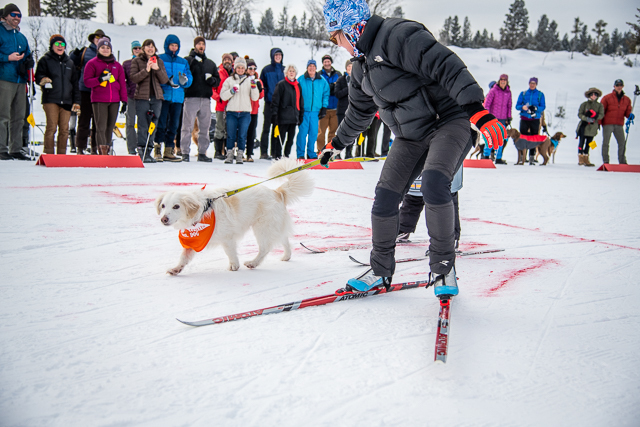 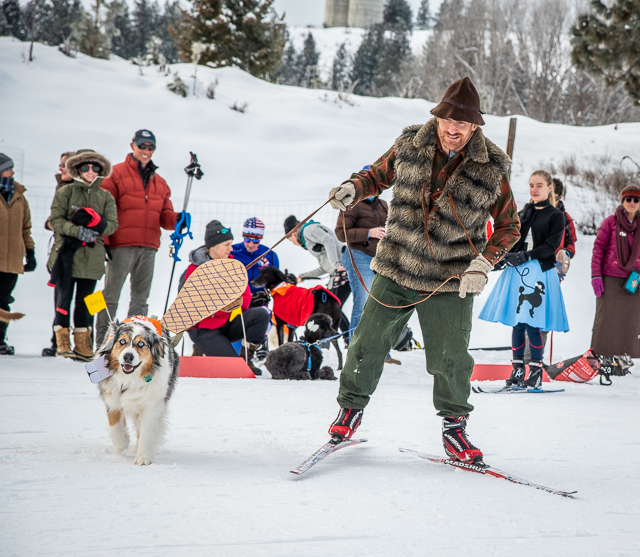 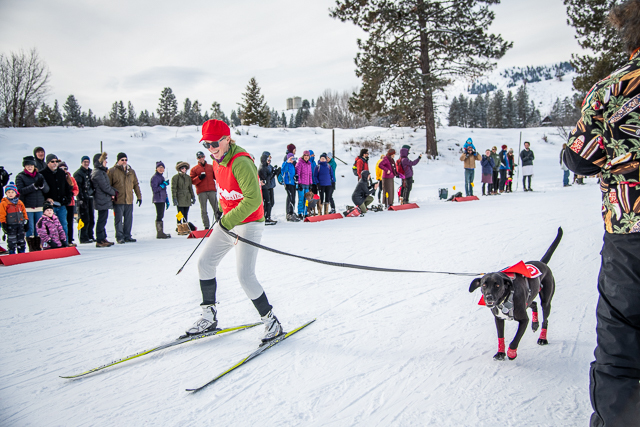 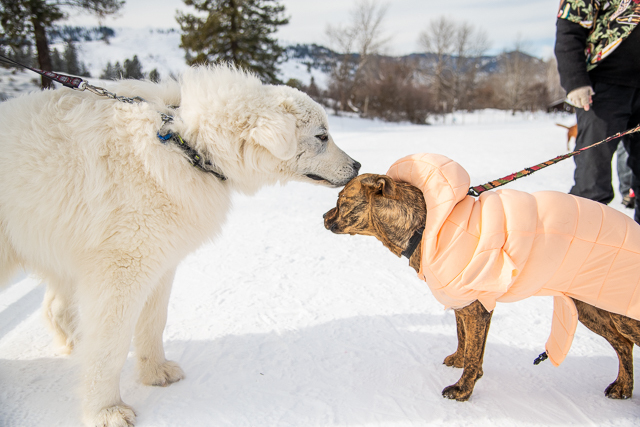 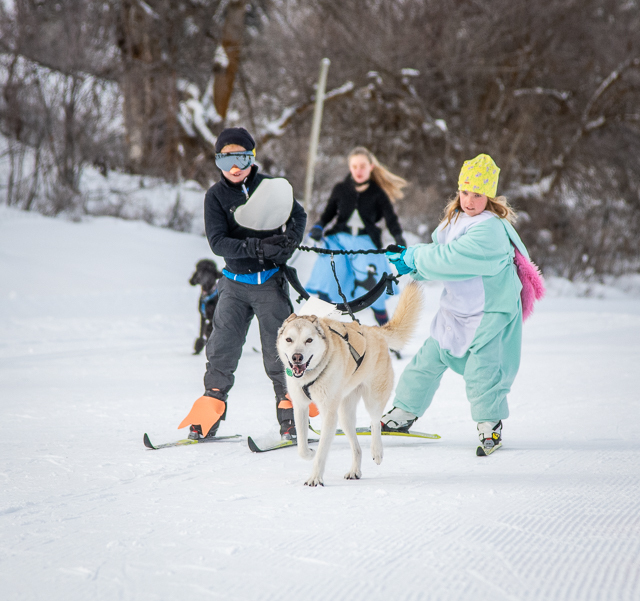 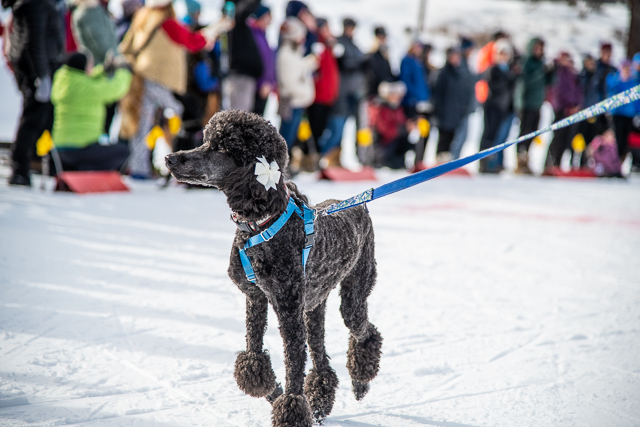 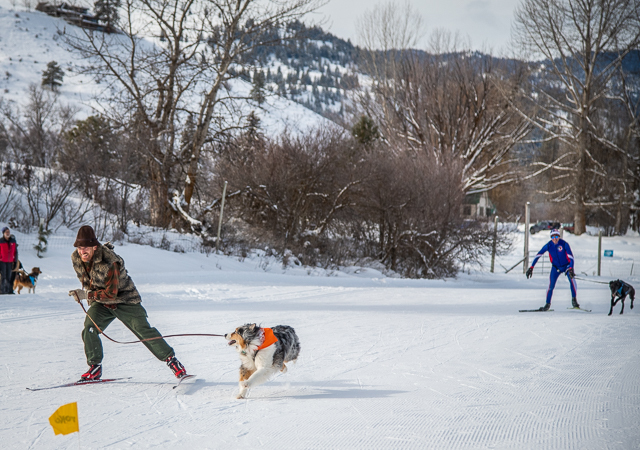 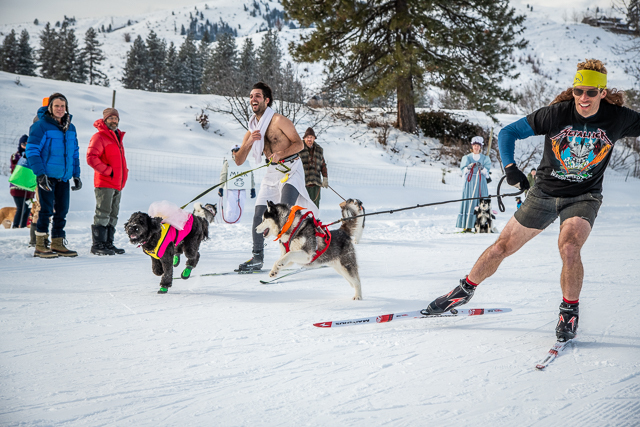 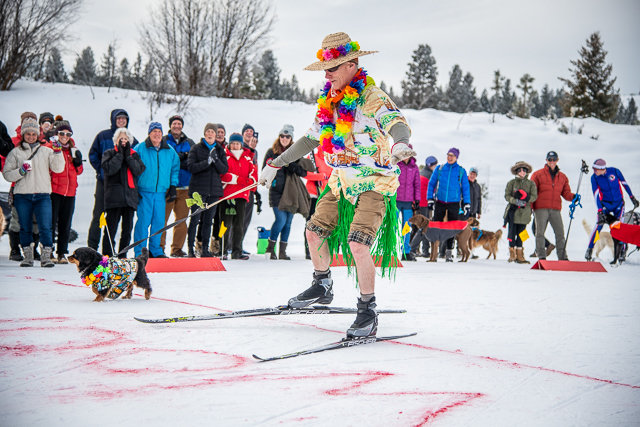 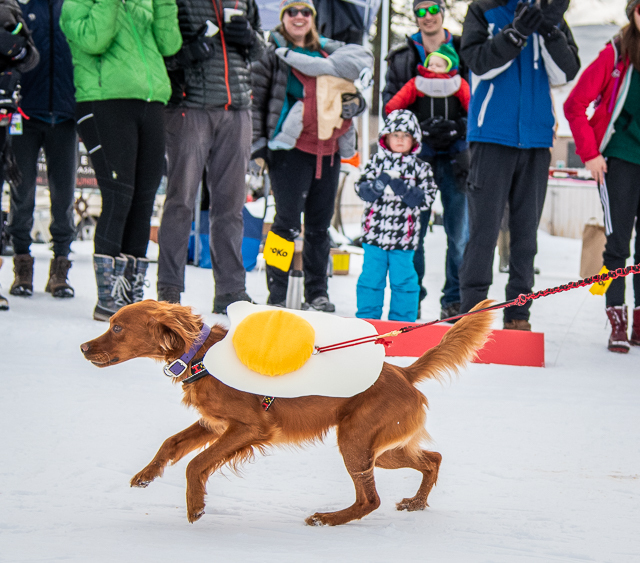 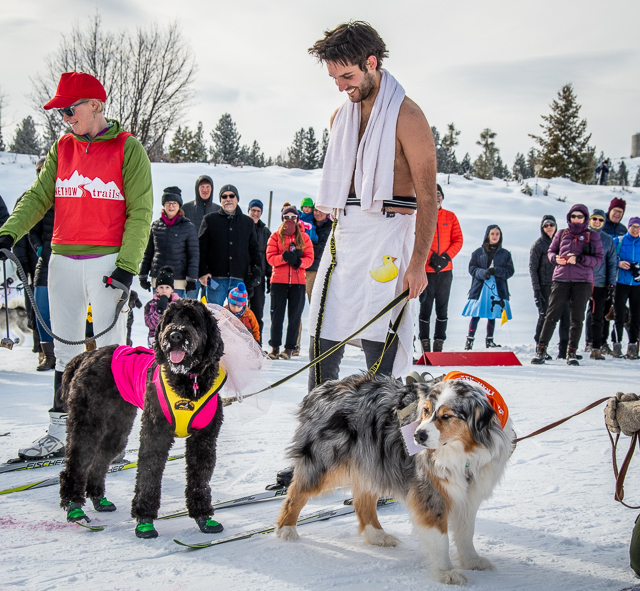 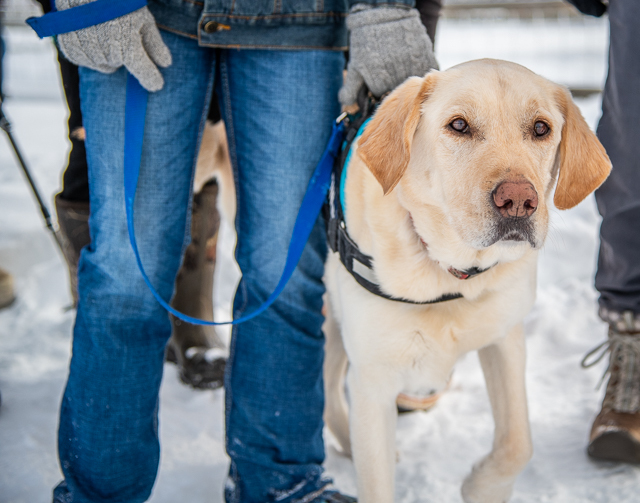 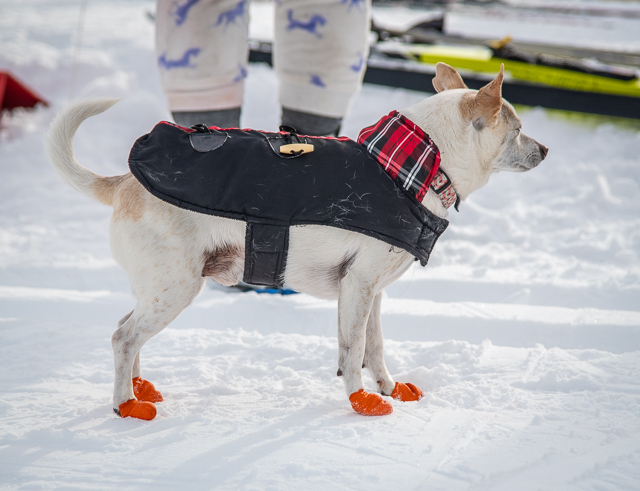 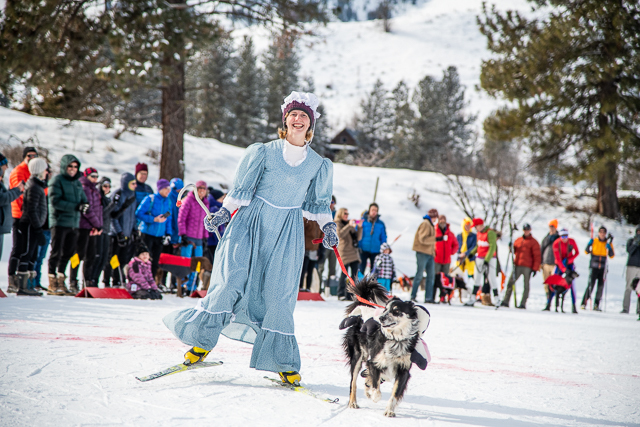 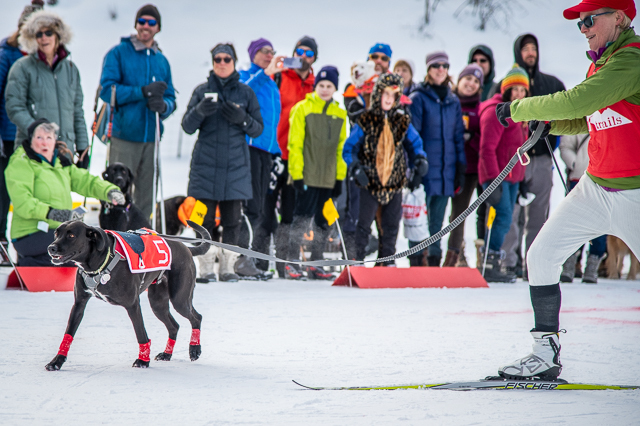 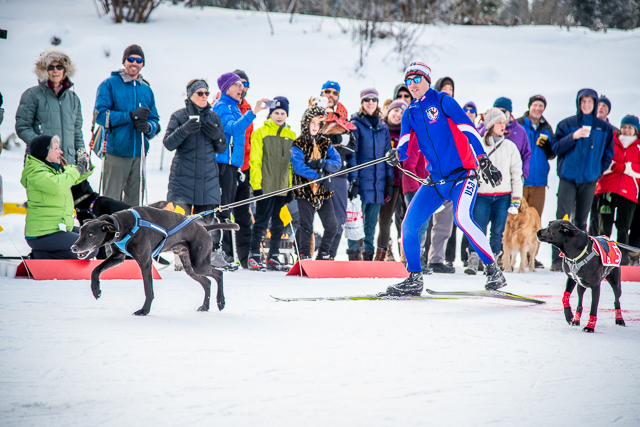 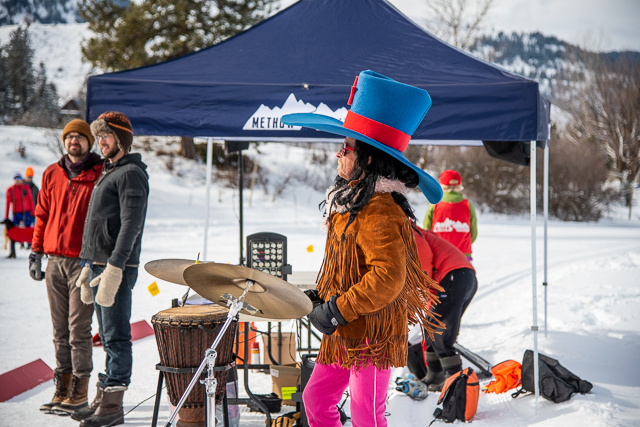 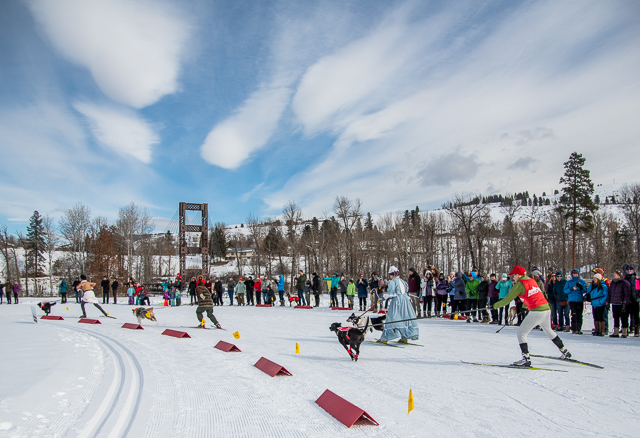 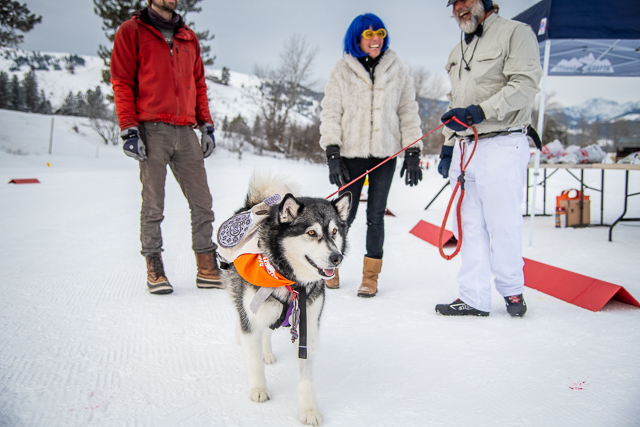 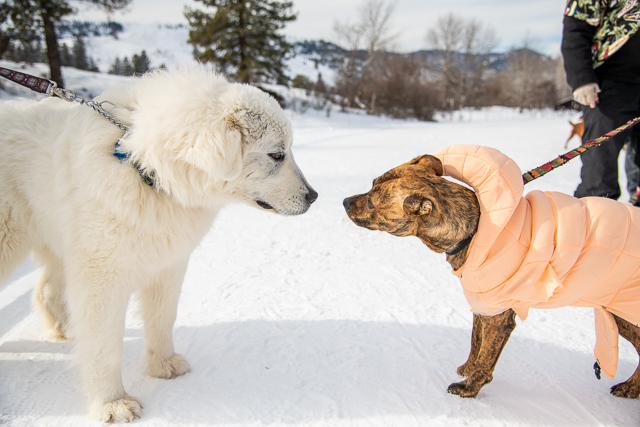 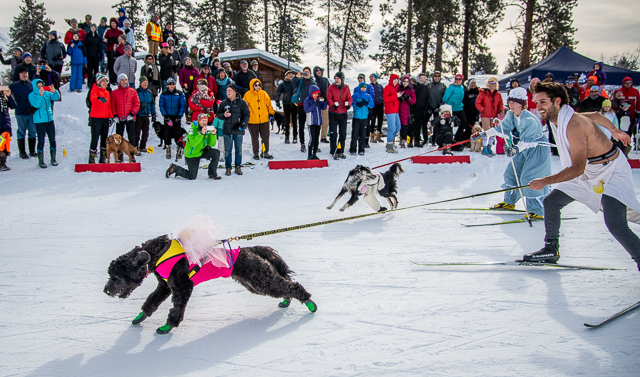 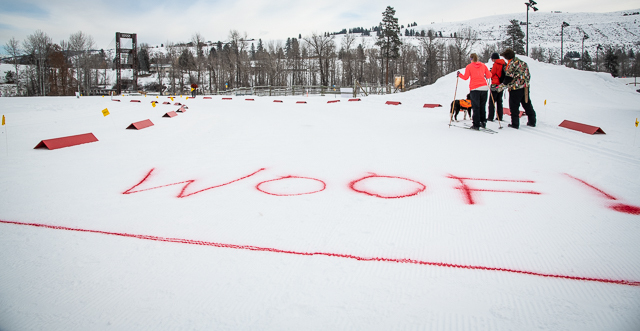 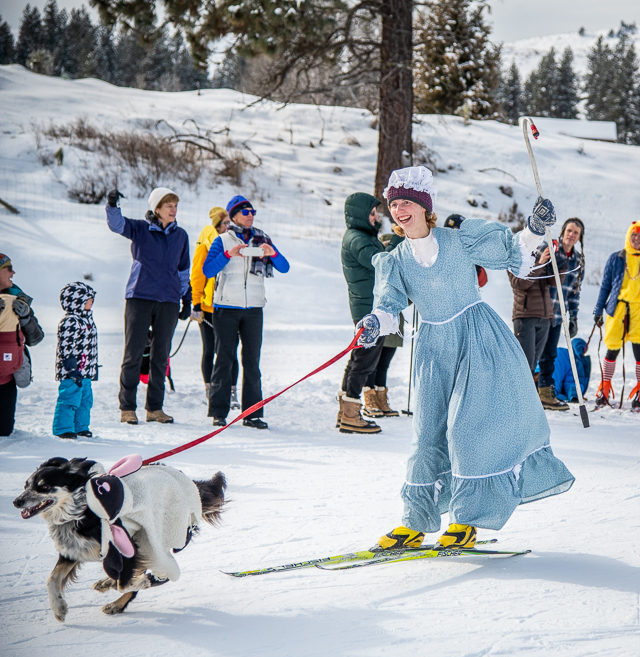 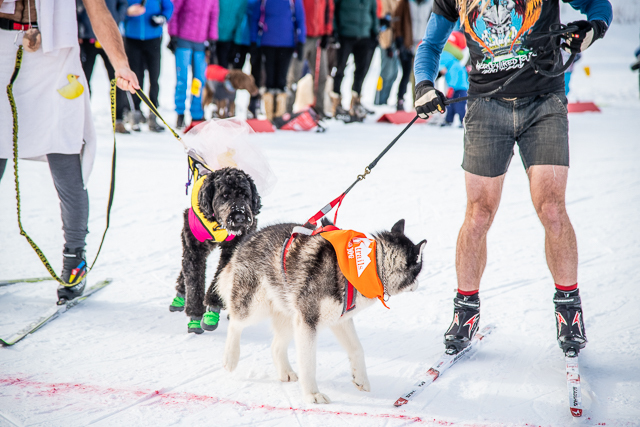 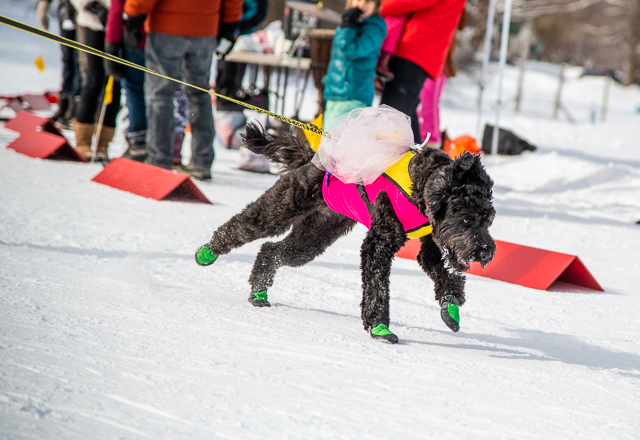 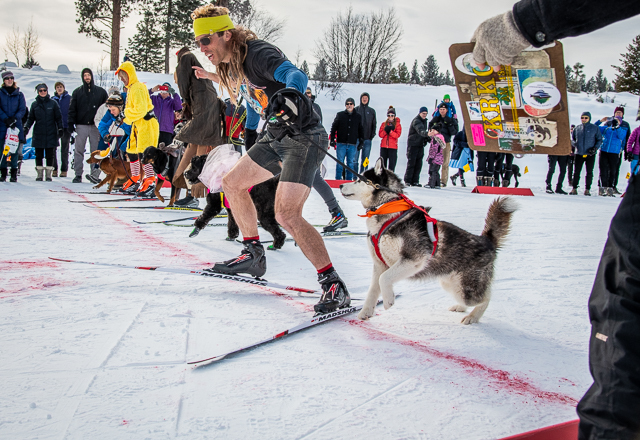 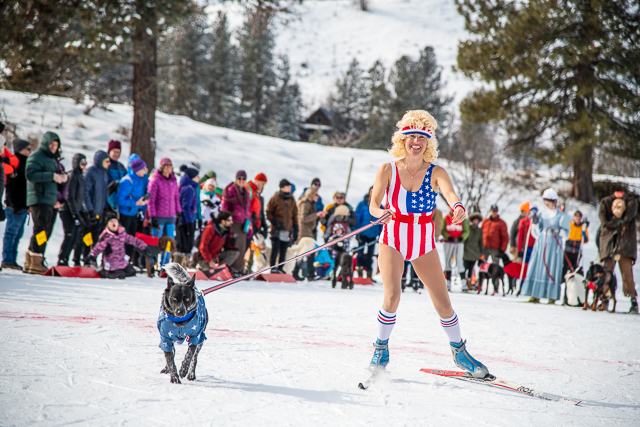 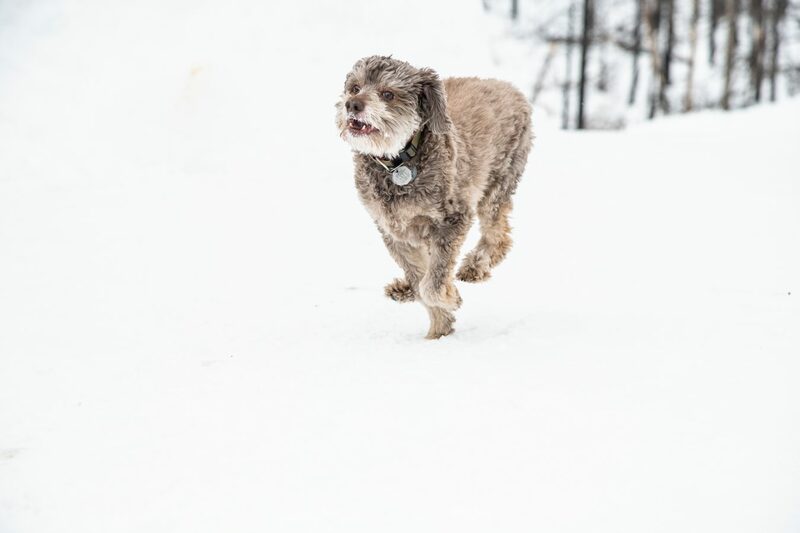 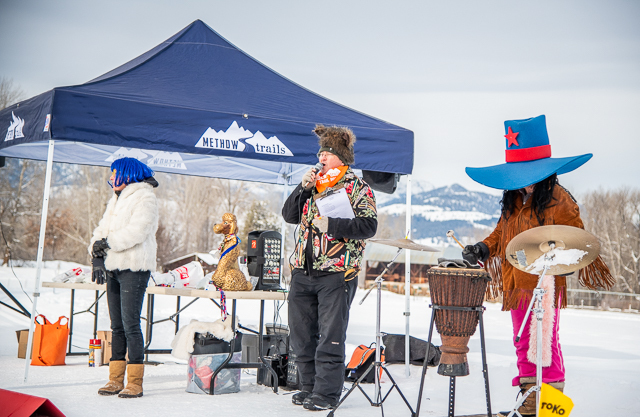 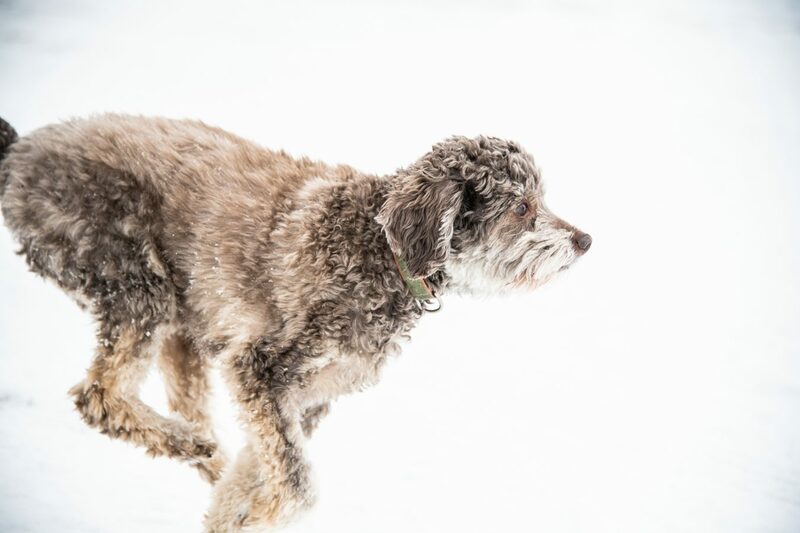 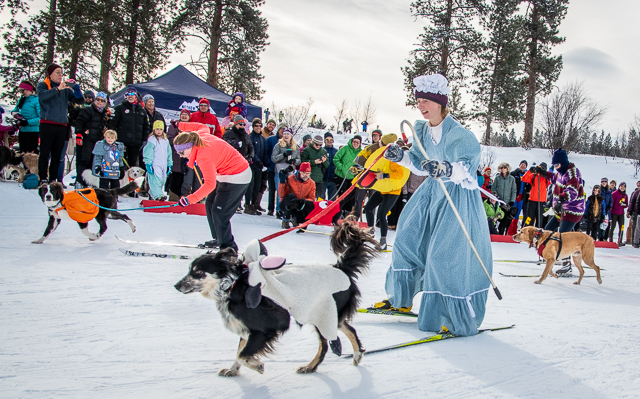 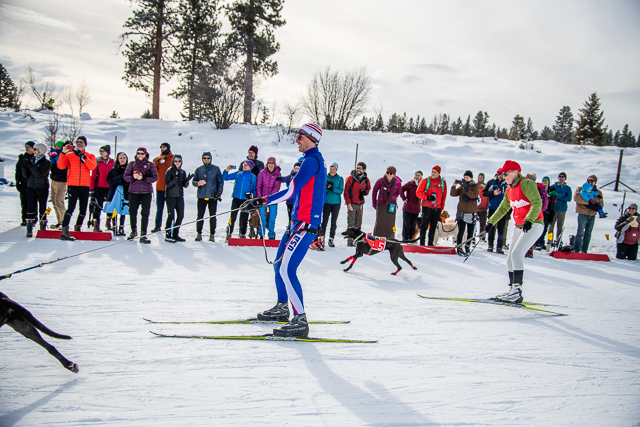 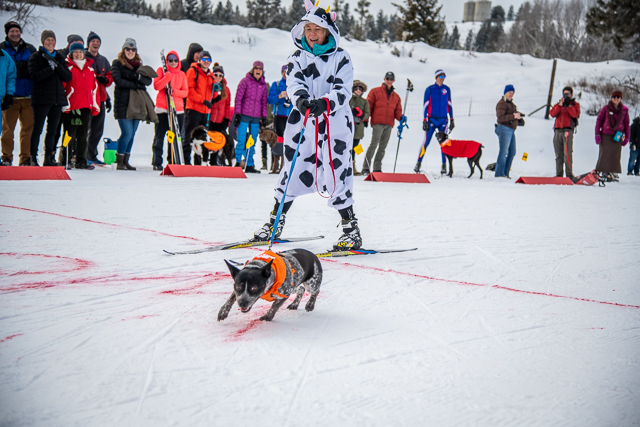 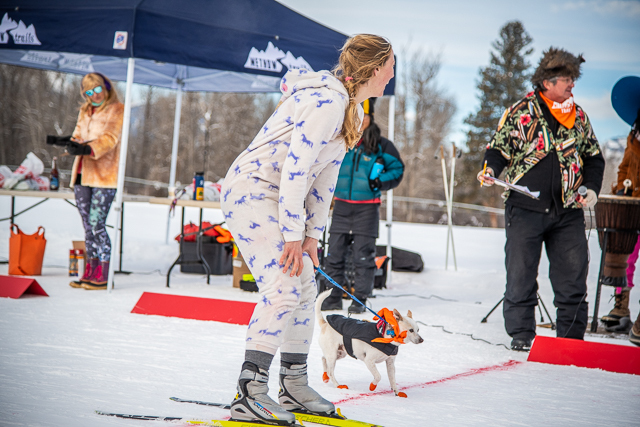 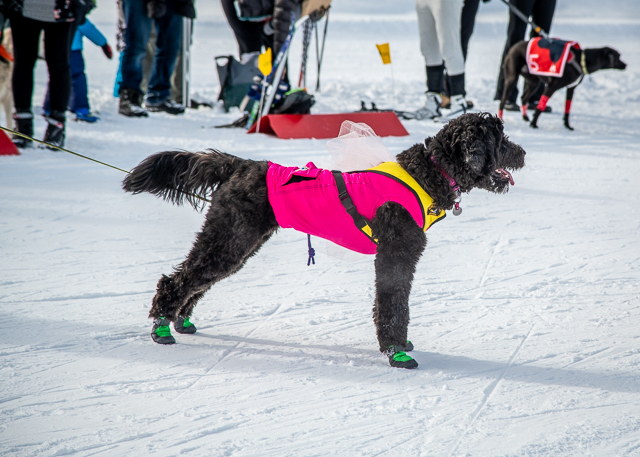 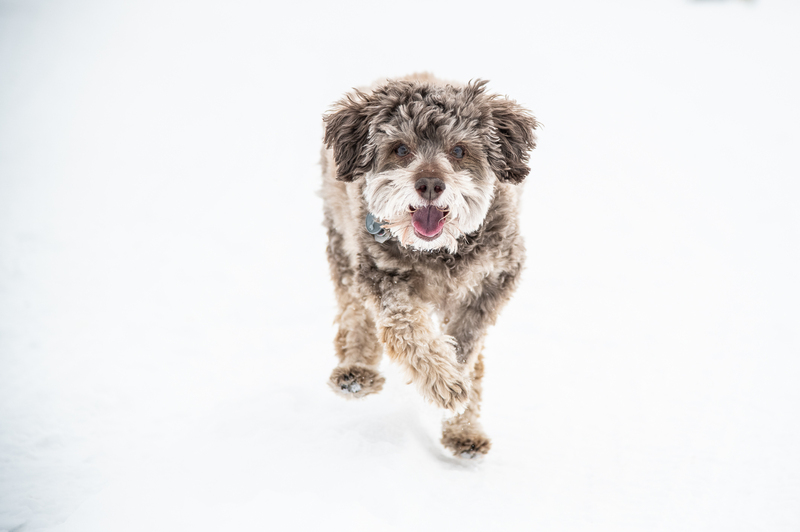 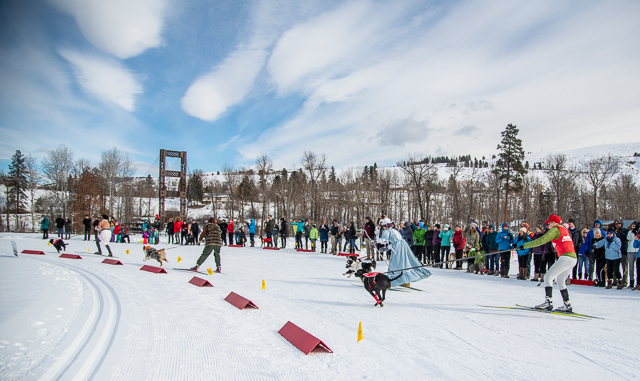 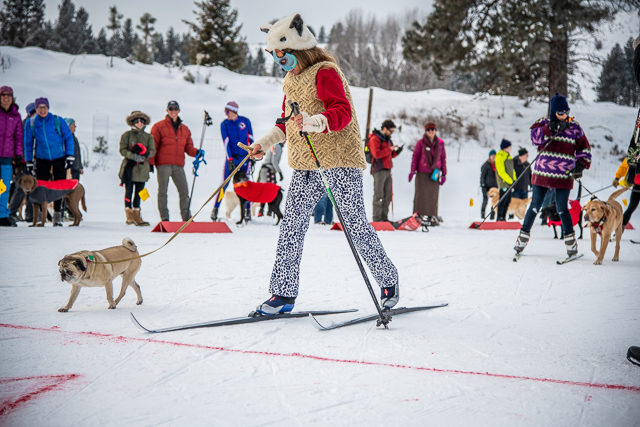 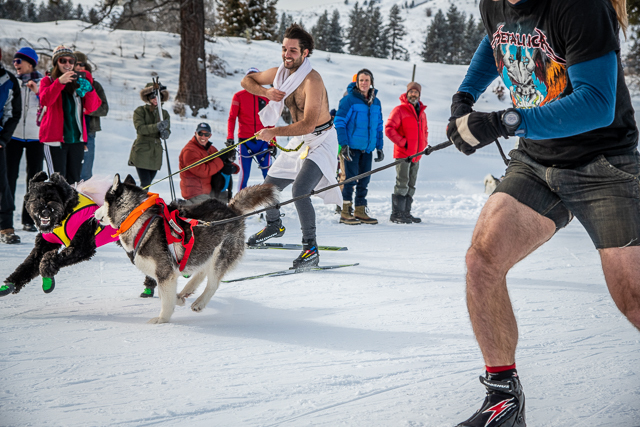 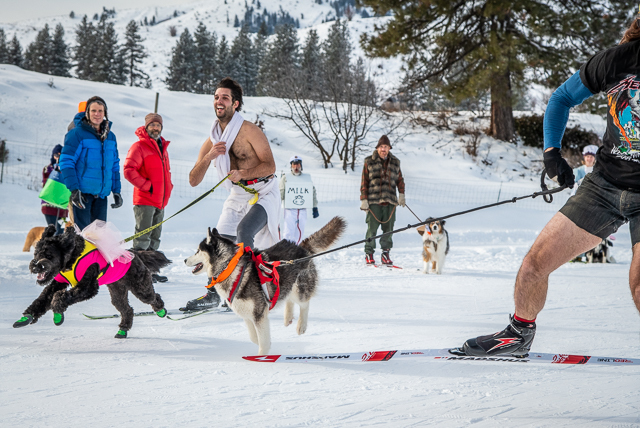 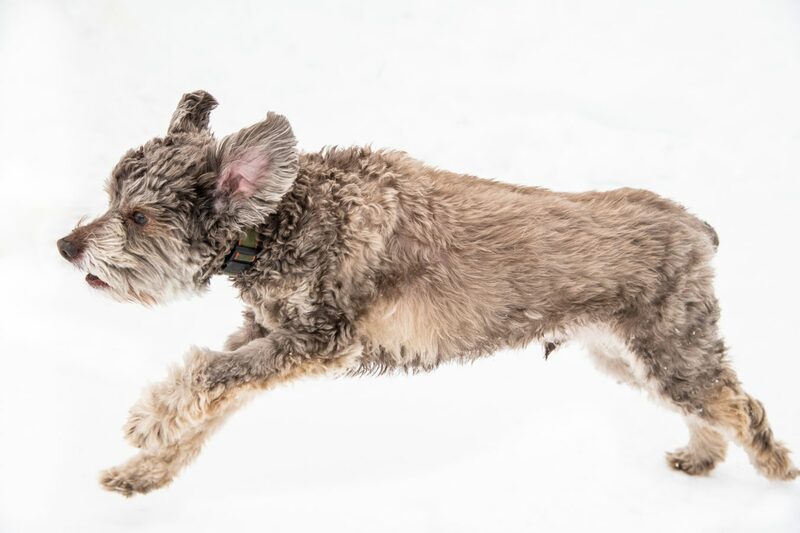 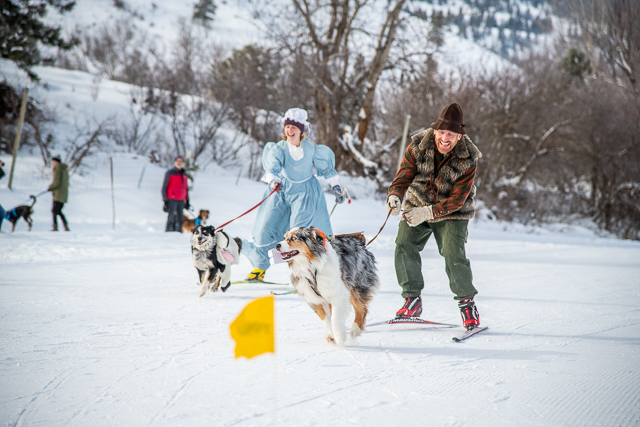 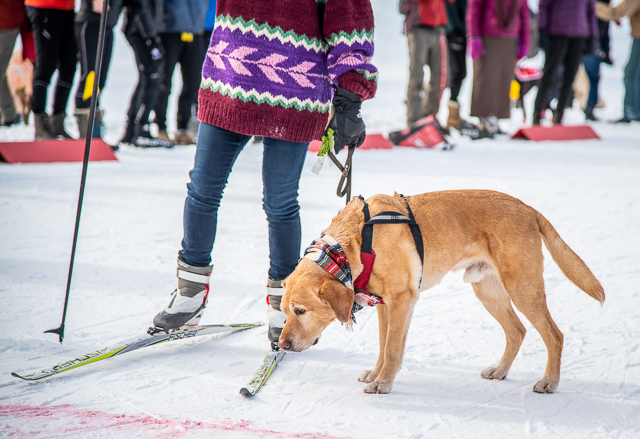 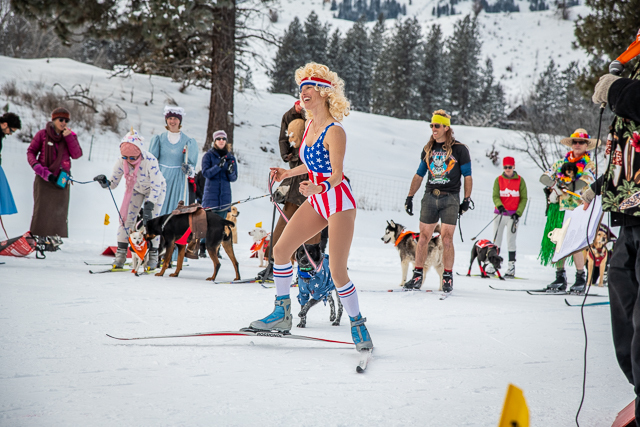 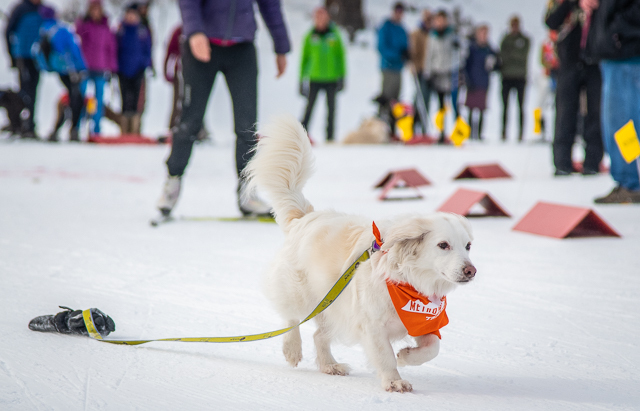 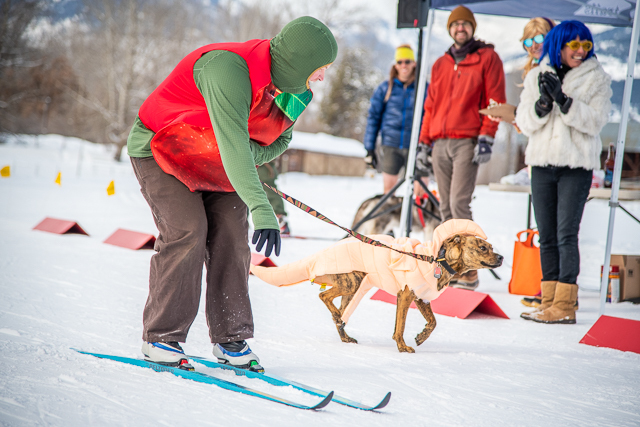 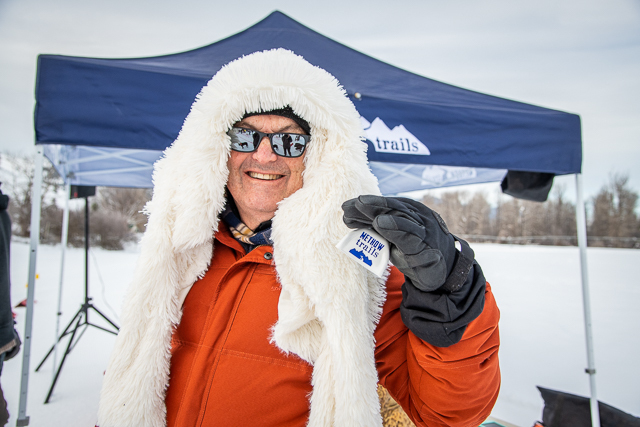 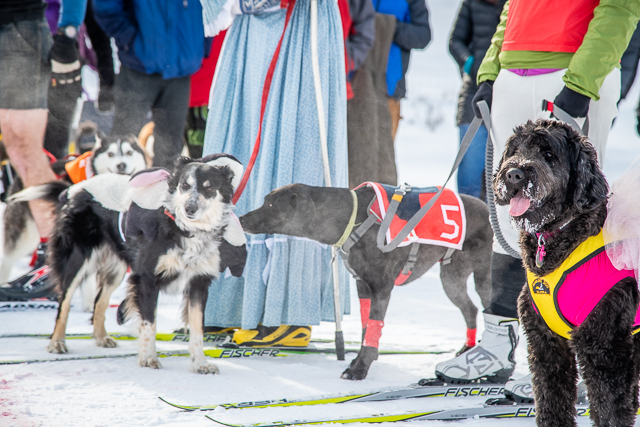 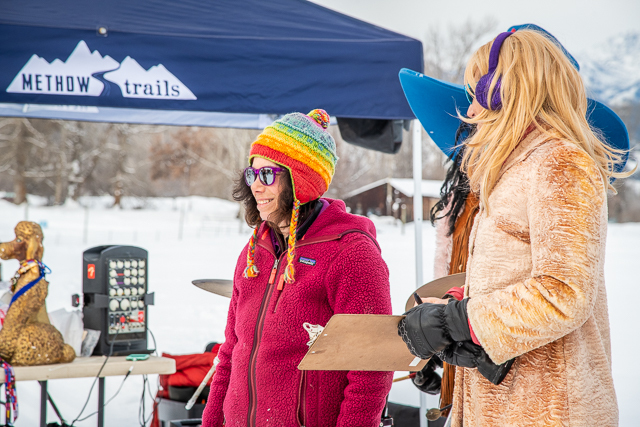 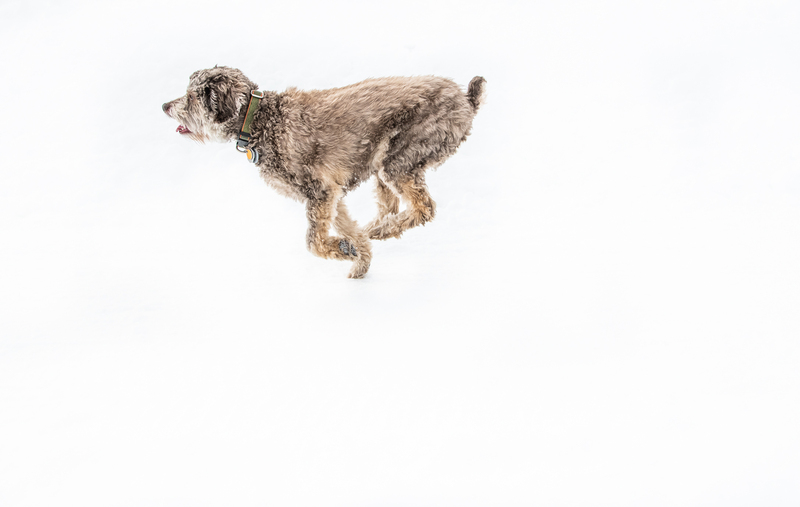 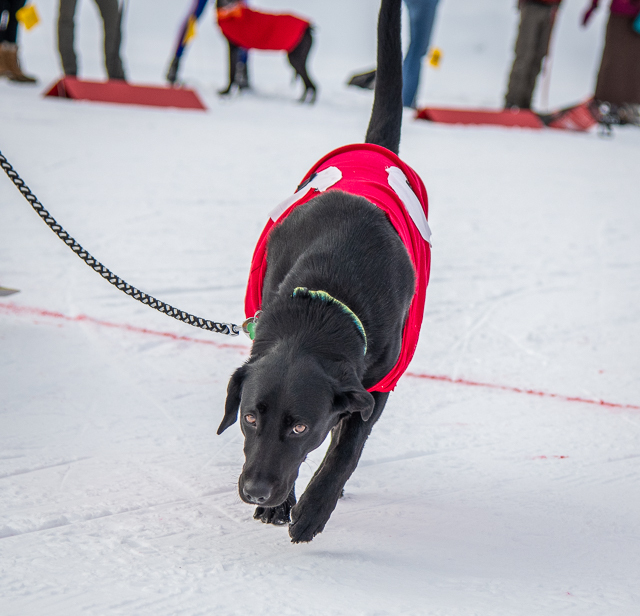 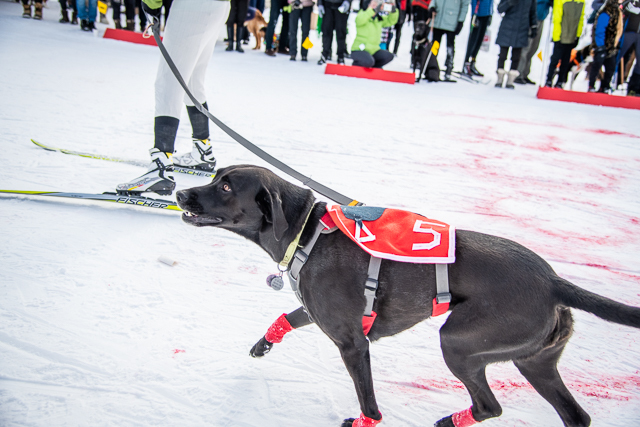 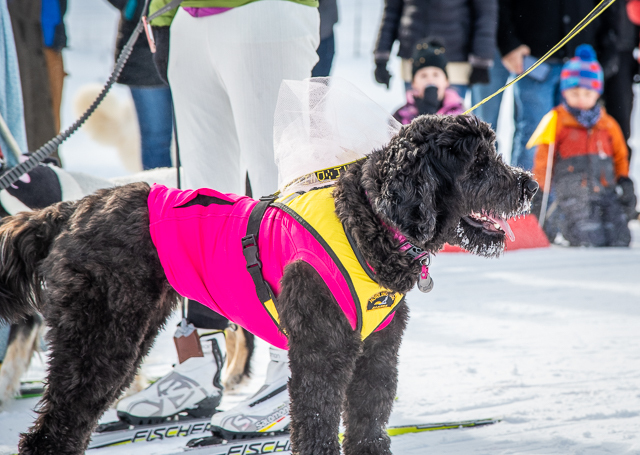 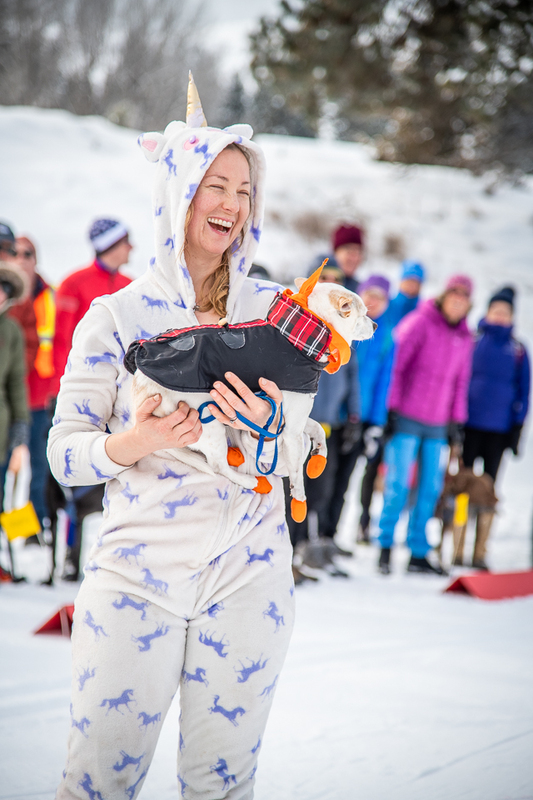 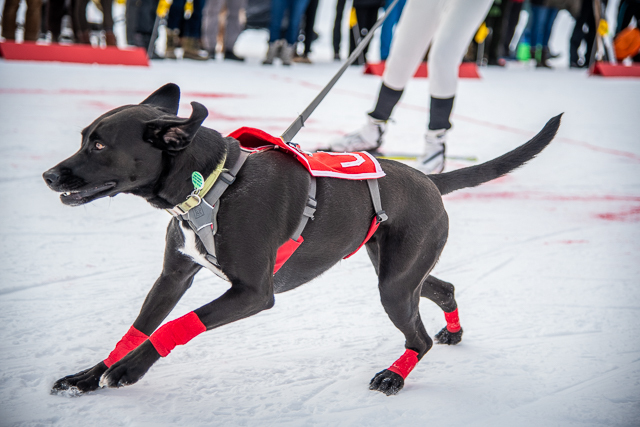 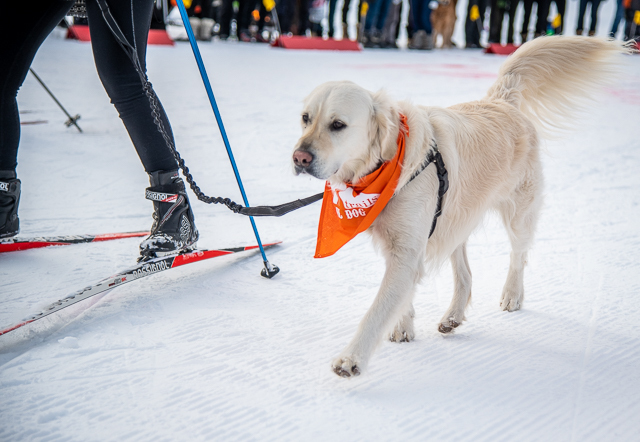 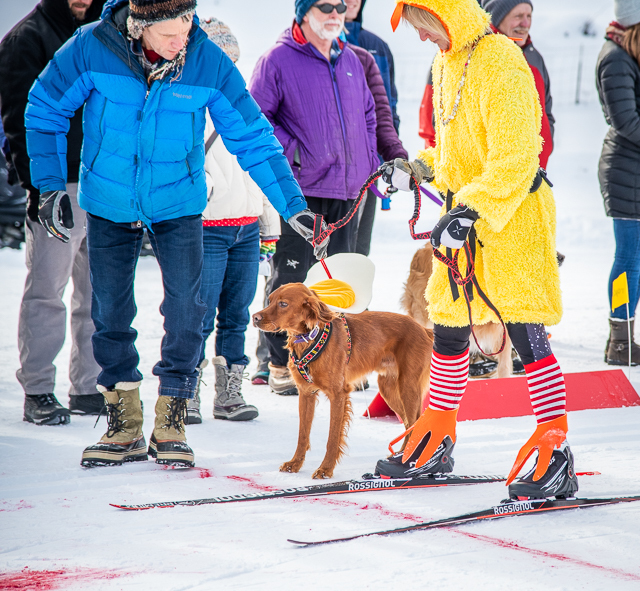 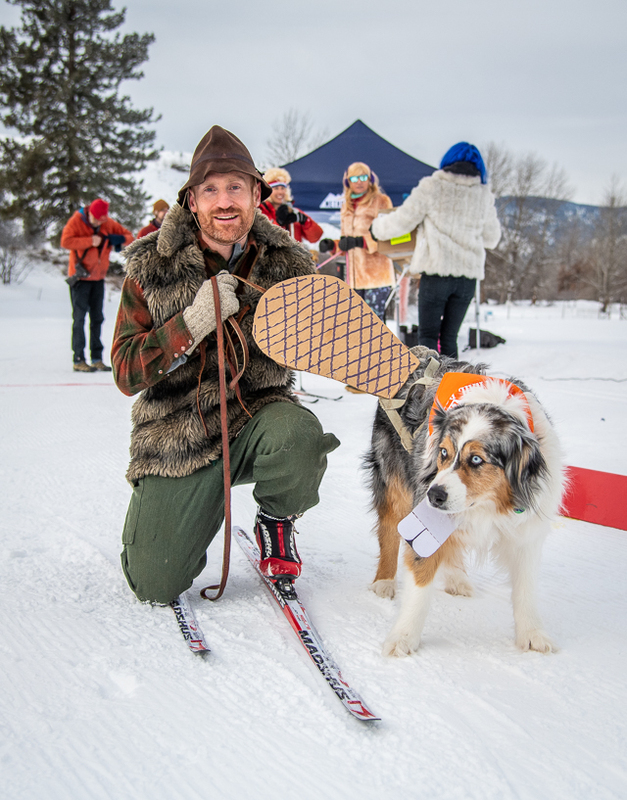 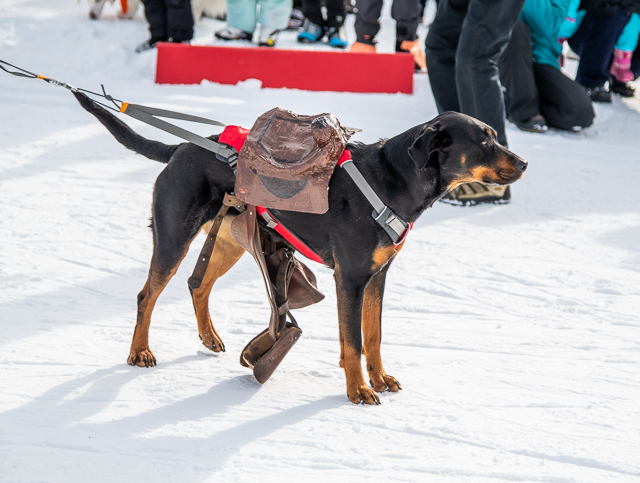 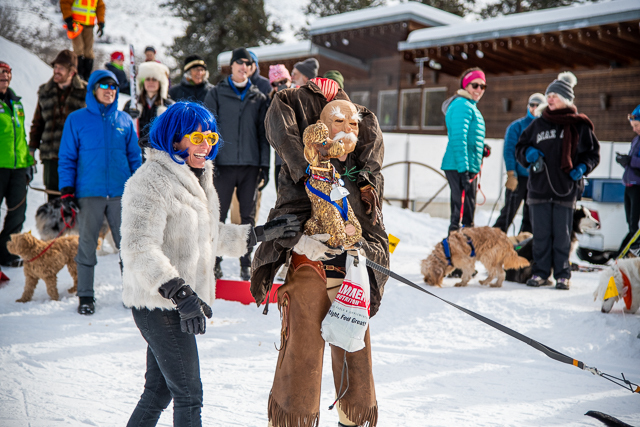 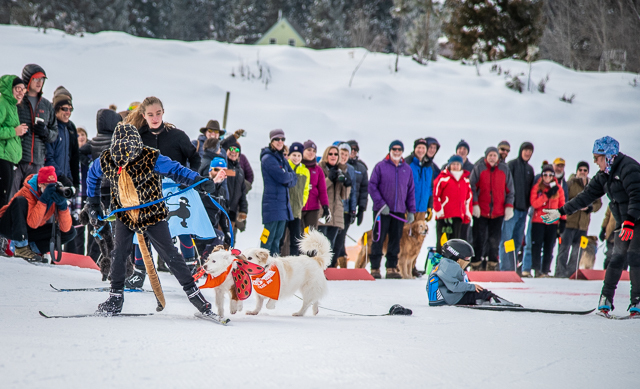 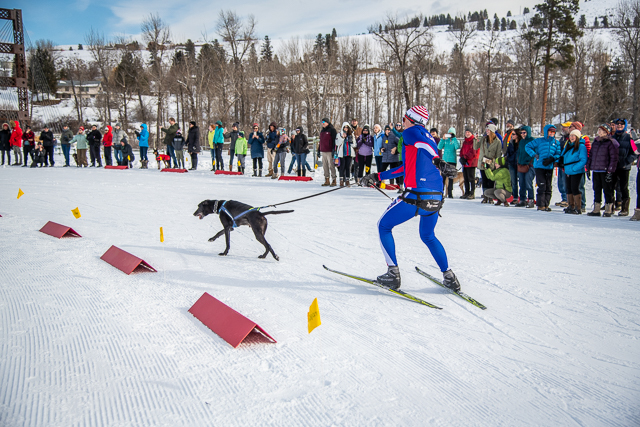 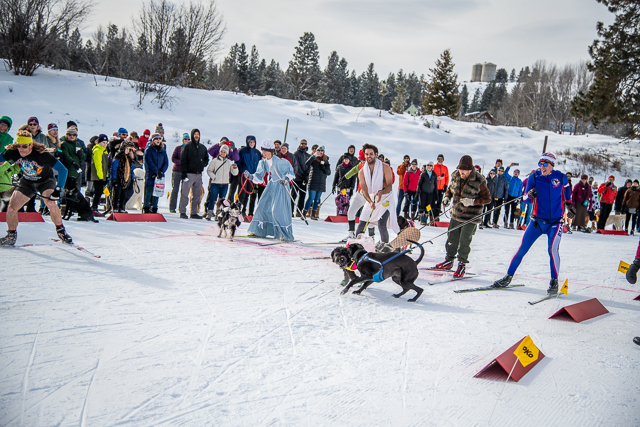 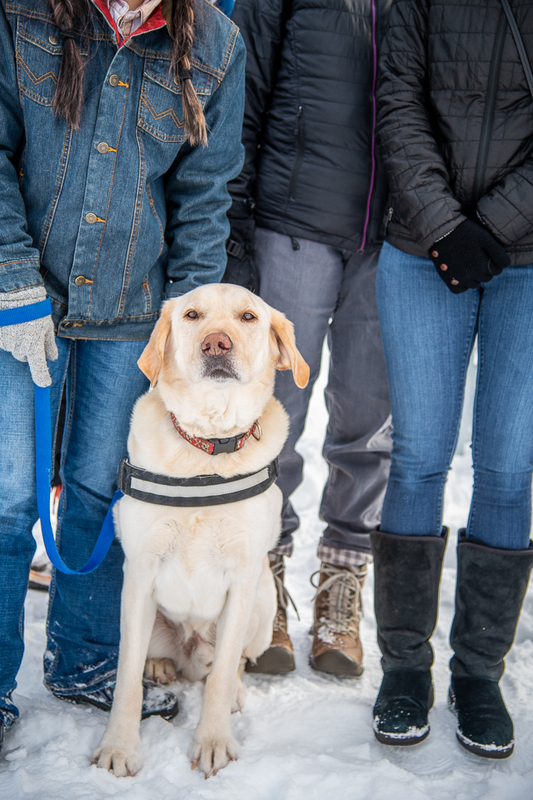 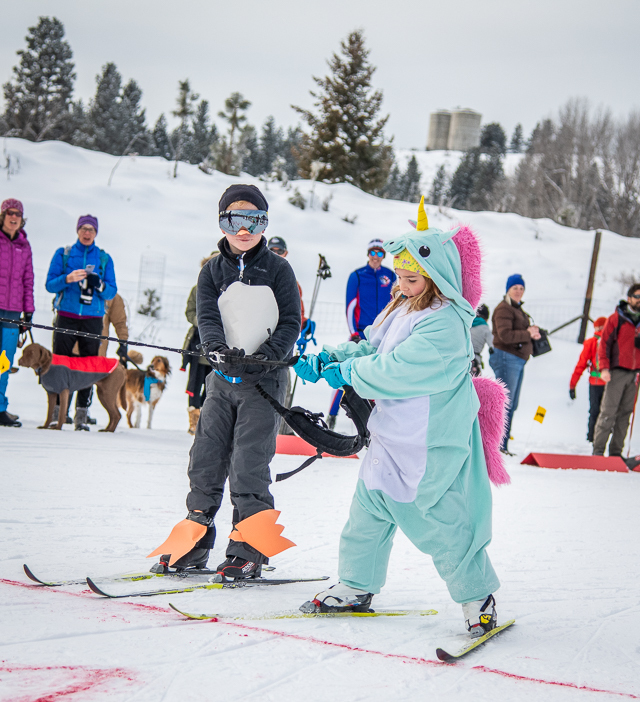 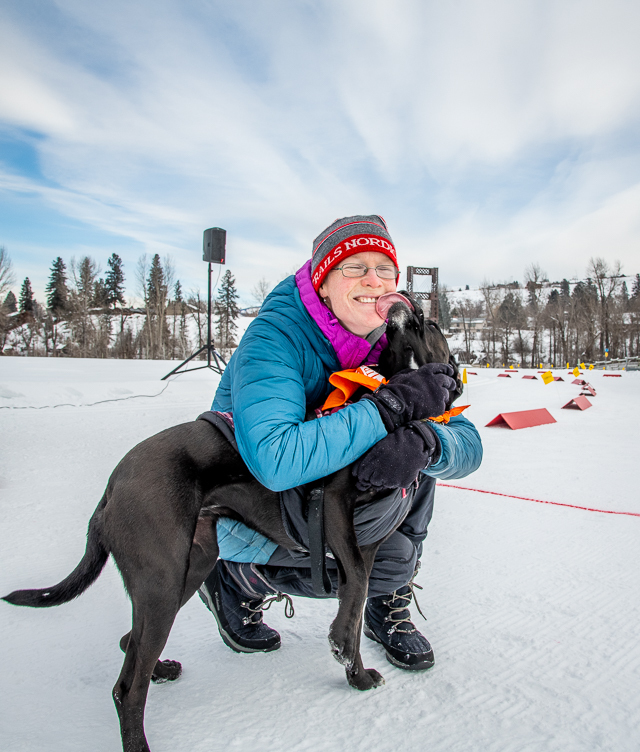 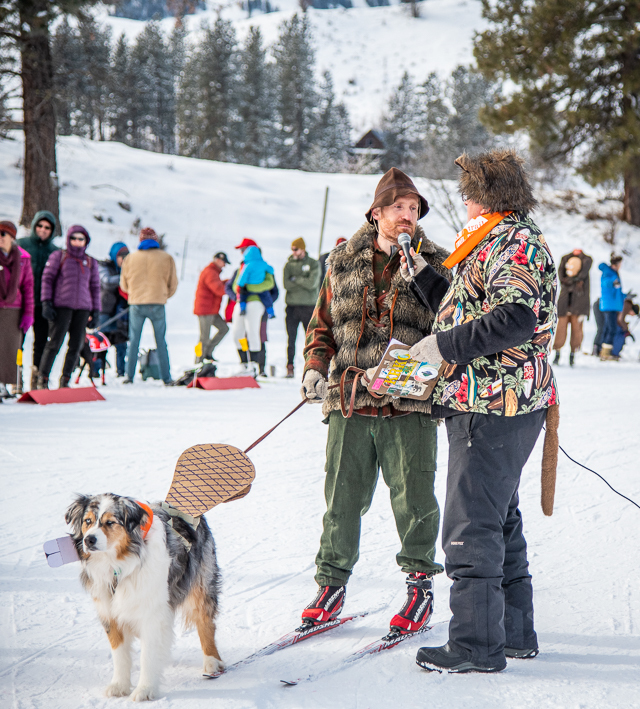 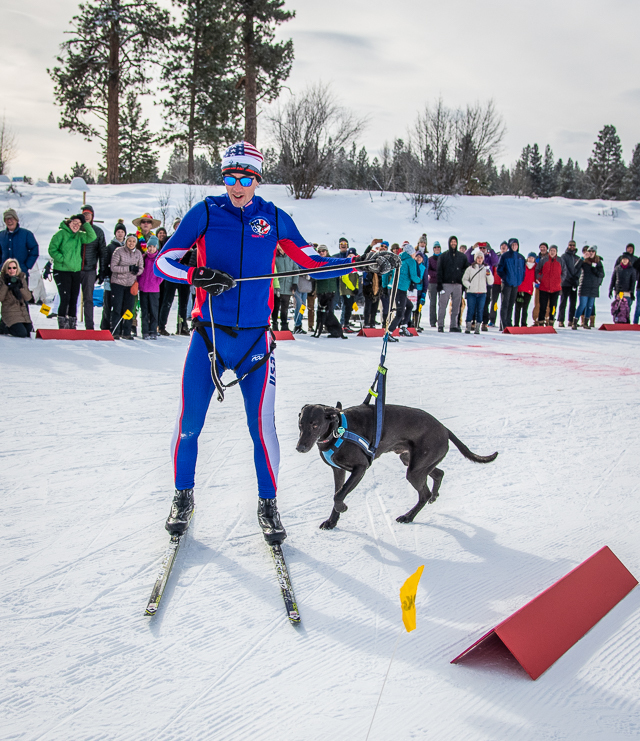 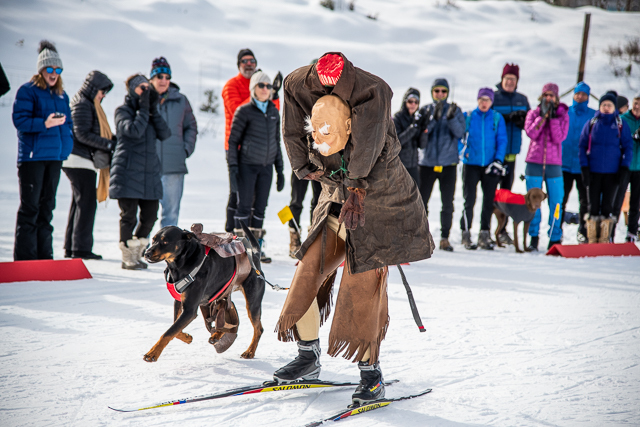 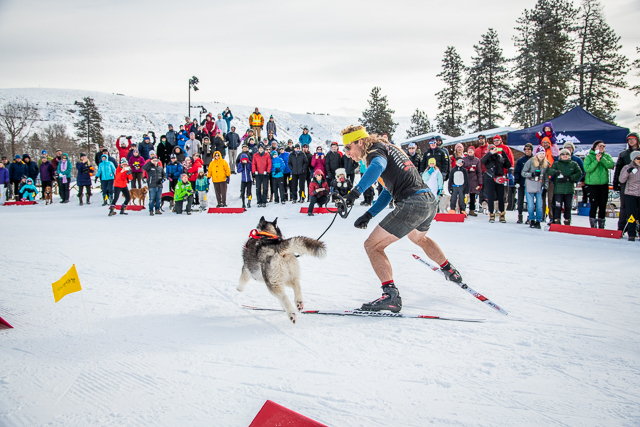 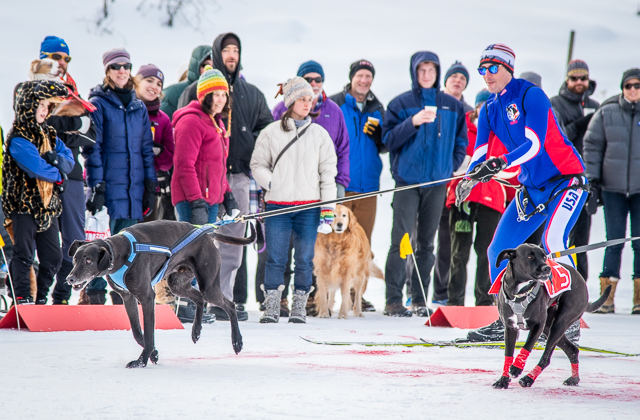 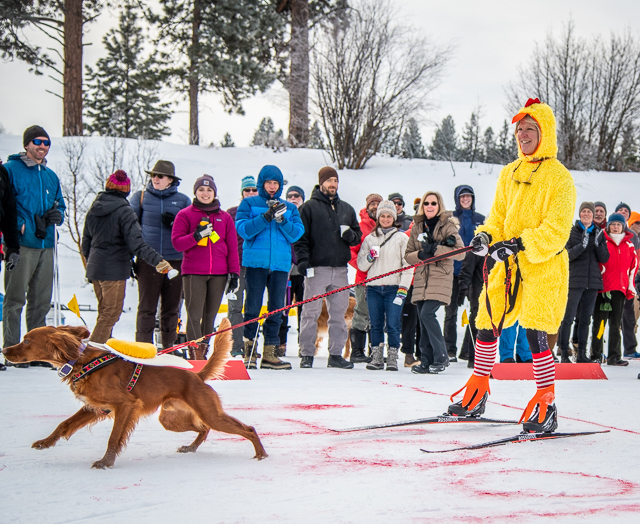 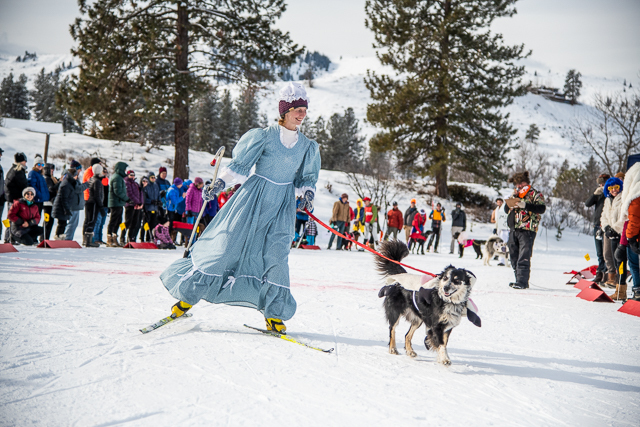 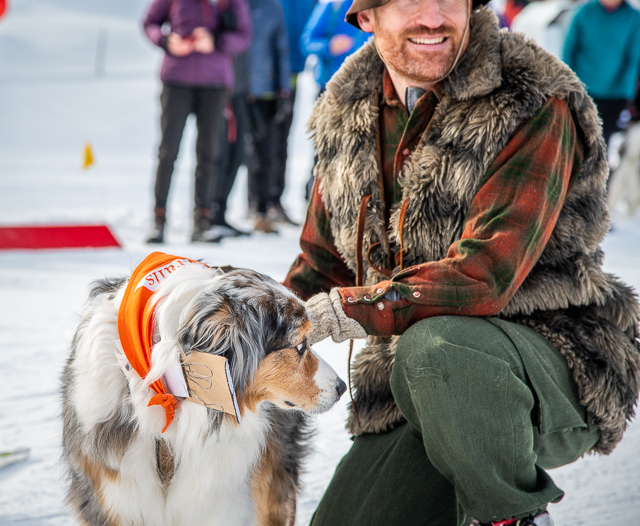 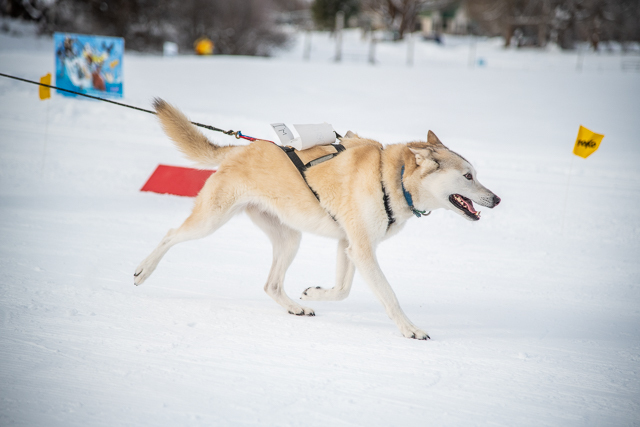 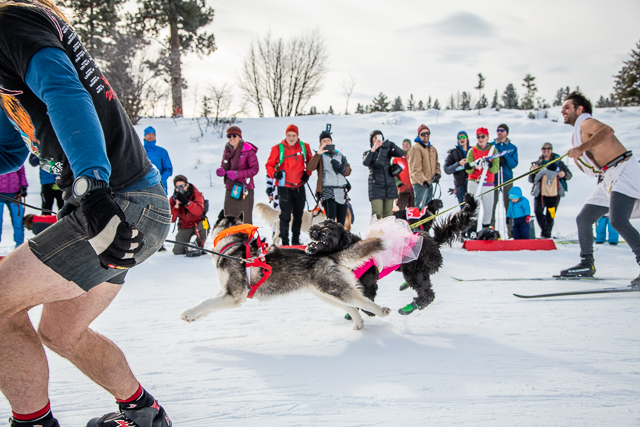 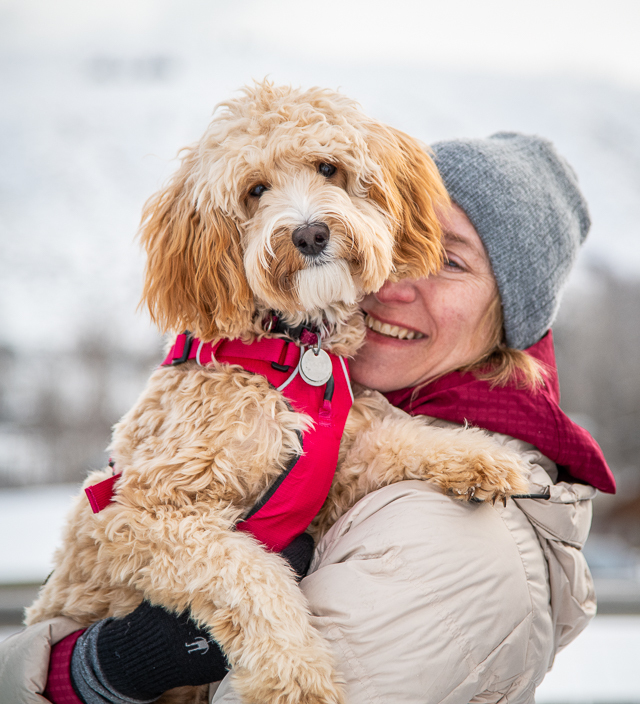 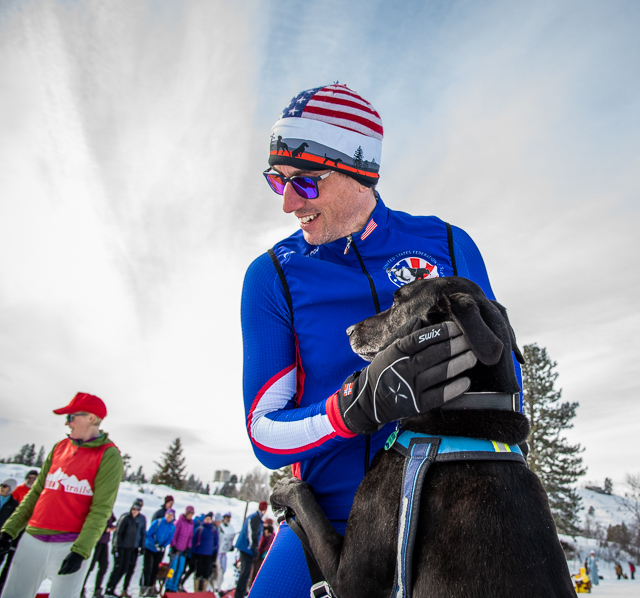 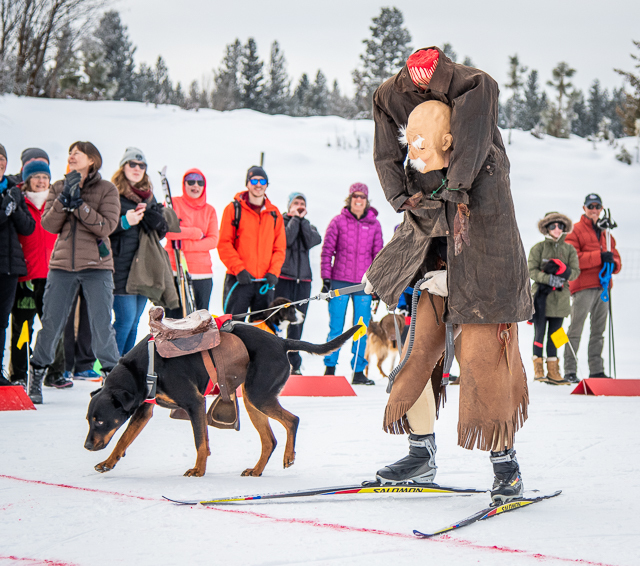 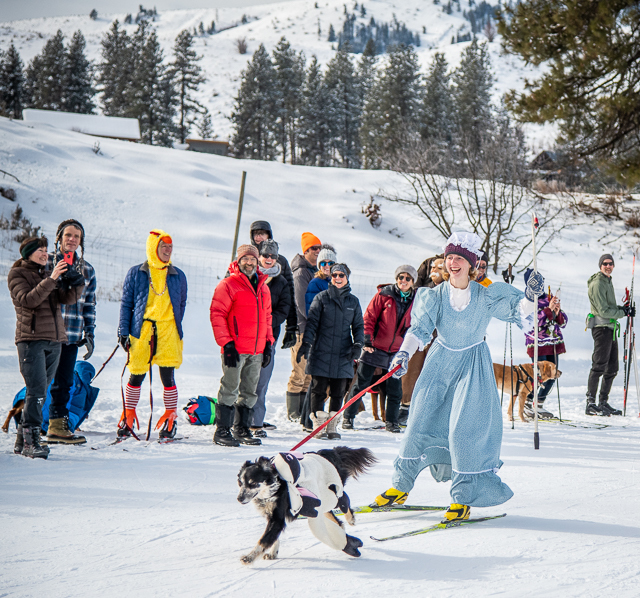 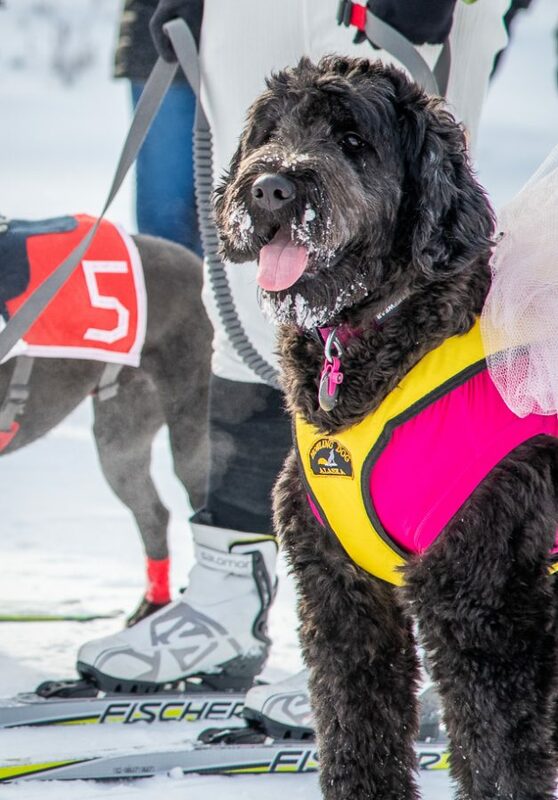 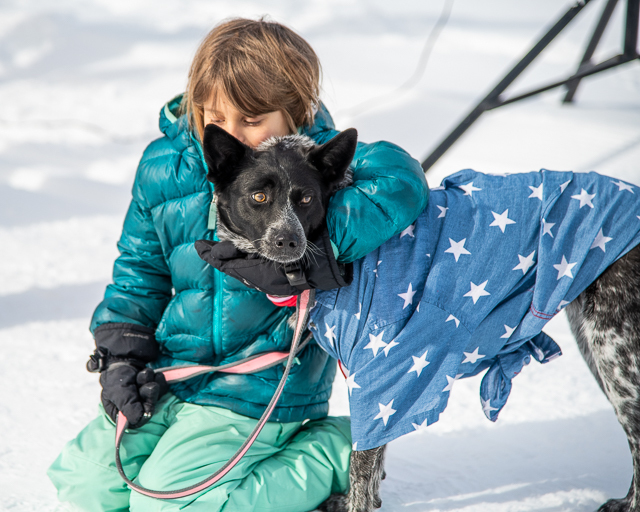 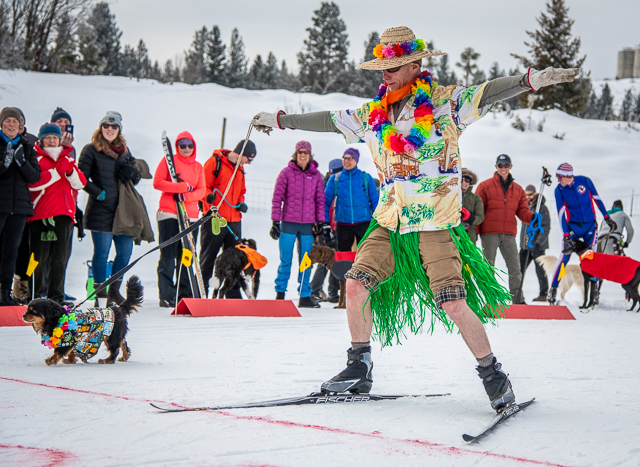 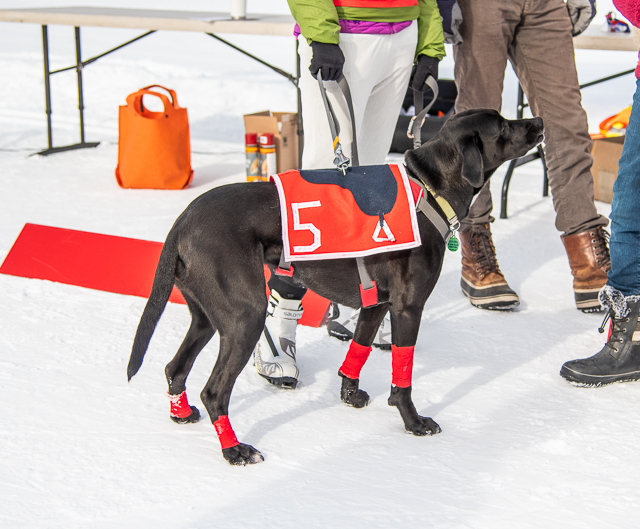 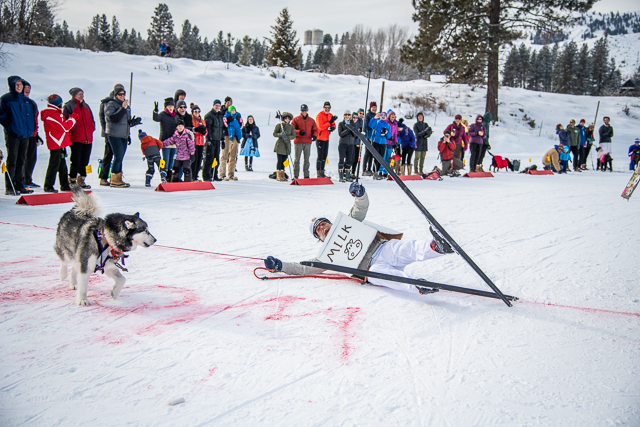 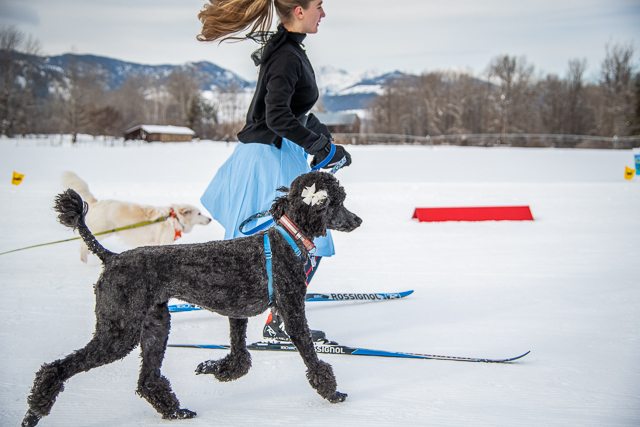 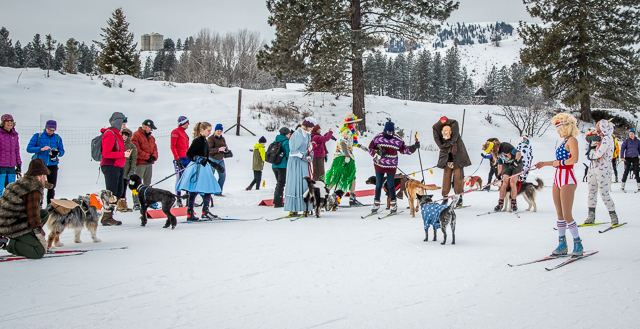 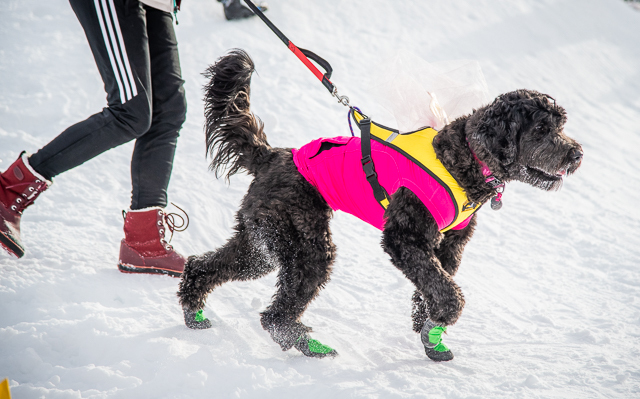 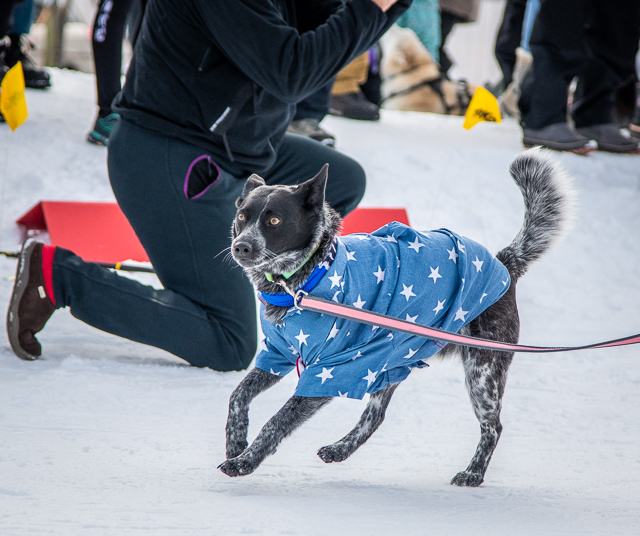 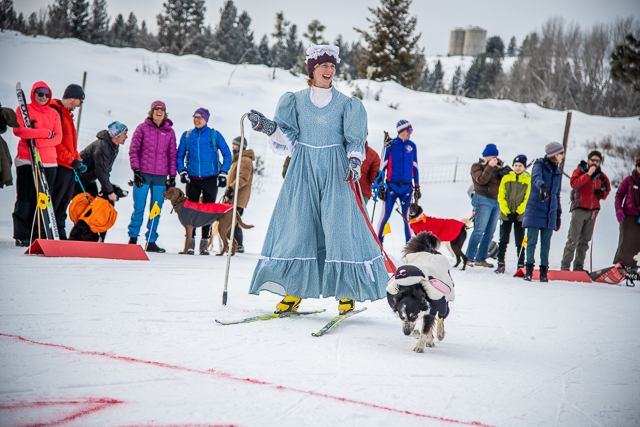 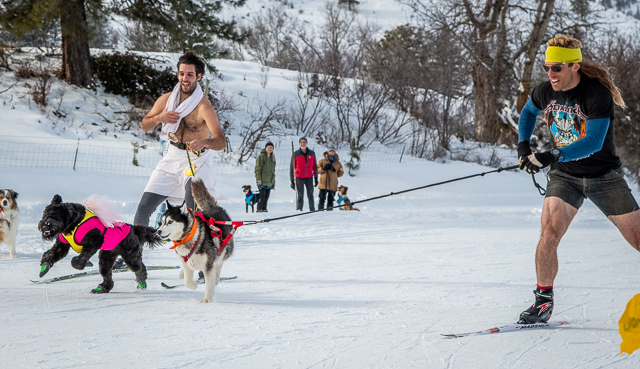 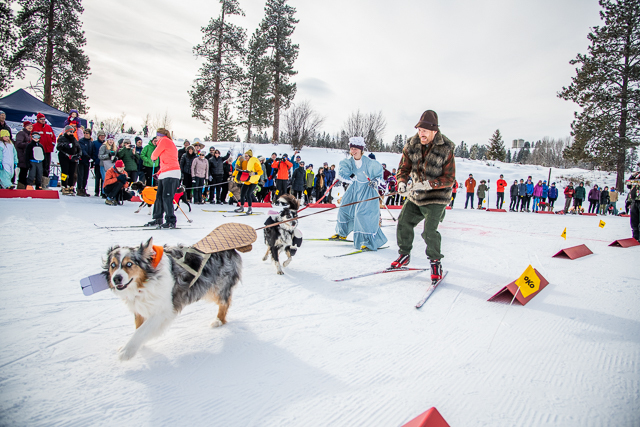 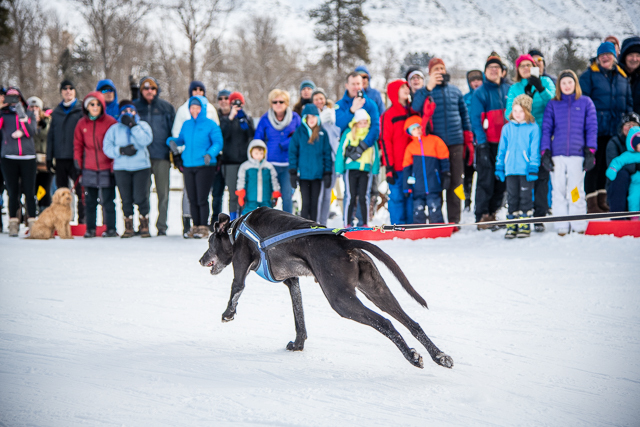 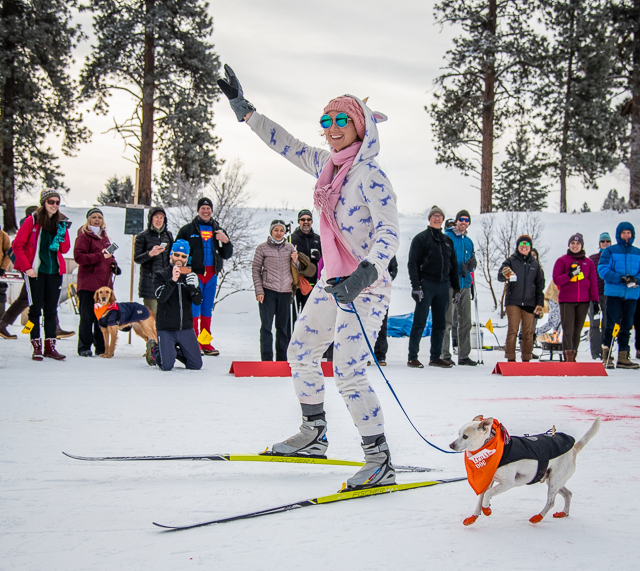 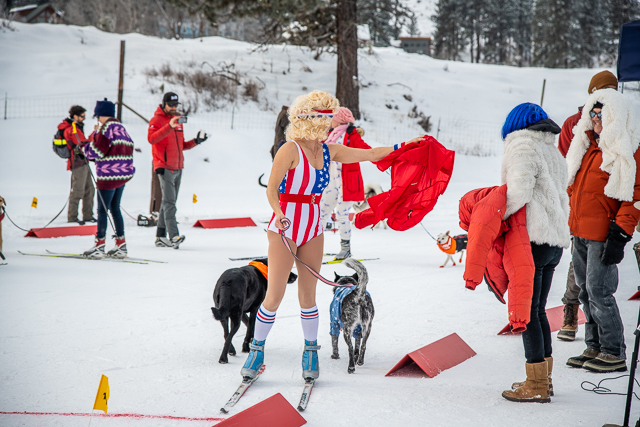 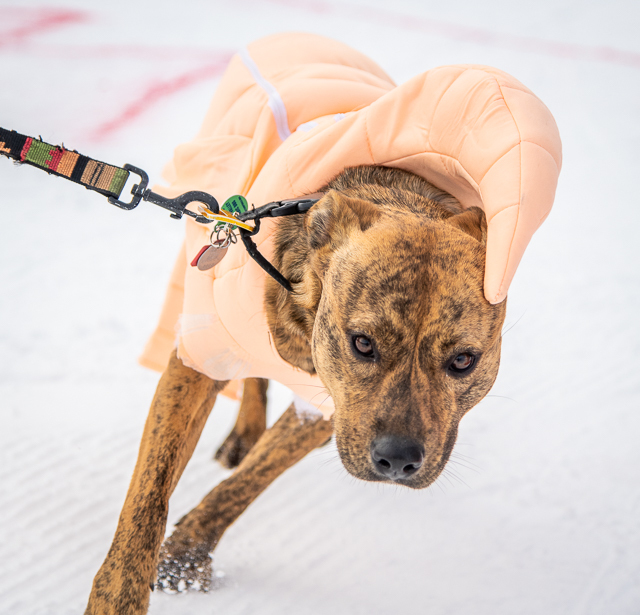 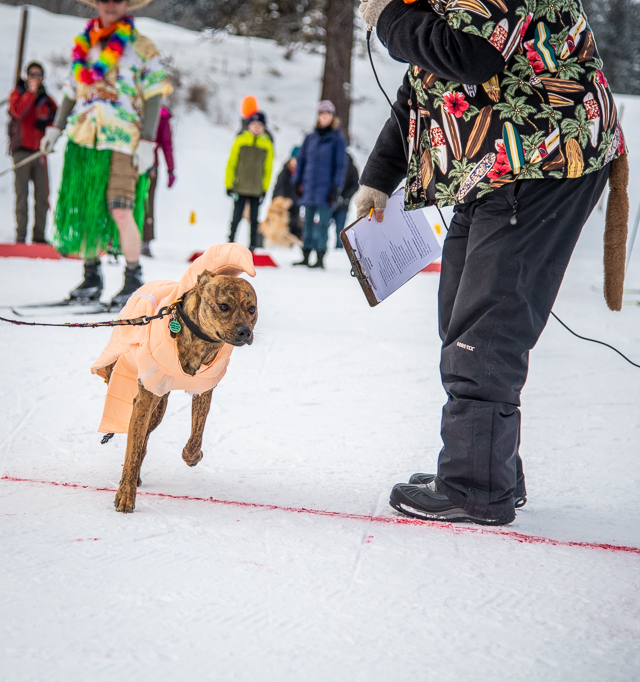 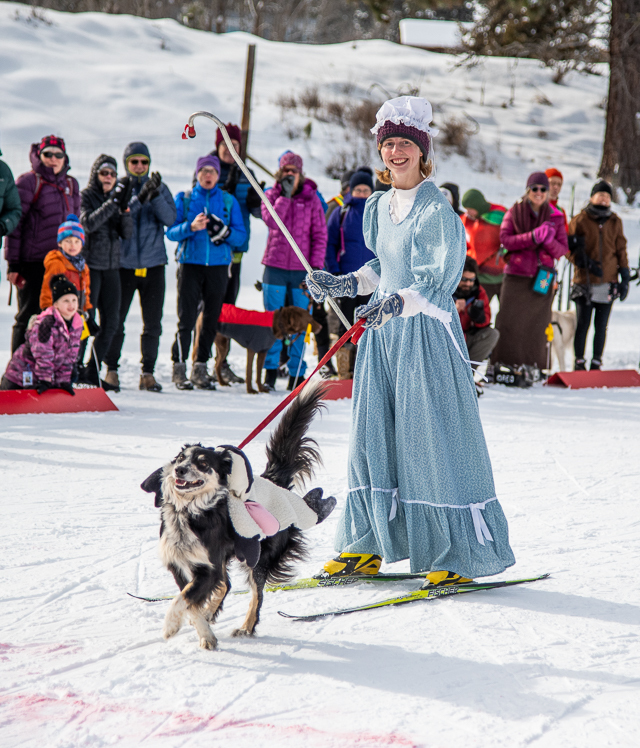 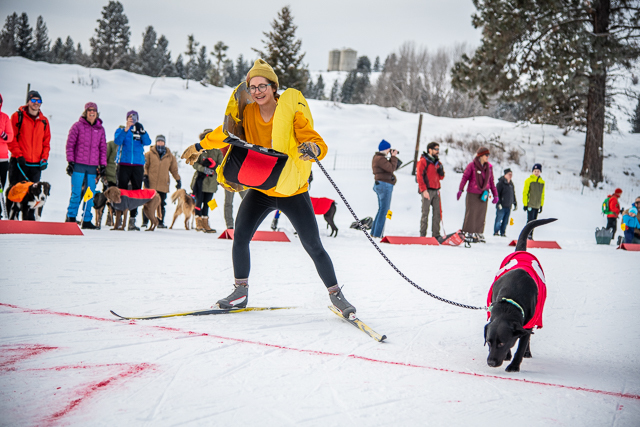 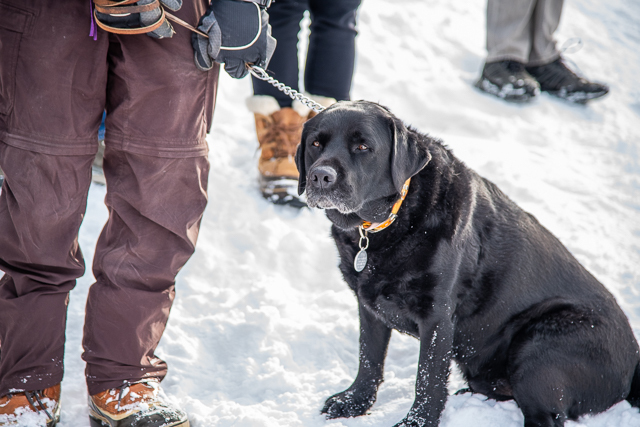 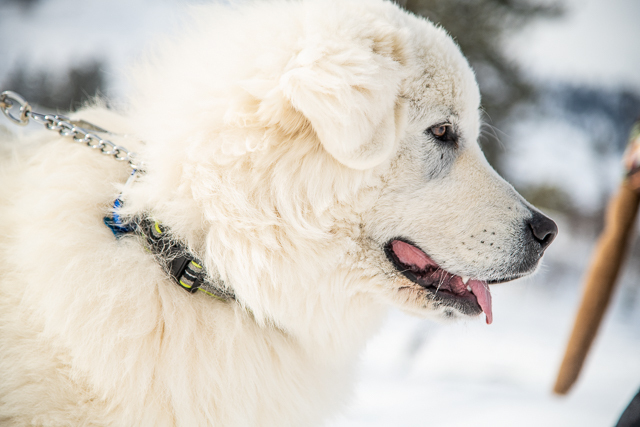 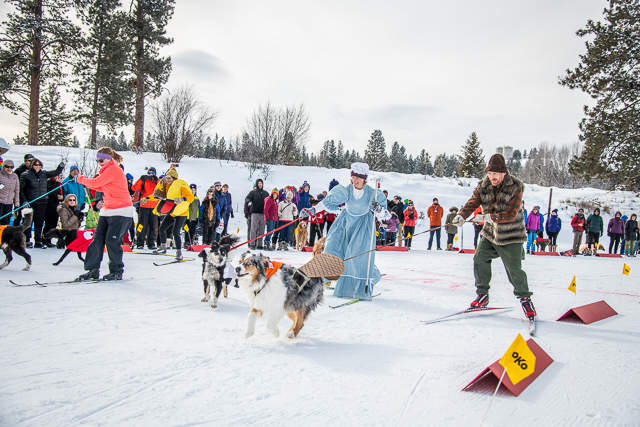 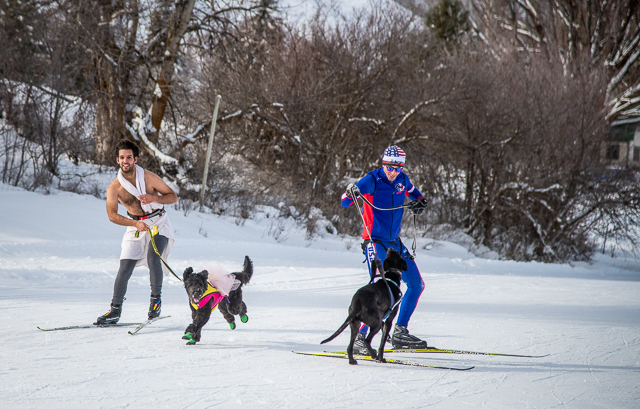 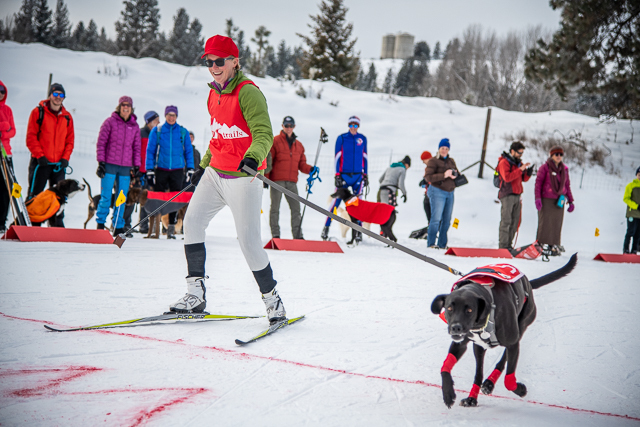 One of the highlights of this holiday weekend is the annual Doggie Dash, hosted by Methow Trails. 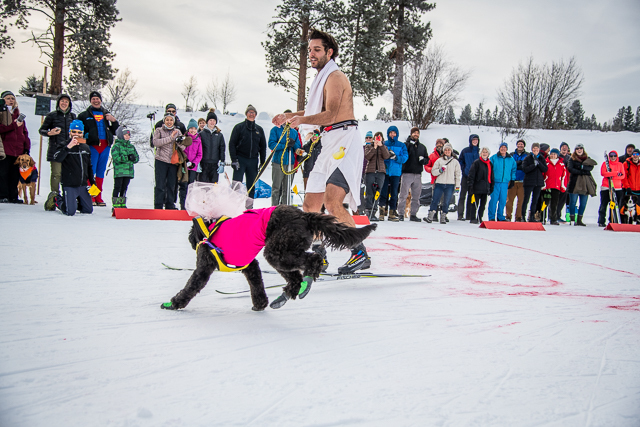 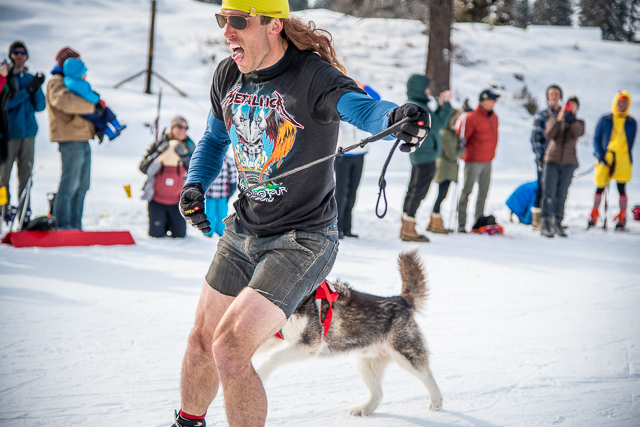 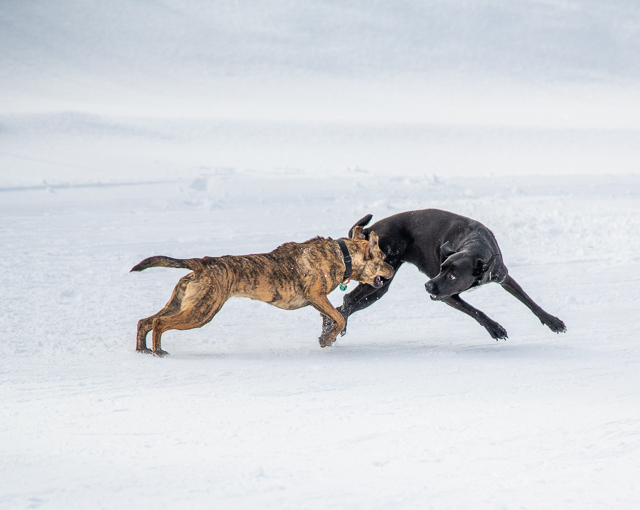 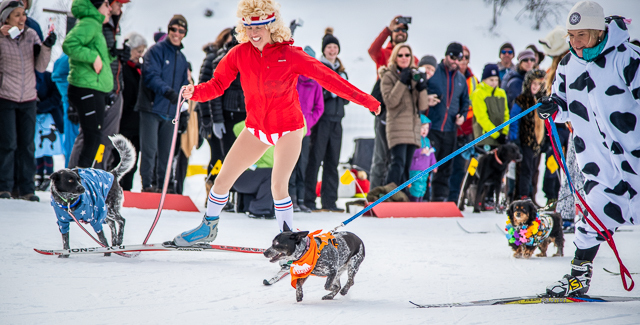 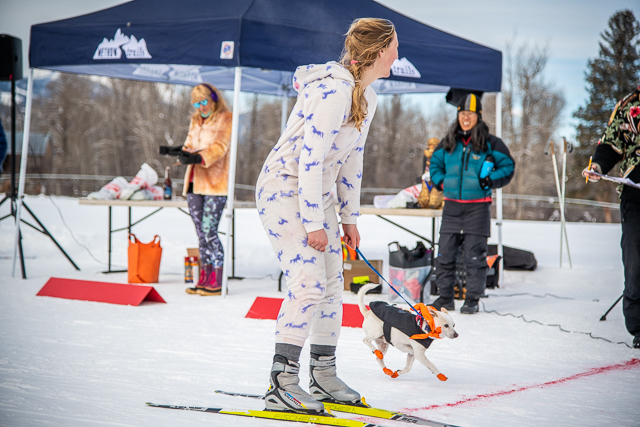 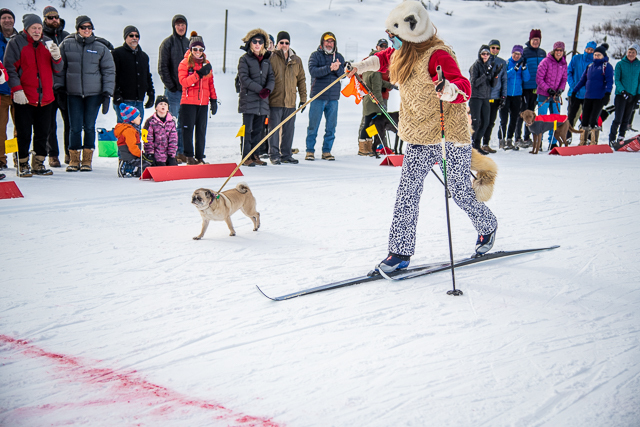 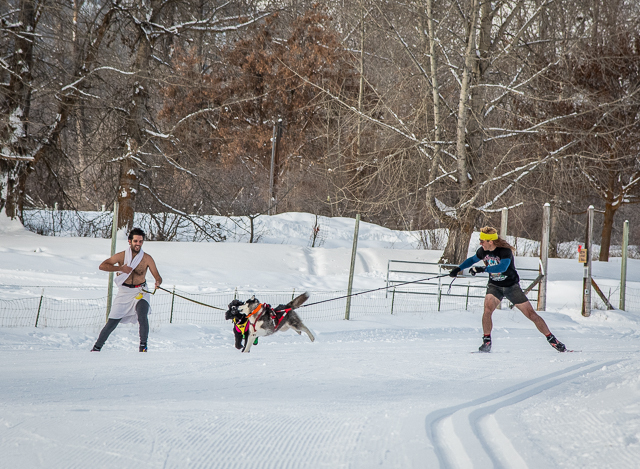 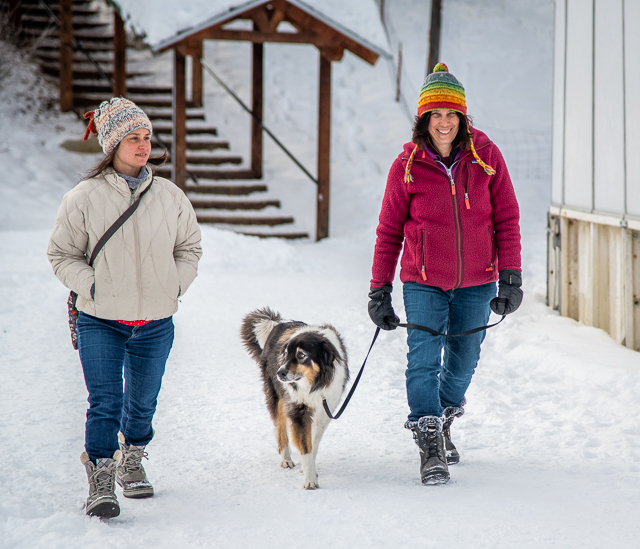 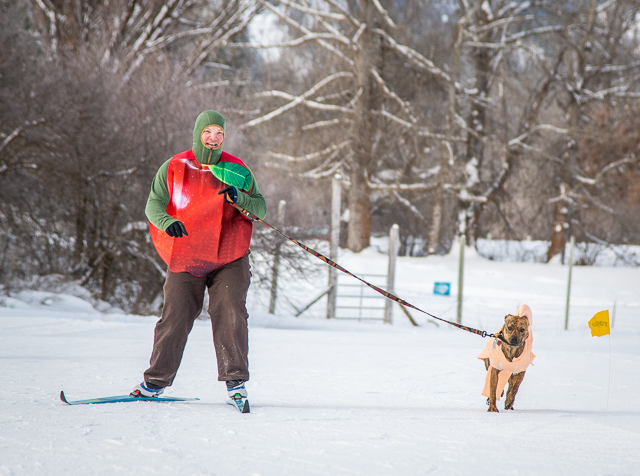 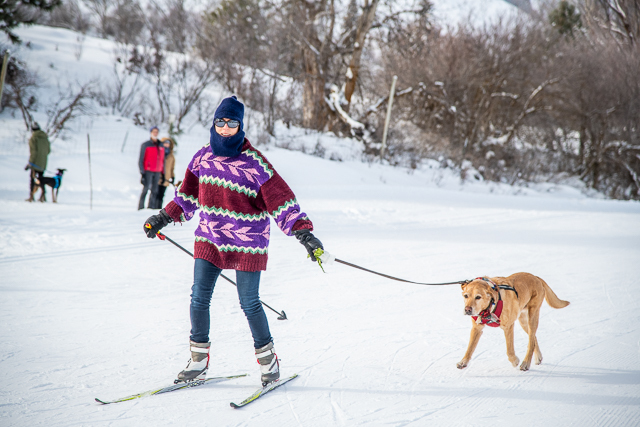 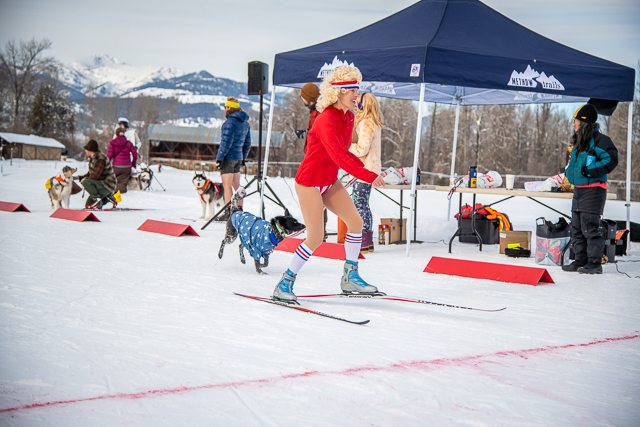 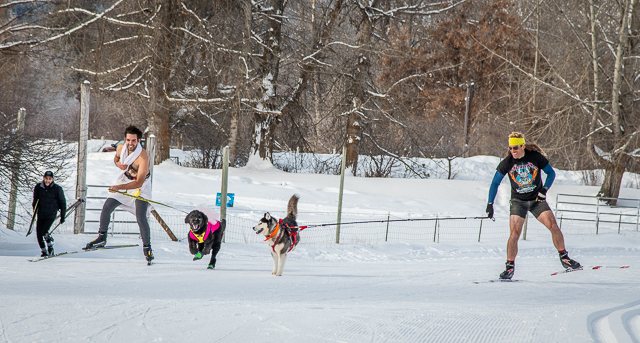 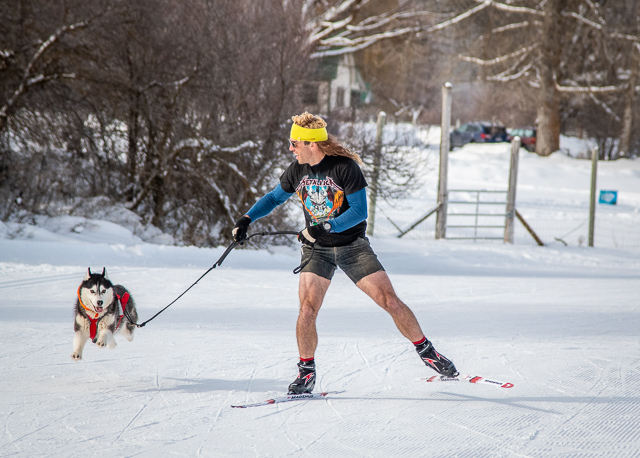 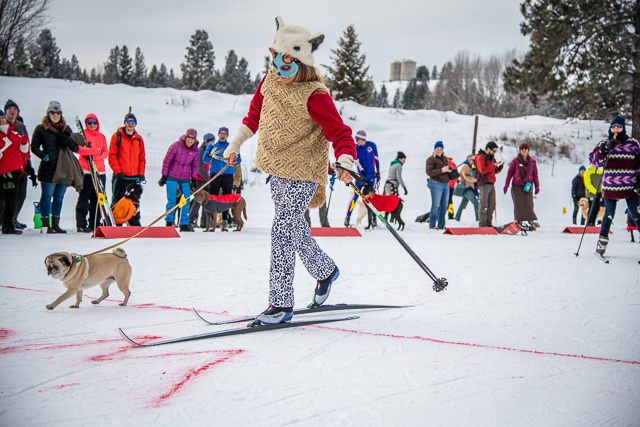 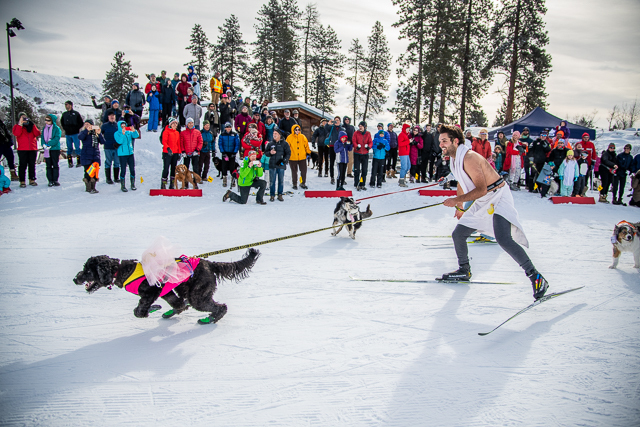 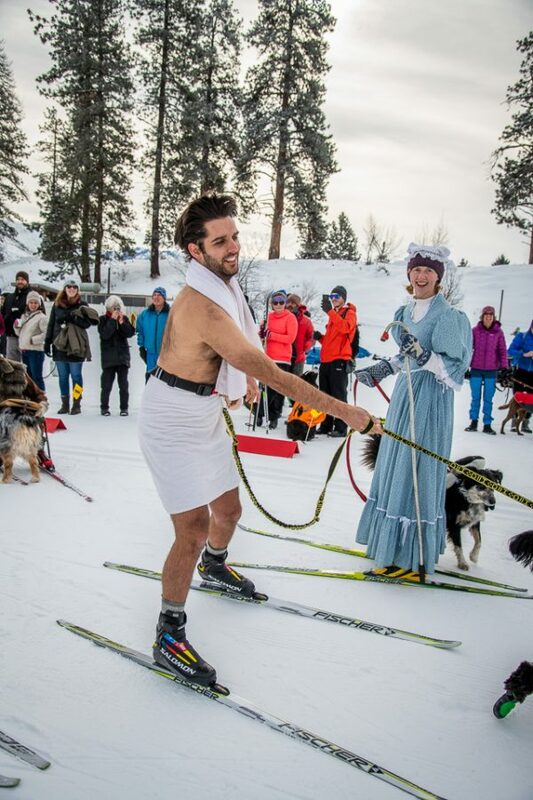 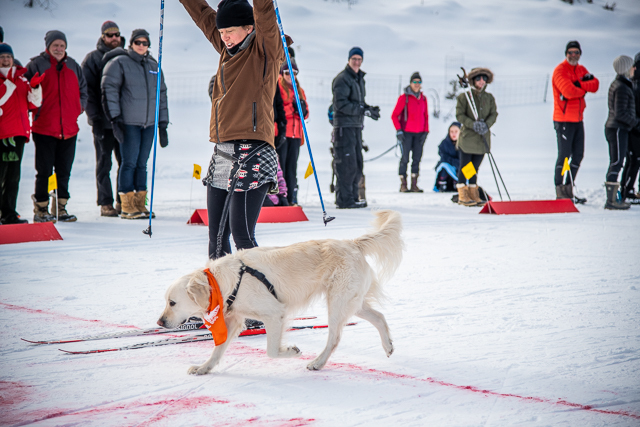 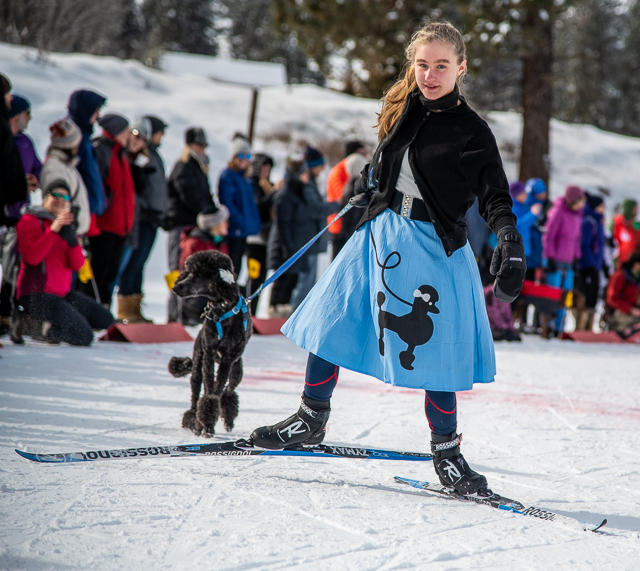 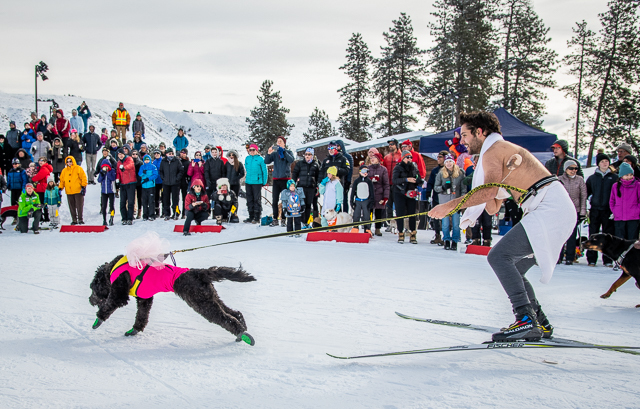 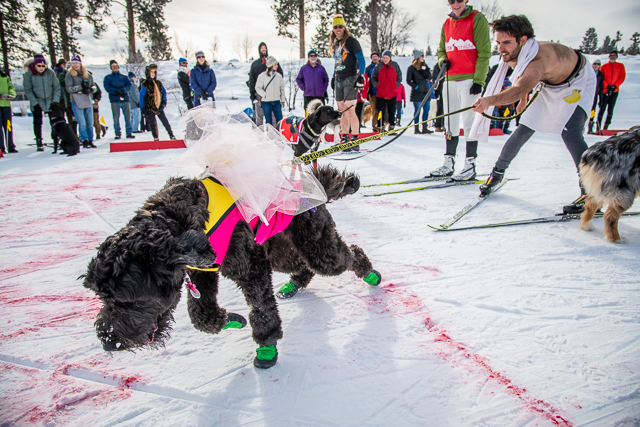 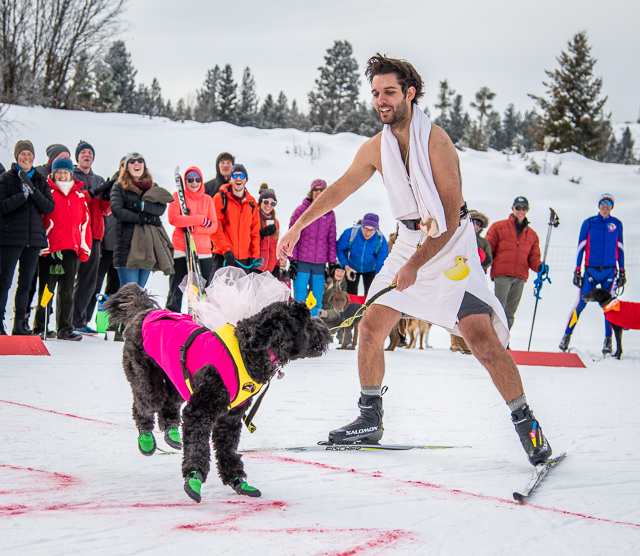 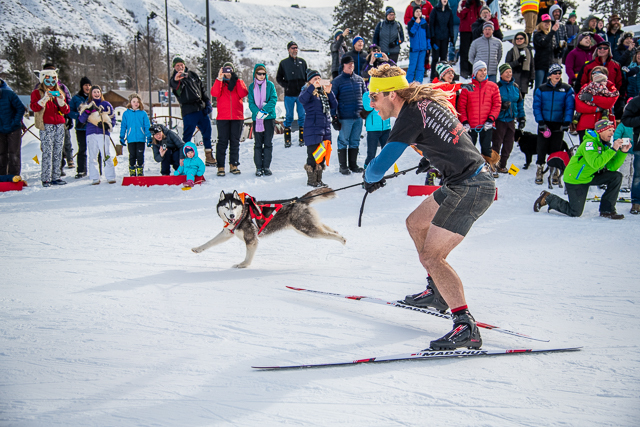 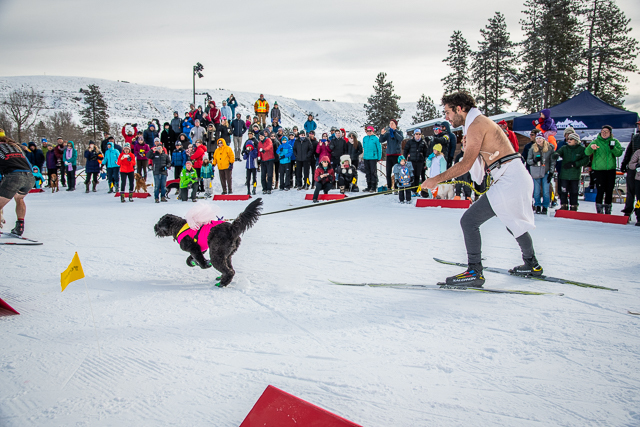 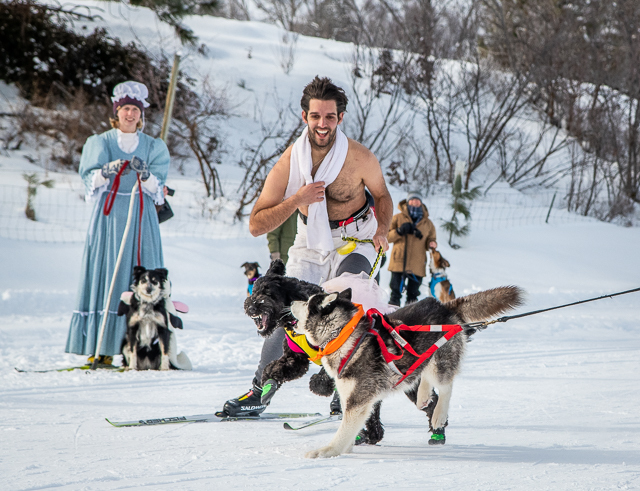 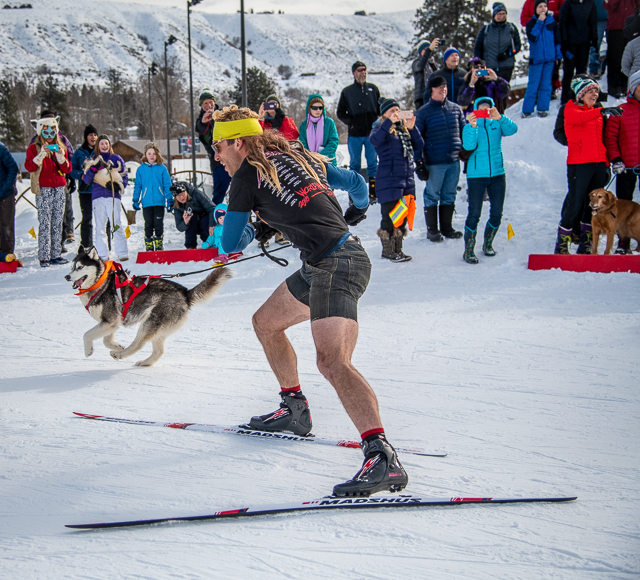 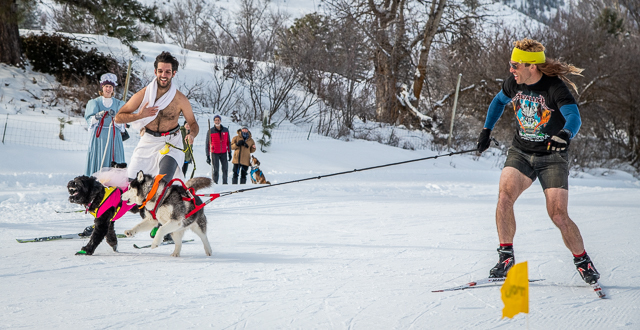 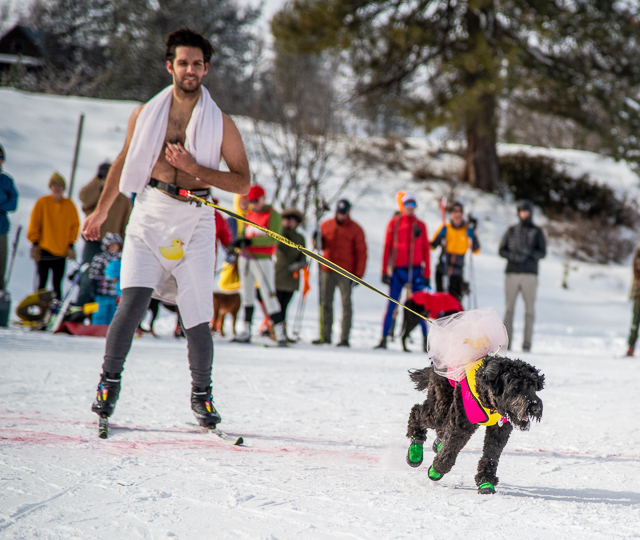 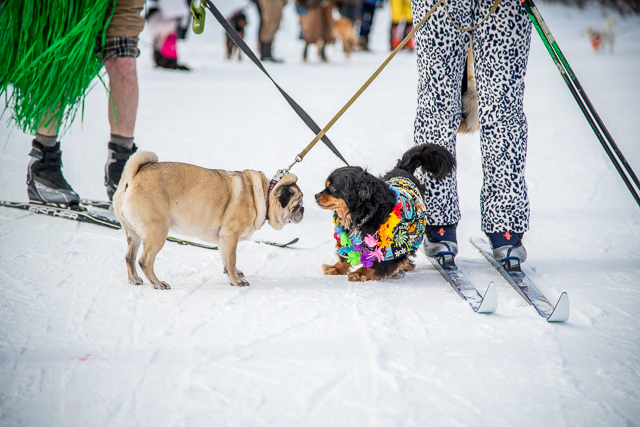 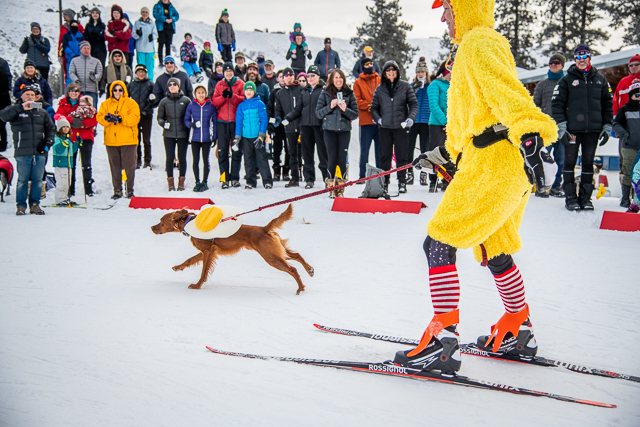 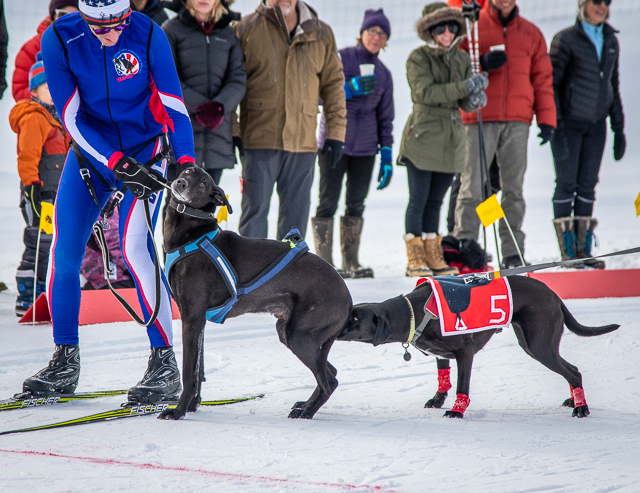 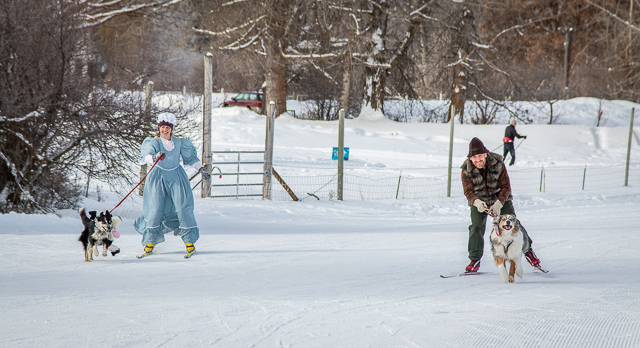 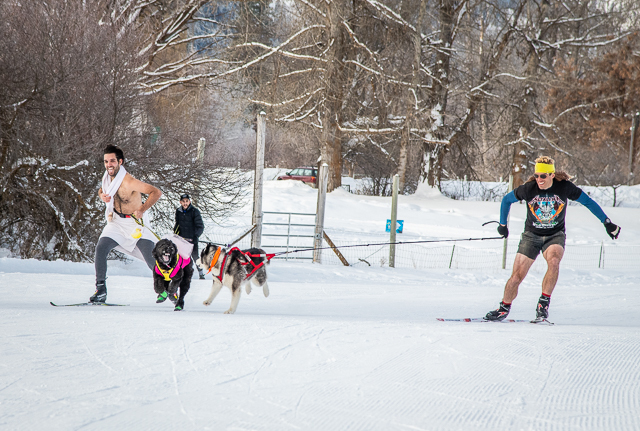 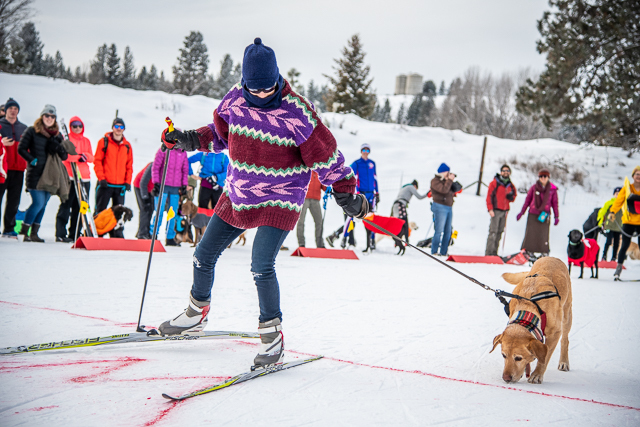 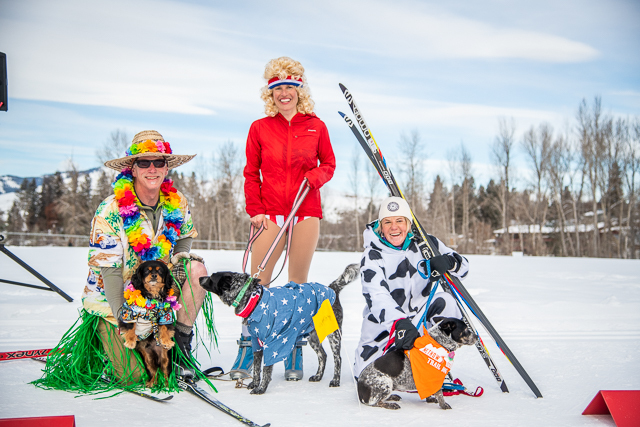 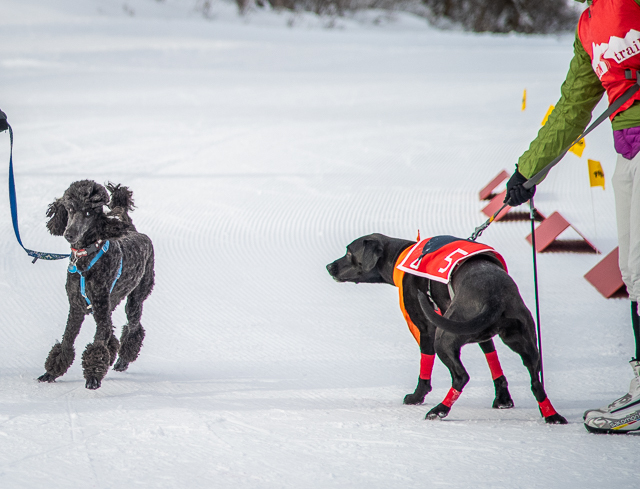 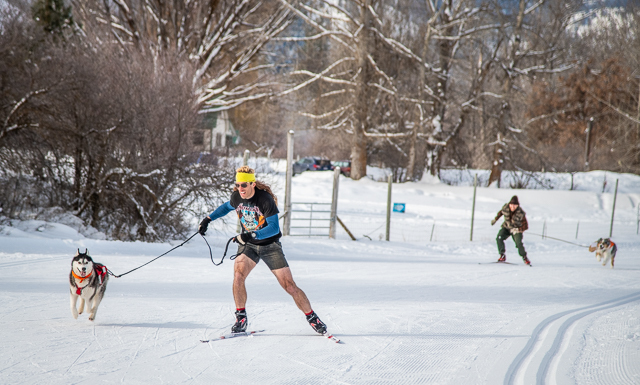 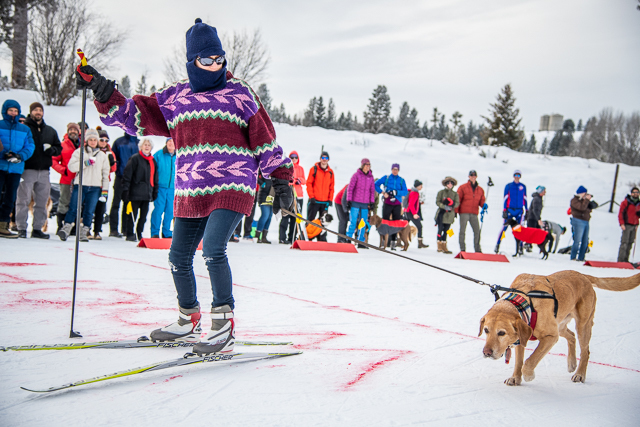 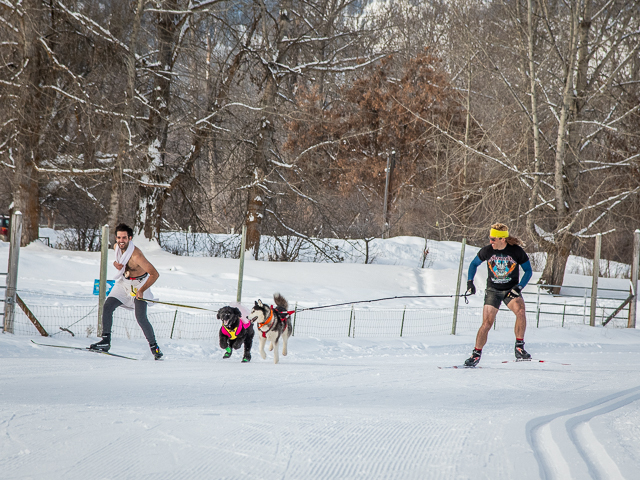 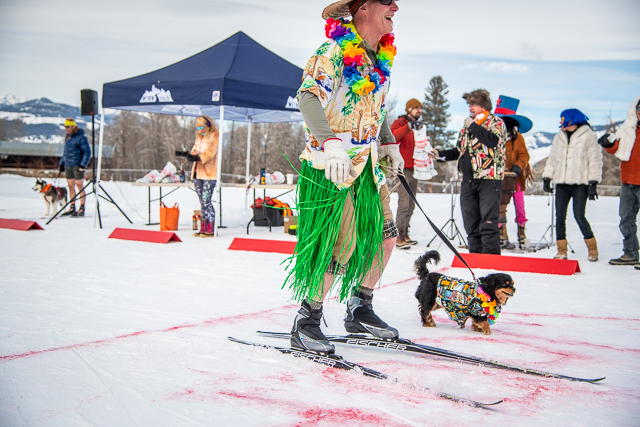 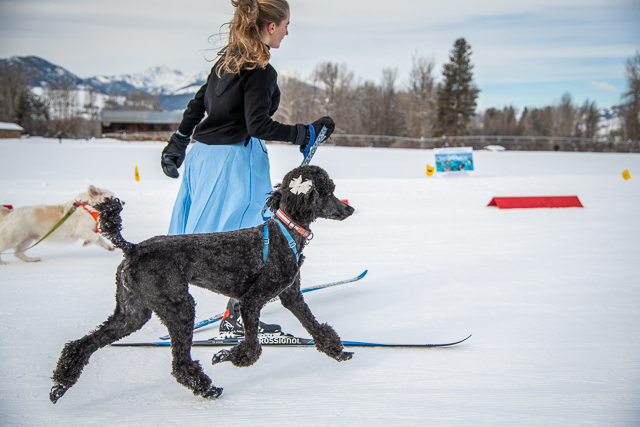 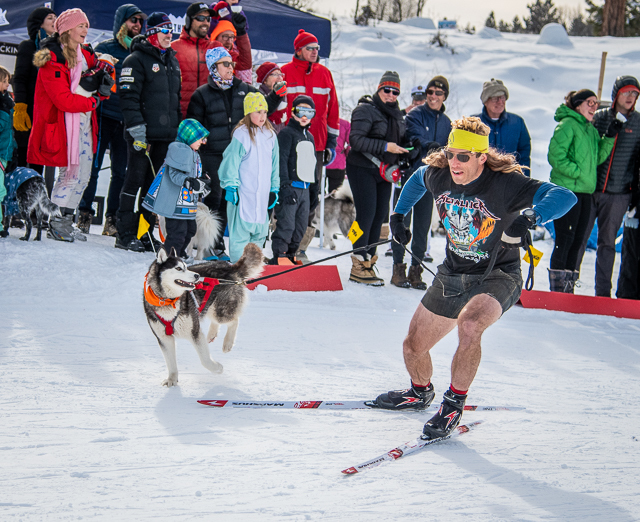 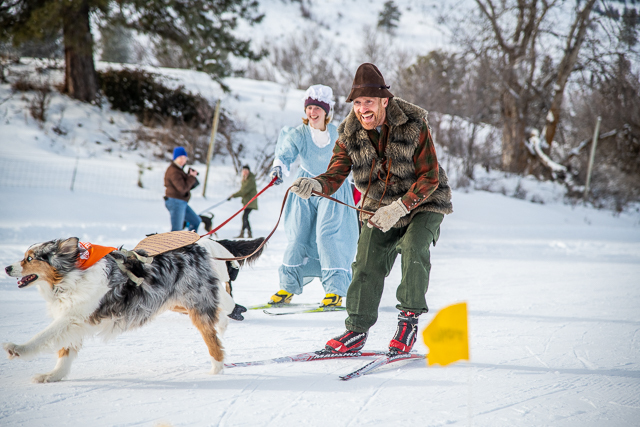 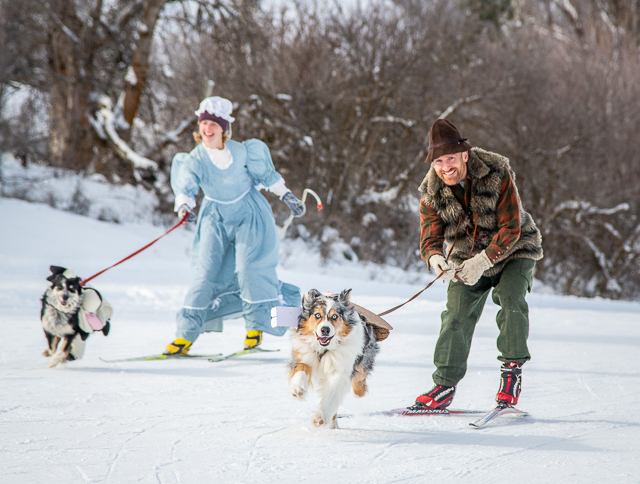 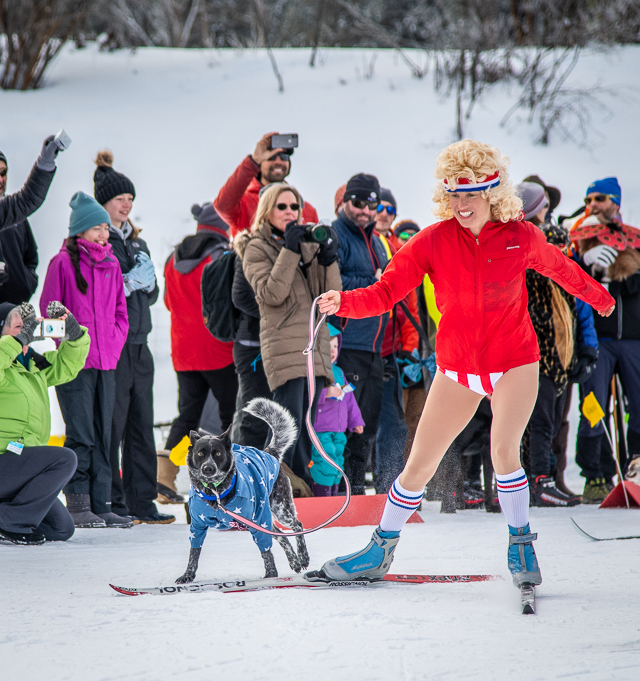 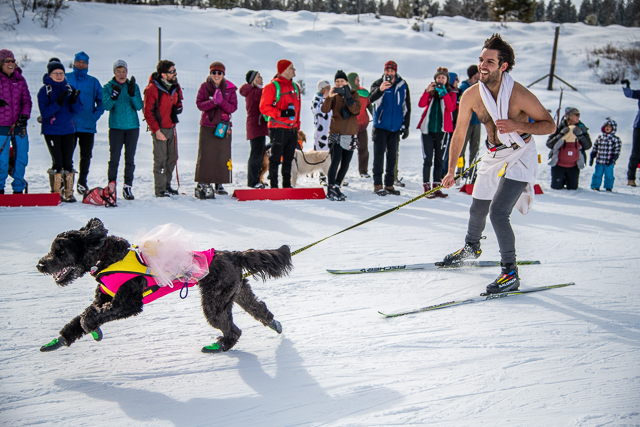 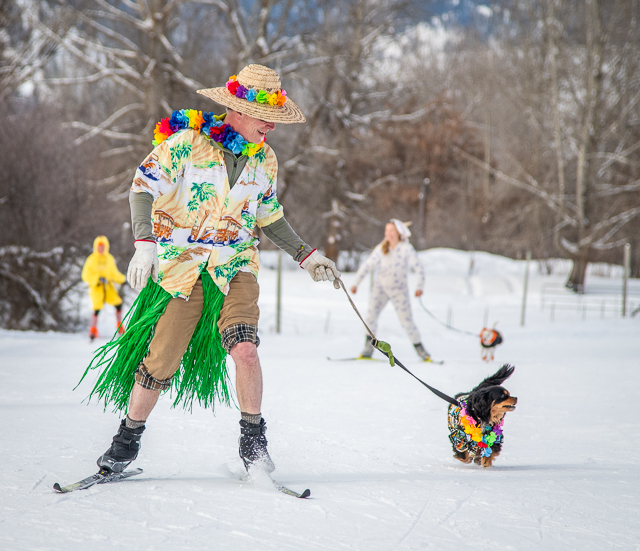 It’s a six-legged race, on skis, featuring a person and a dog. 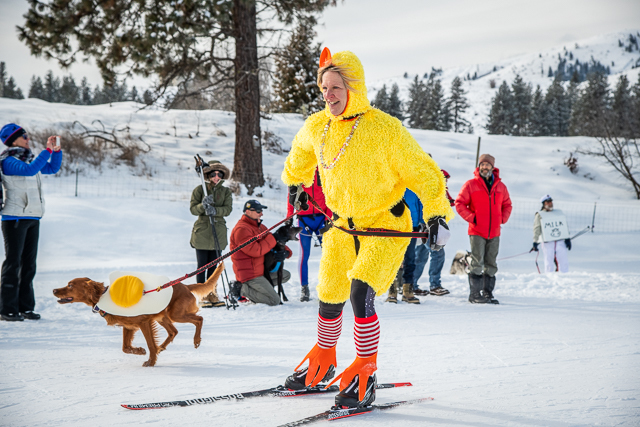 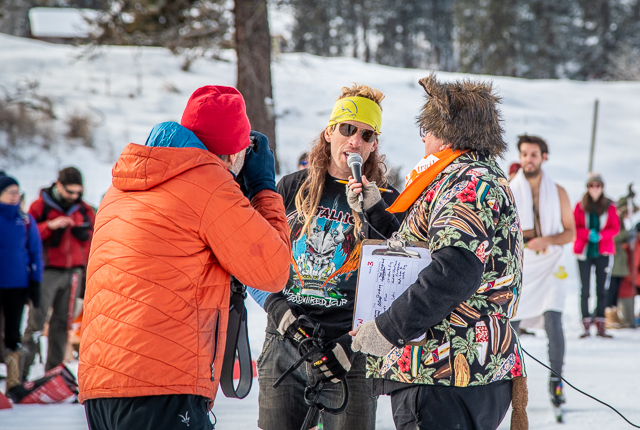 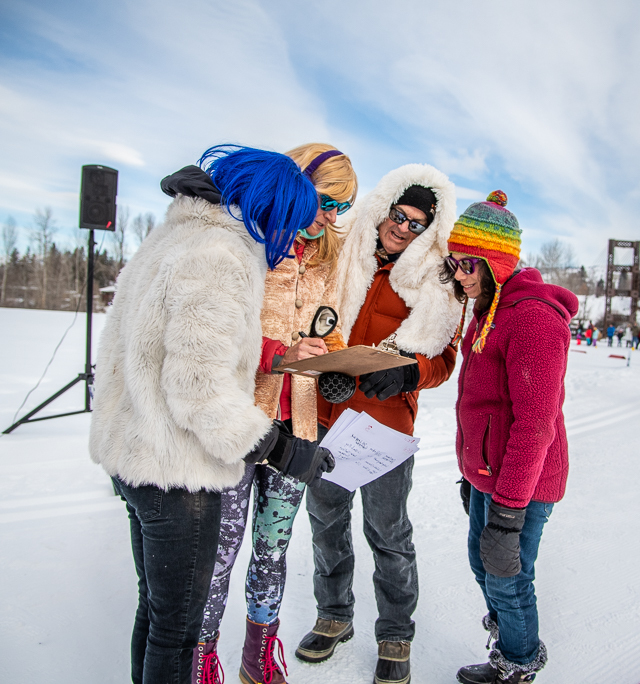 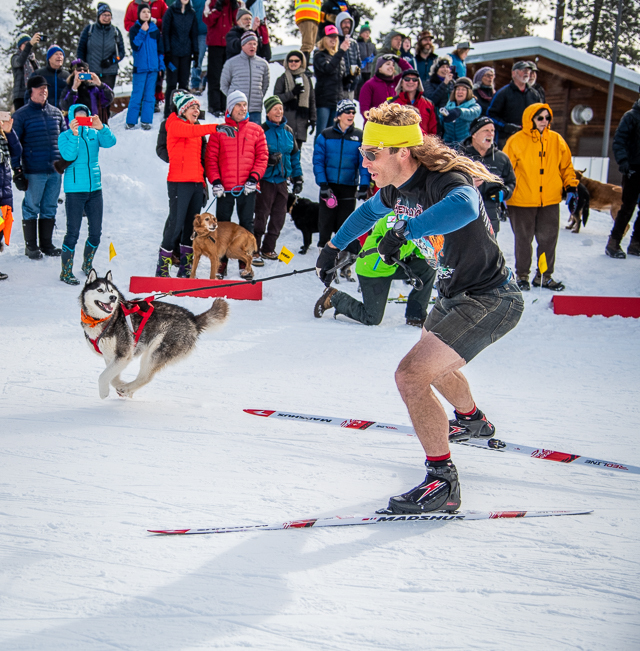 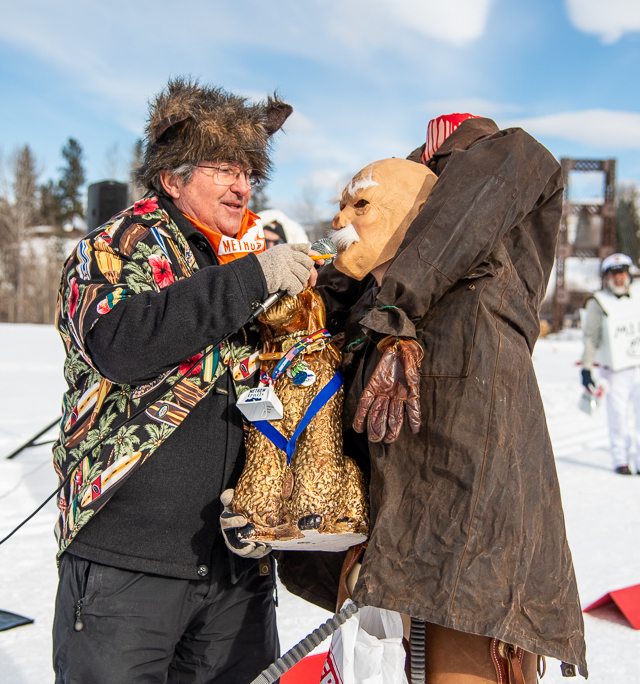 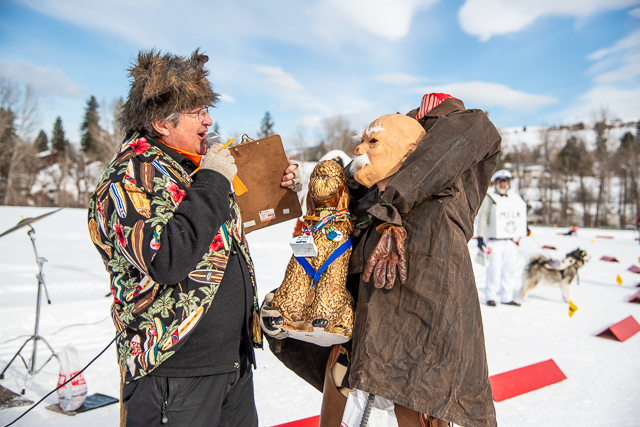 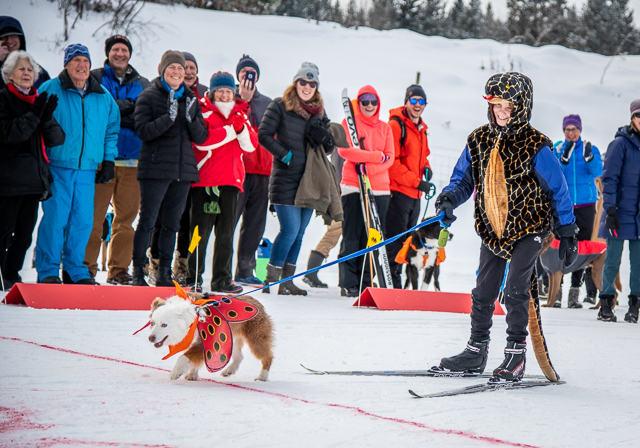 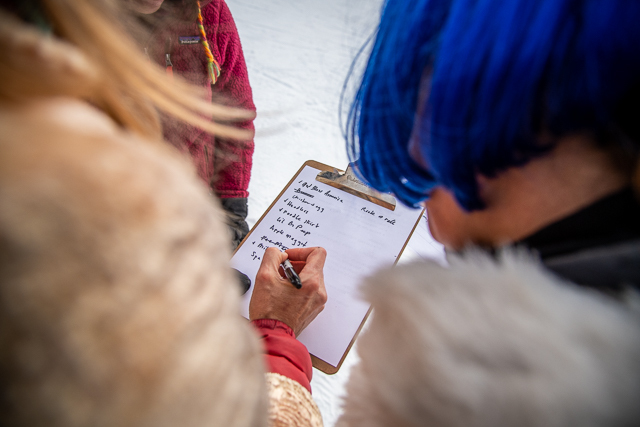 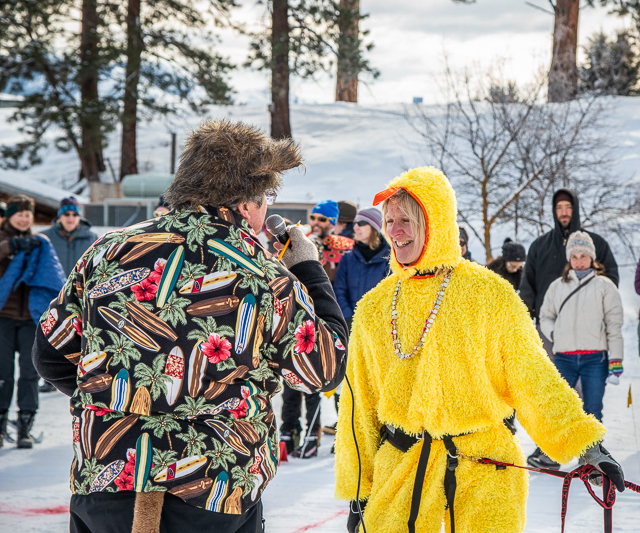 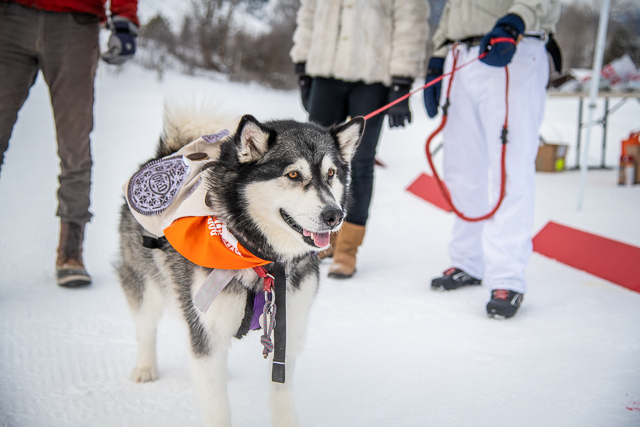 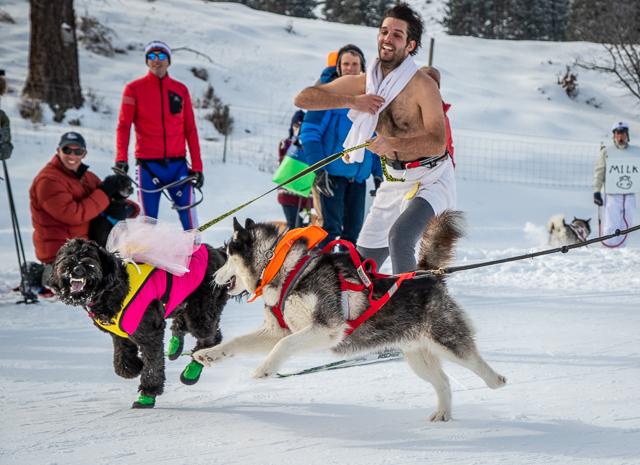 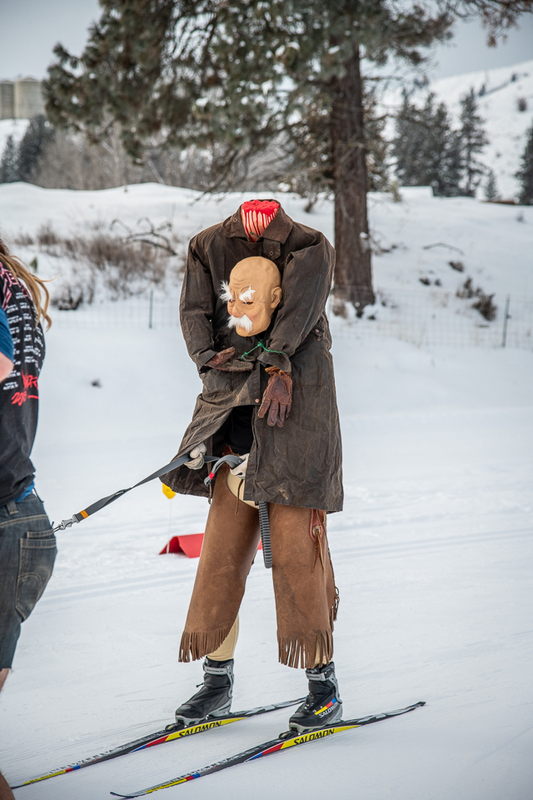 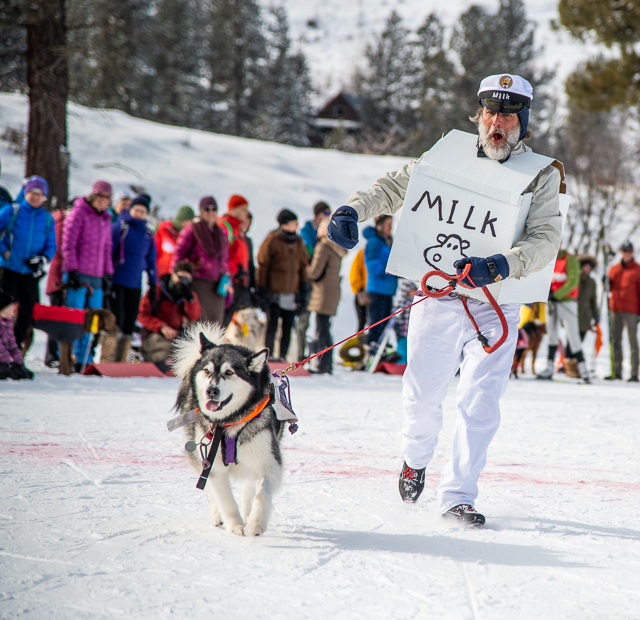 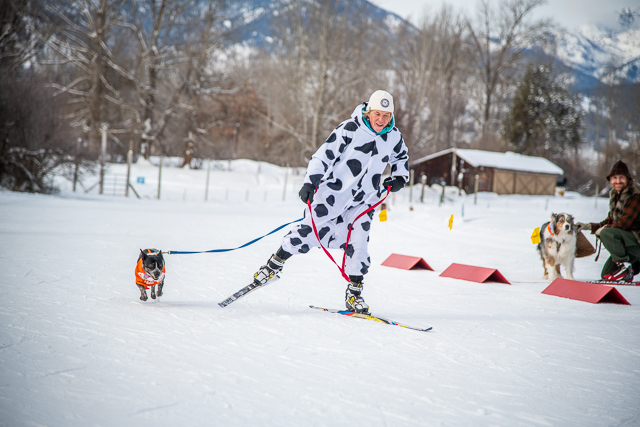 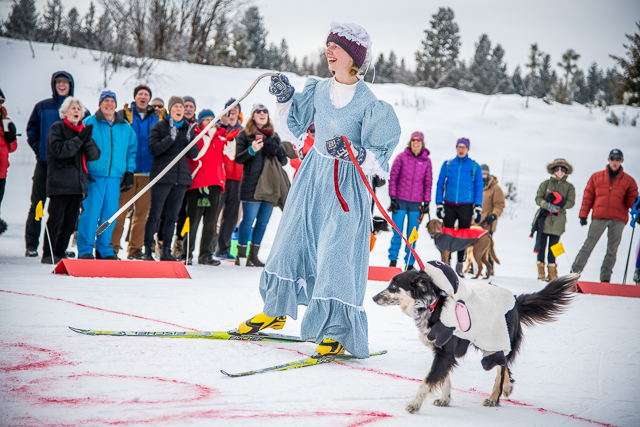 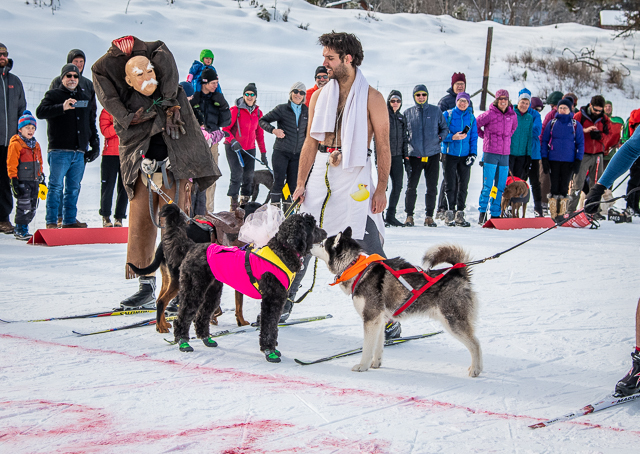 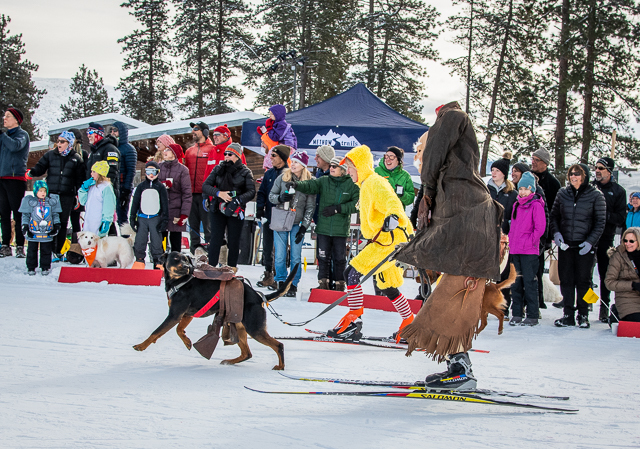 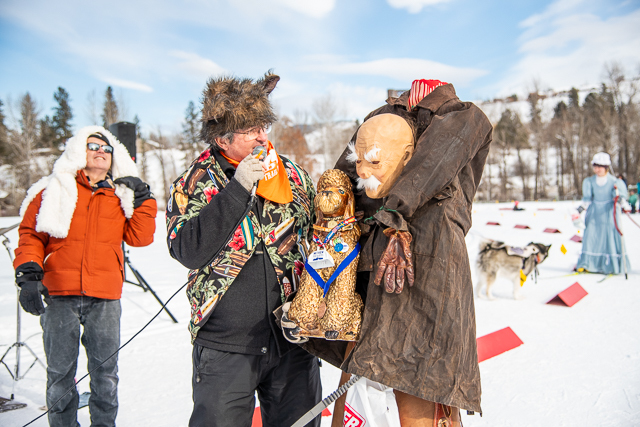 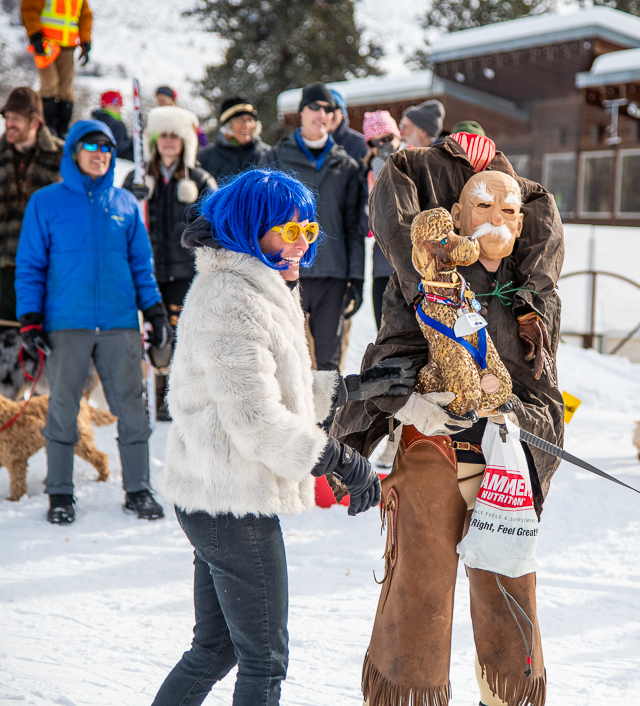 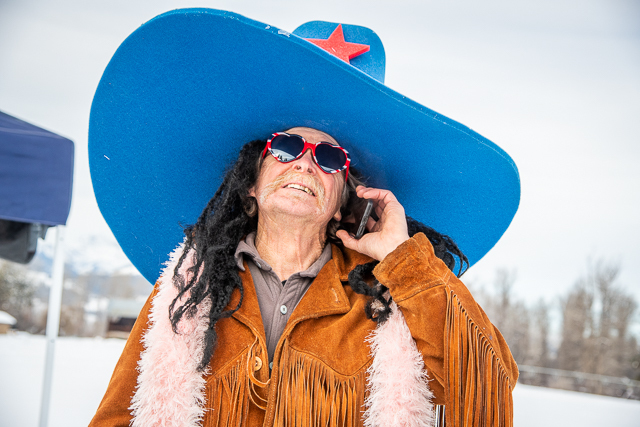 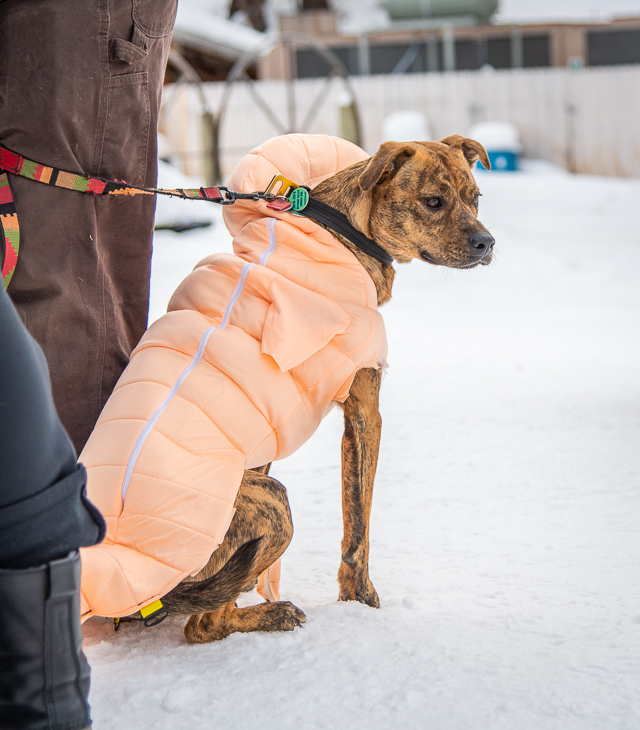 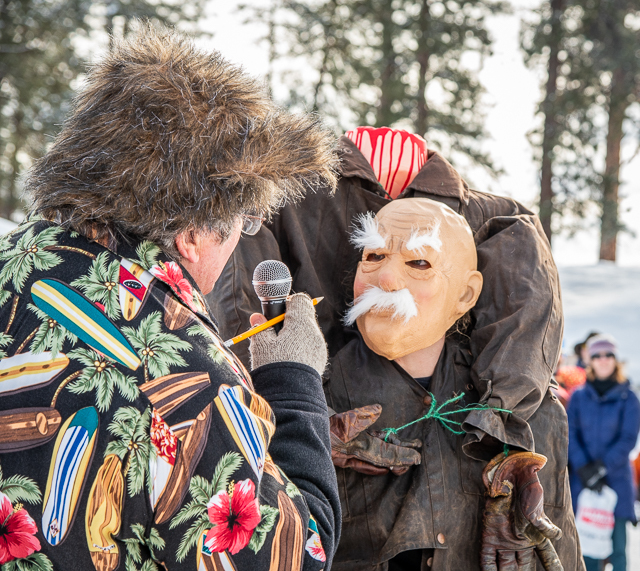 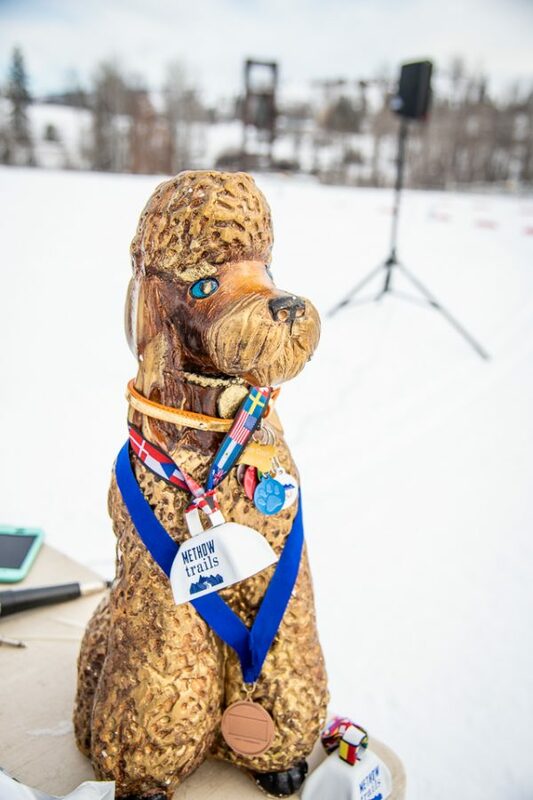 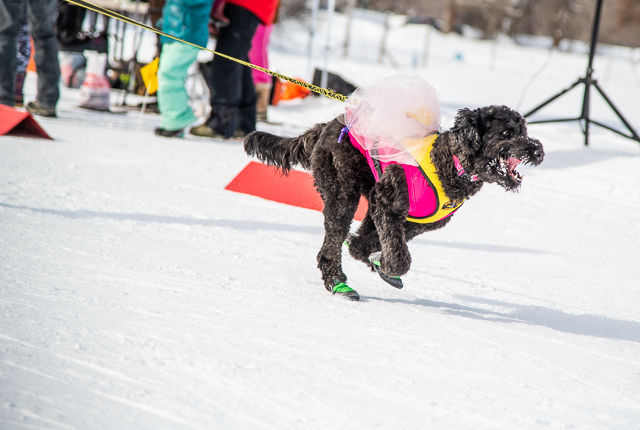 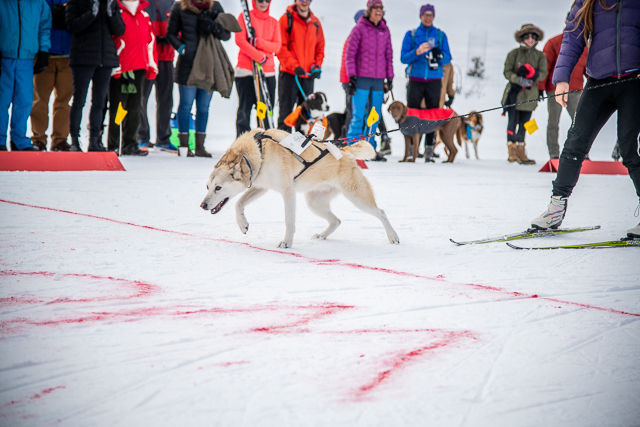 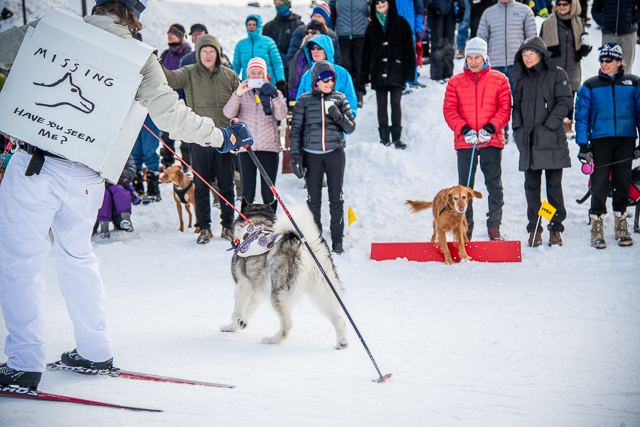 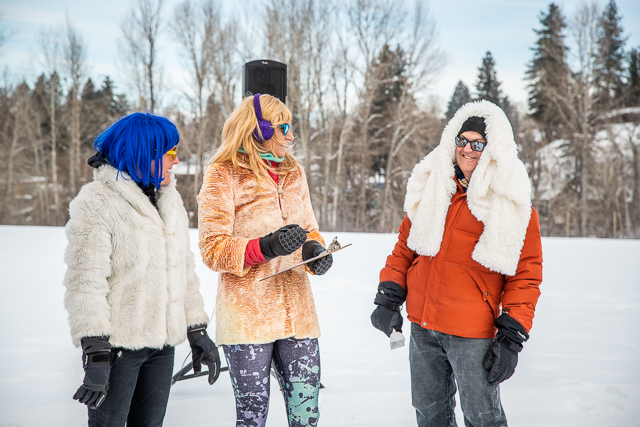 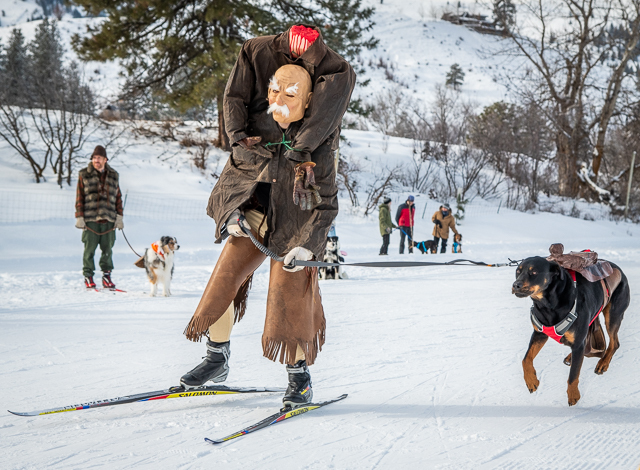 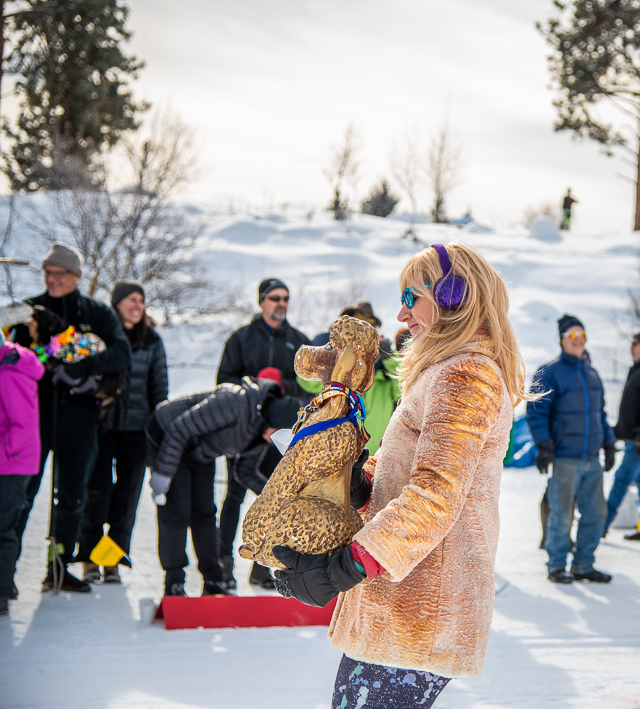 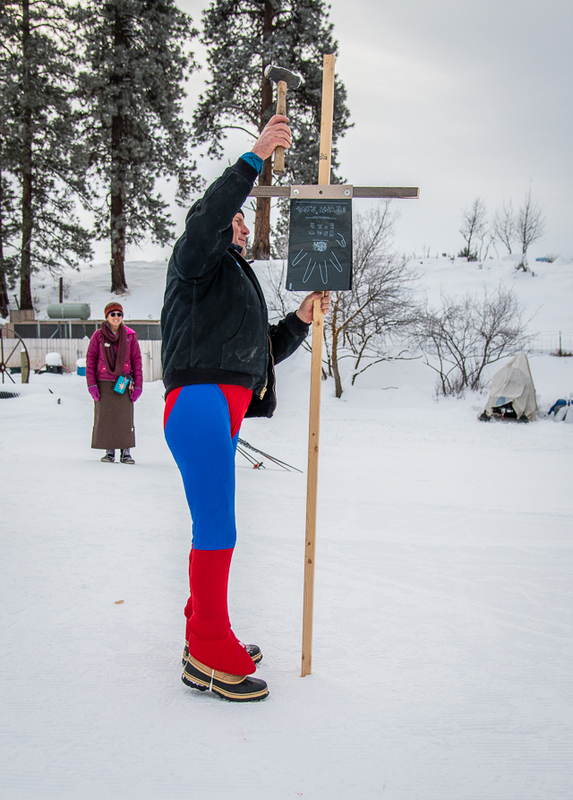 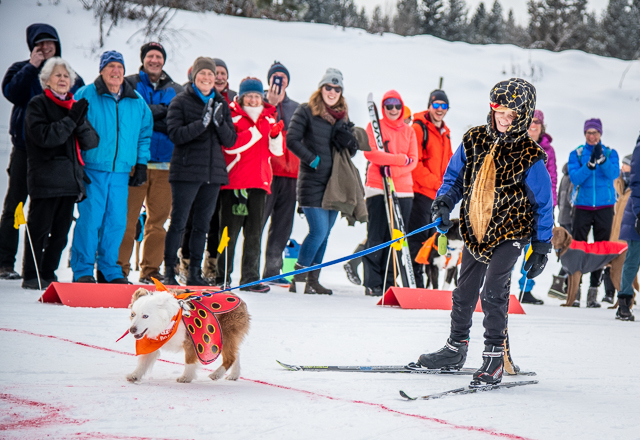 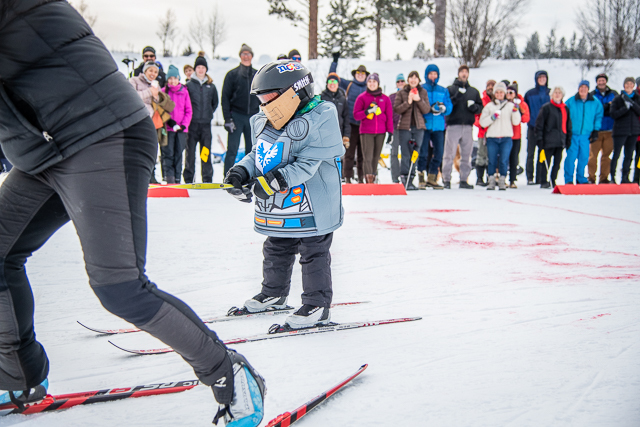 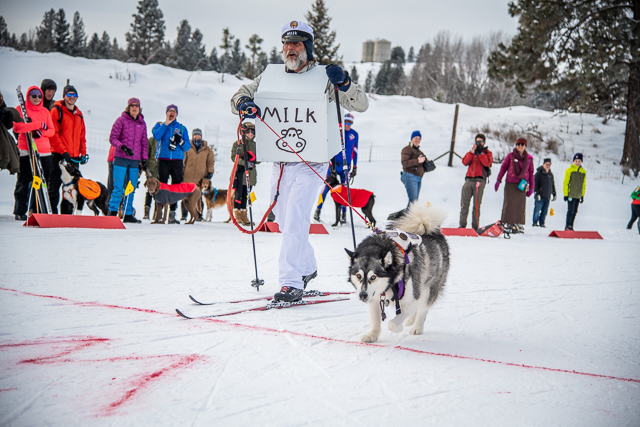 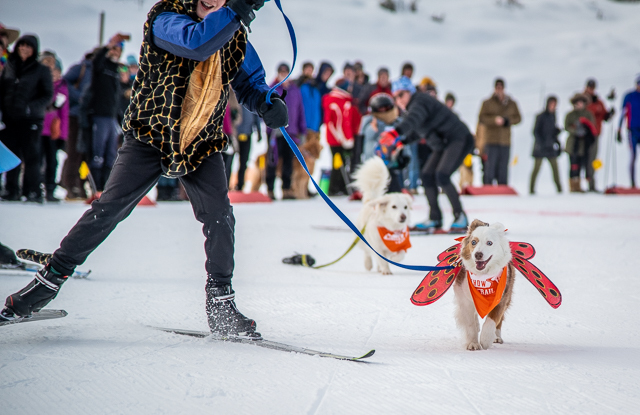 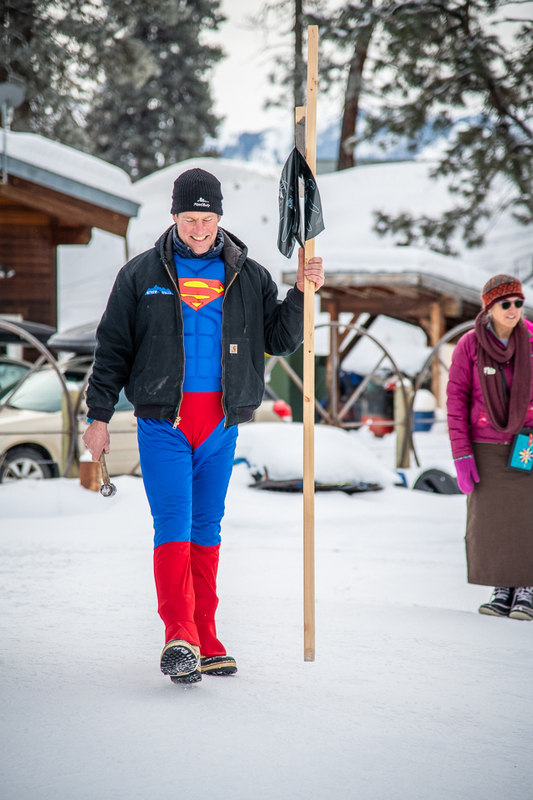 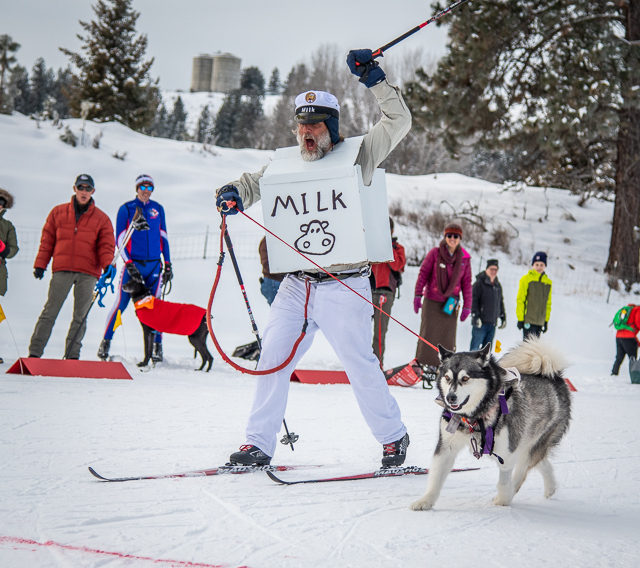 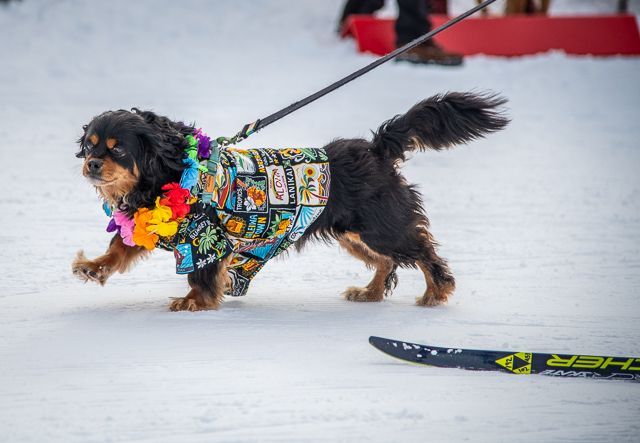 There are three race events – Kids, Little Dogs and Big Dogs – plus the furiously fought over contest for the best costume! 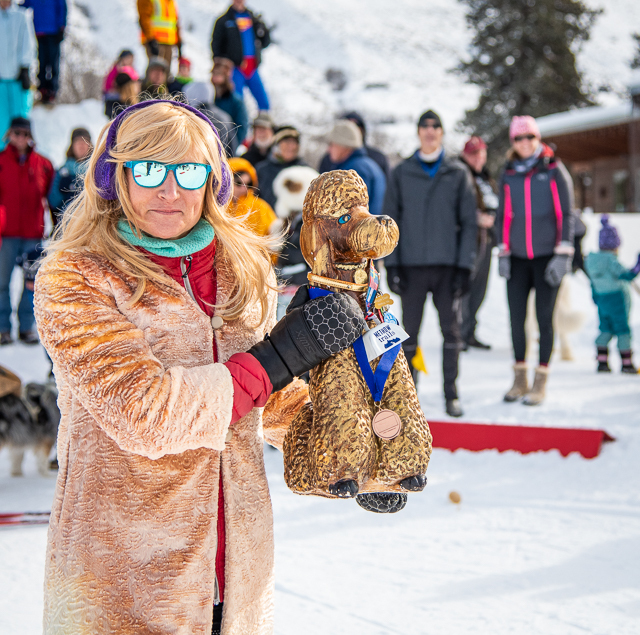 Winner of the best costume gets to take home the coveted Golden Poodle. 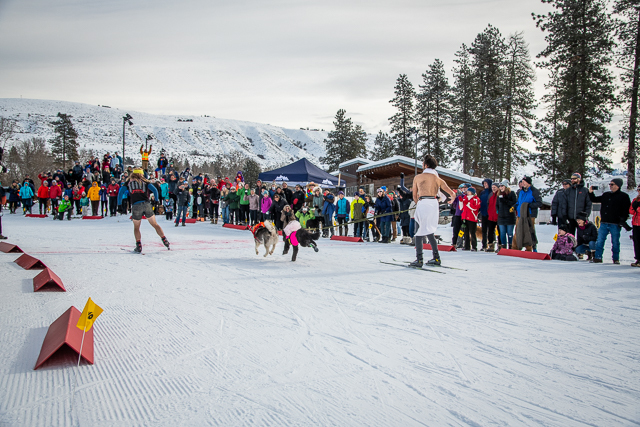 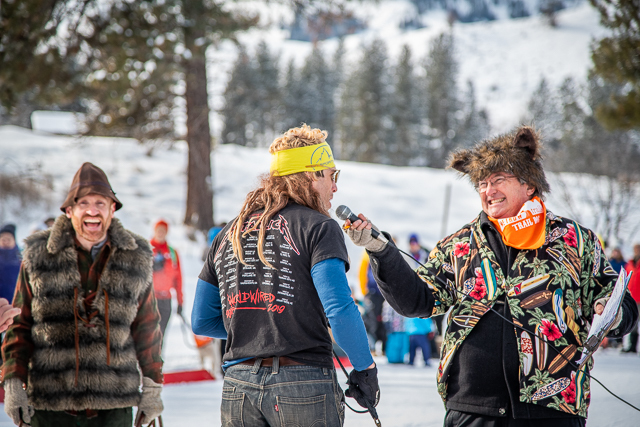 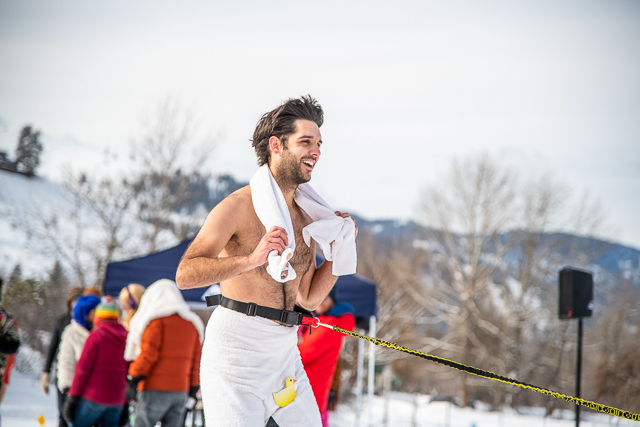 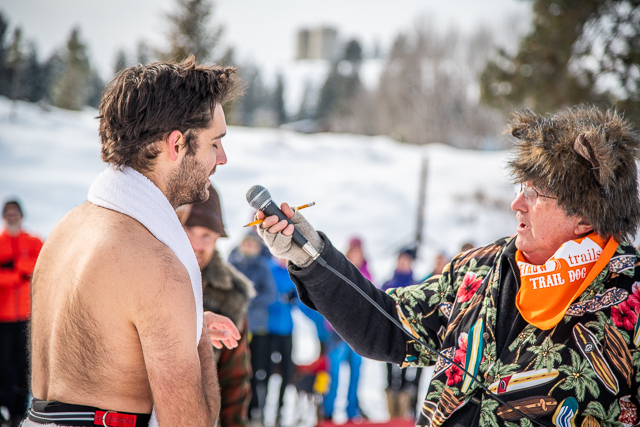 It’s always a good time and this year the weather was great with good snow and a record-breaking crowd of spectators to enjoy the event. 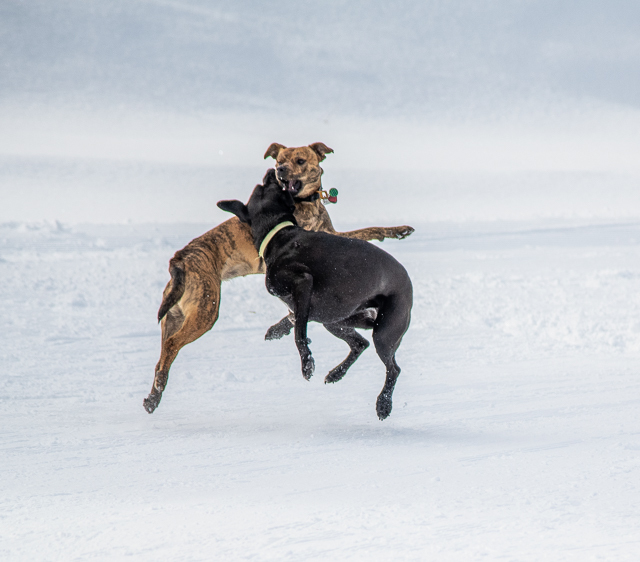 We have had the best weather this month. 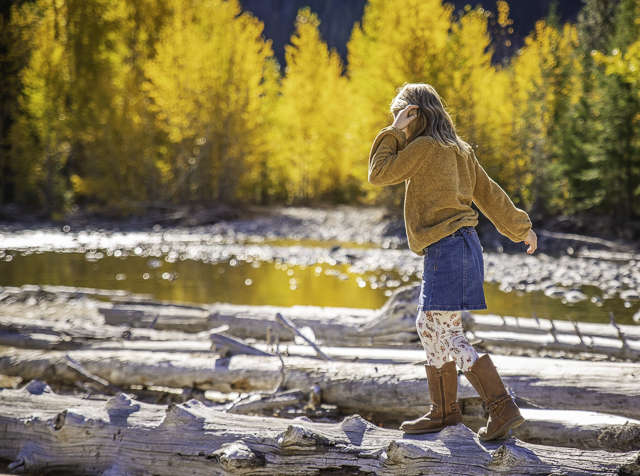 October has truly been golden – a combination of the outstanding fall colors and the wonderful light of autumn. 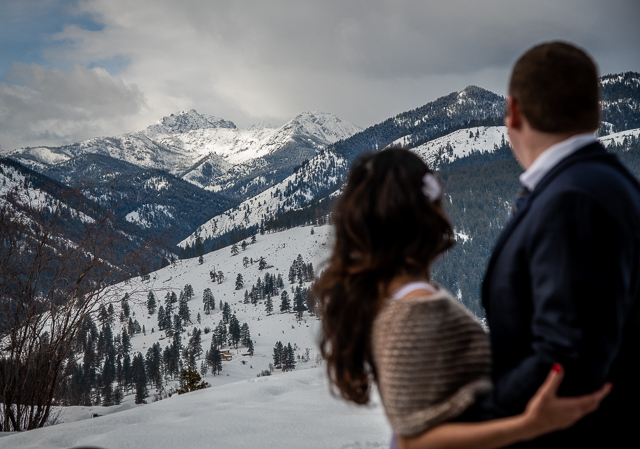 Put these together with one of the clear mountain streams that pour out of the North Cascades and a fun-loving family and you have all the makings for a wonderful family photos session. 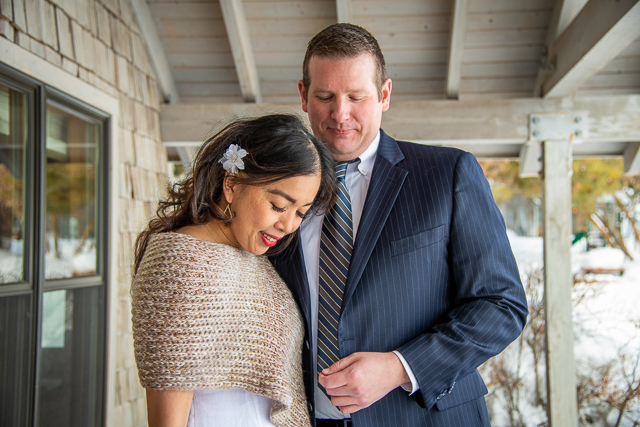 I have been ever so lucky to photograph this family for the last two years. 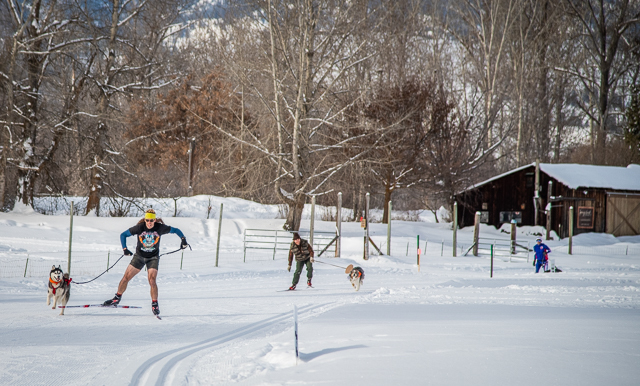 You can see the previous sessions here and here. 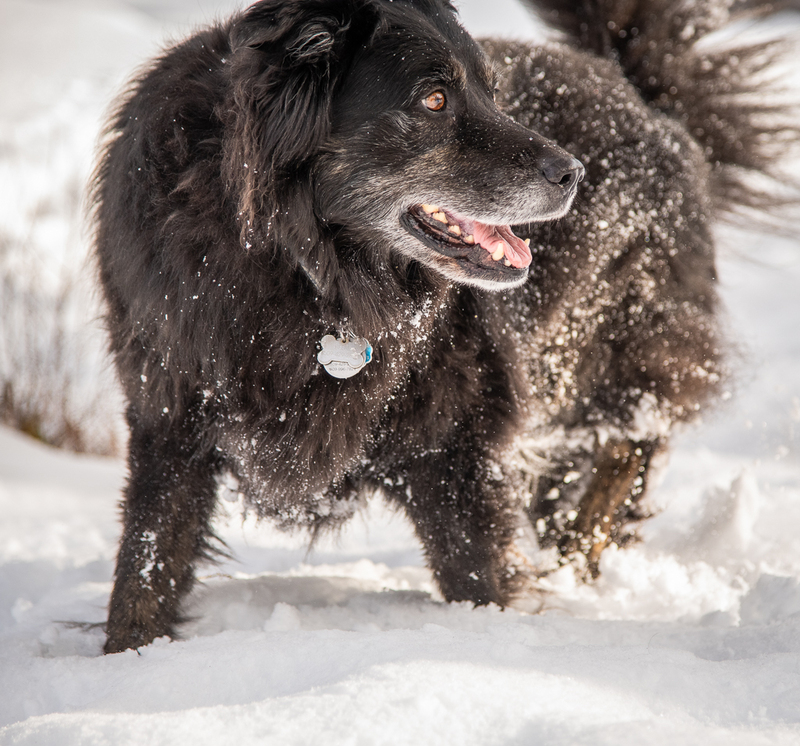 The weather was certainly warmer this time! 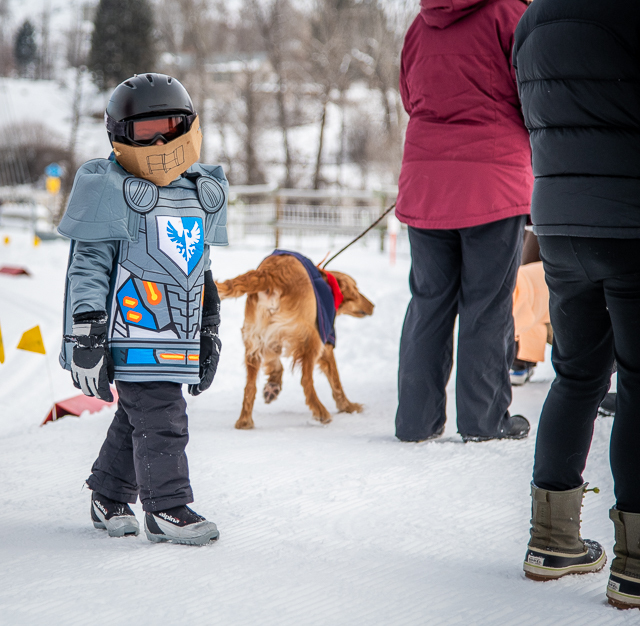 Seeing the children from year to year is a real treat for me. 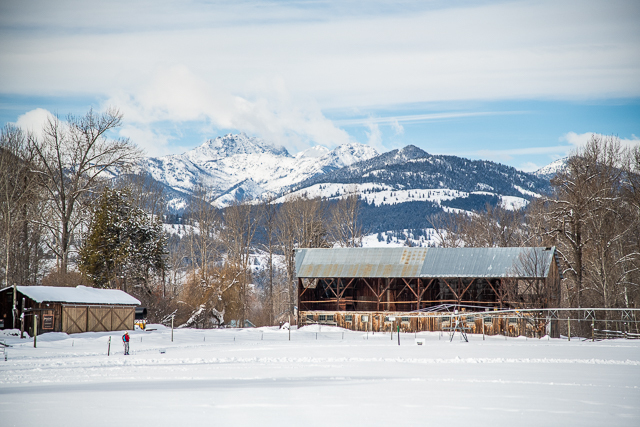 I love seeing kids growing up and playing in nature – walking on logs, climbing on rocks and tossing sticks in the river. 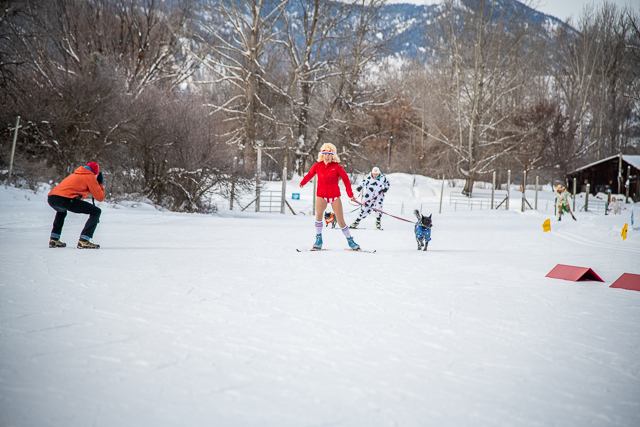 So many kids have a nature deficit but not these two.